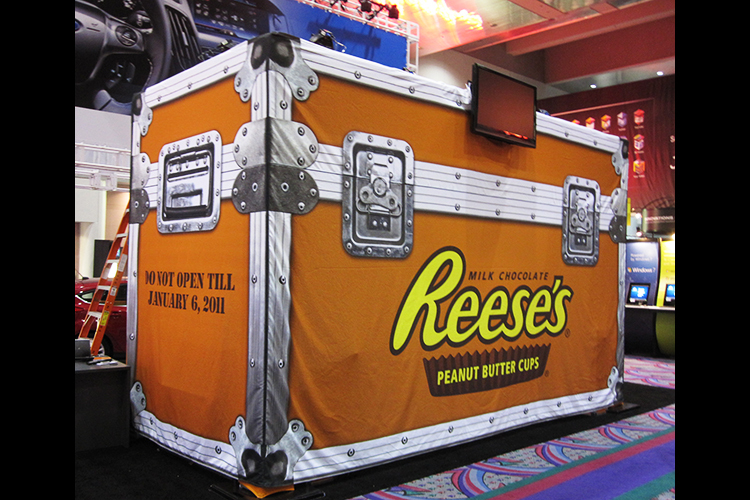 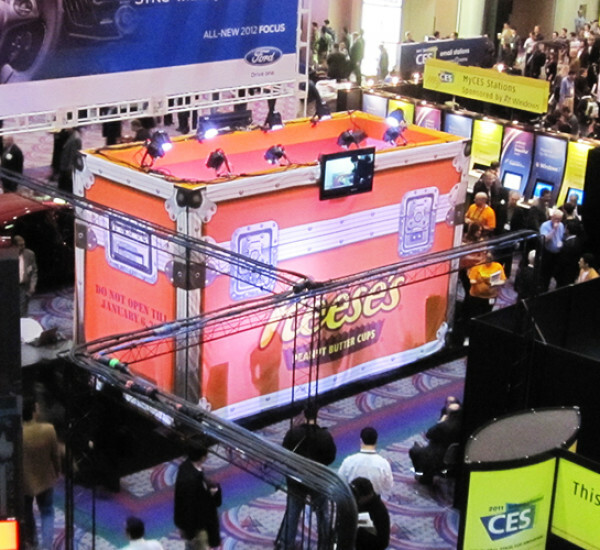 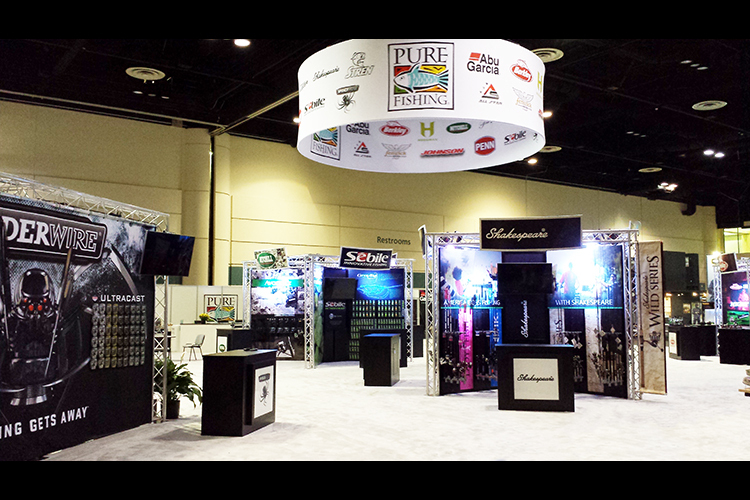 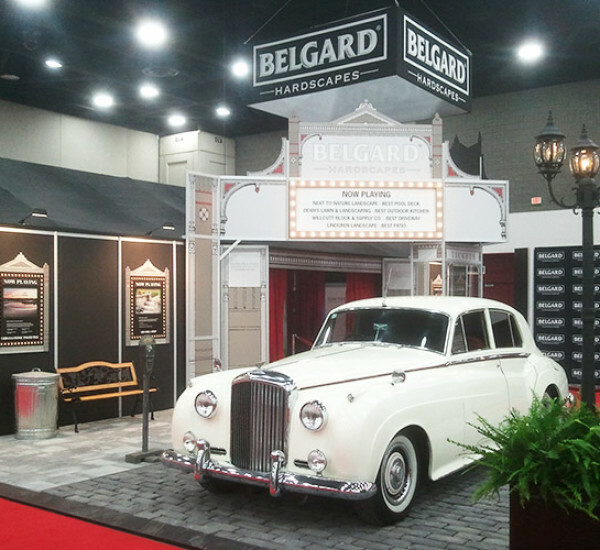 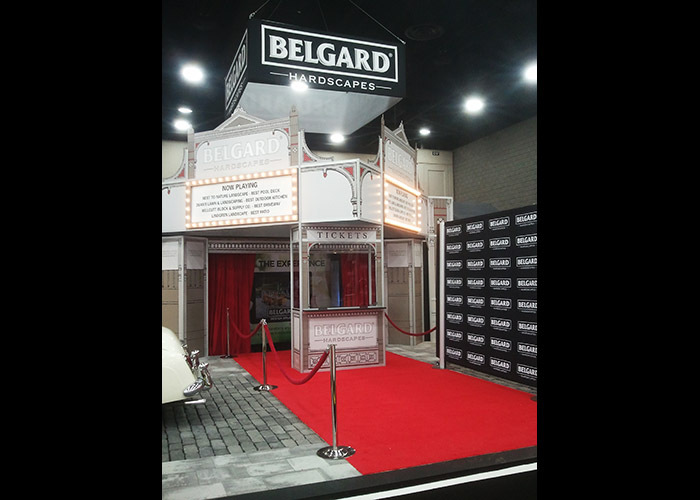 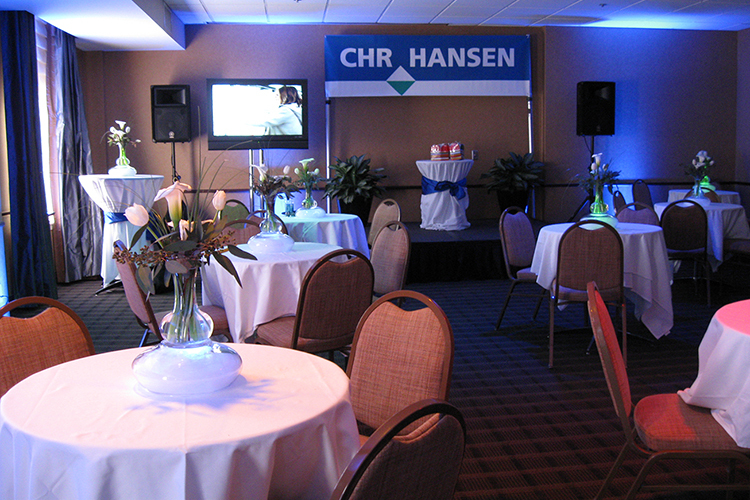 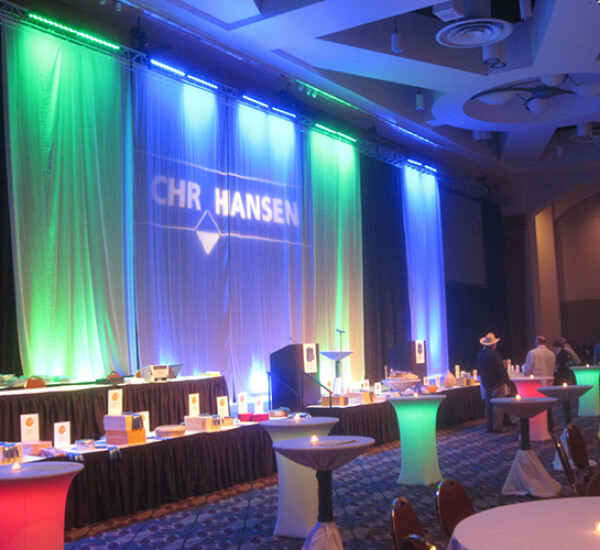 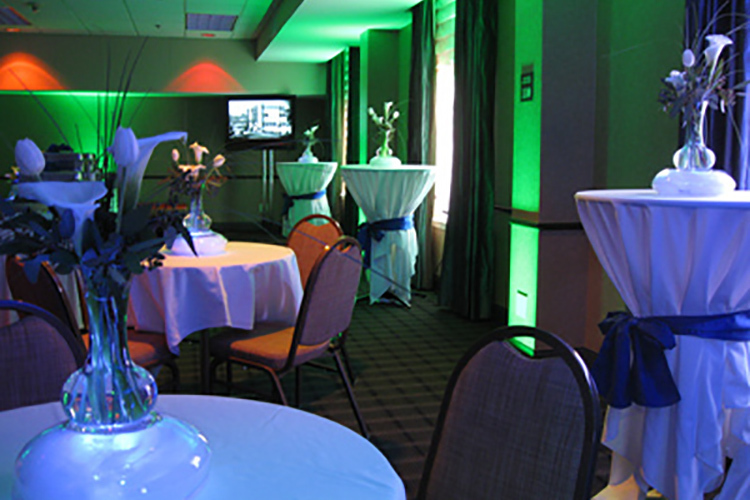 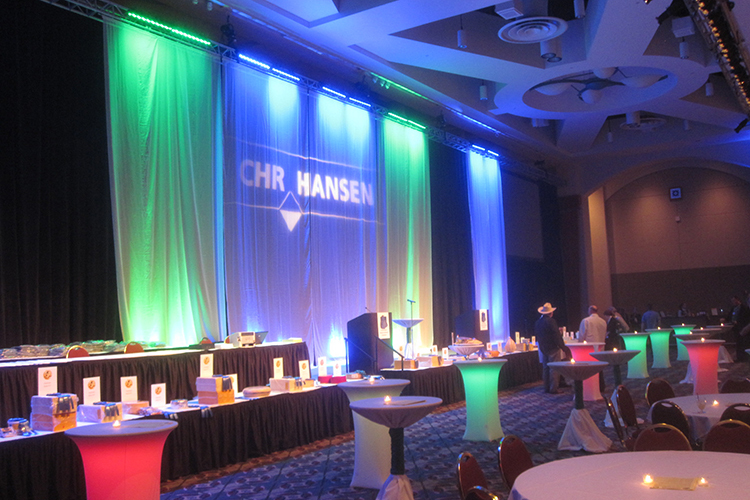 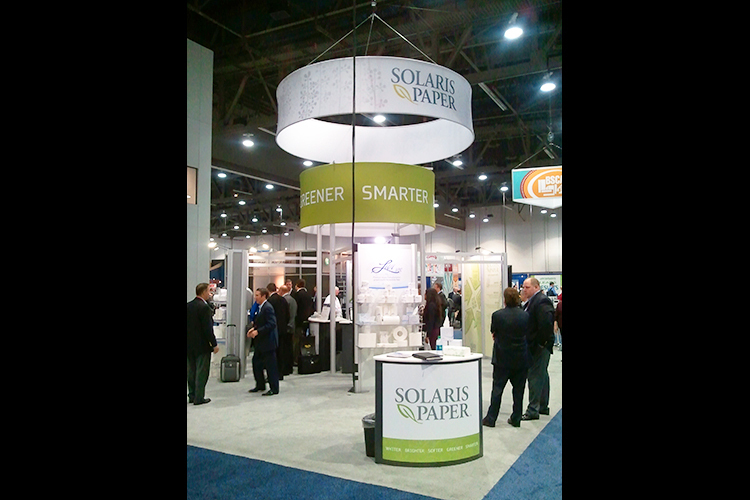 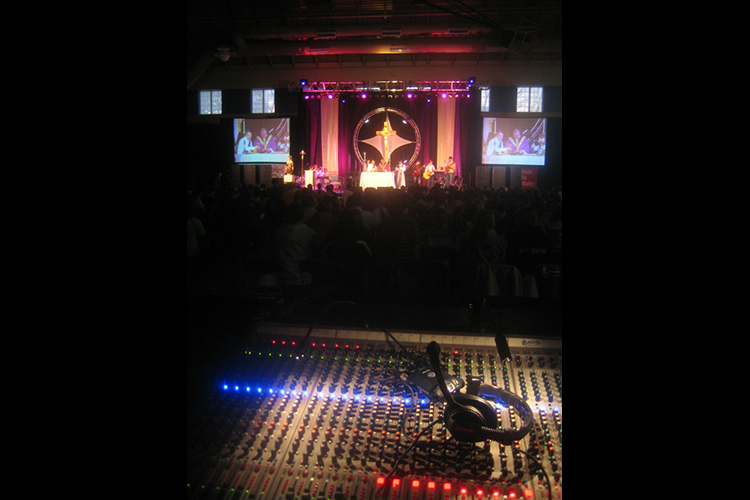 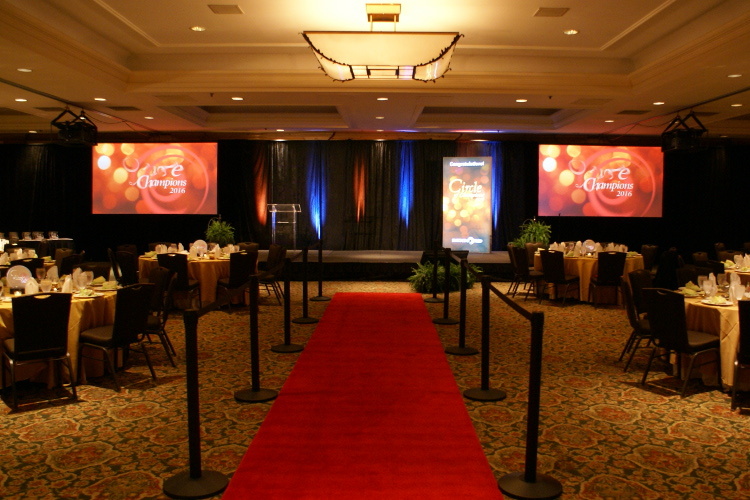 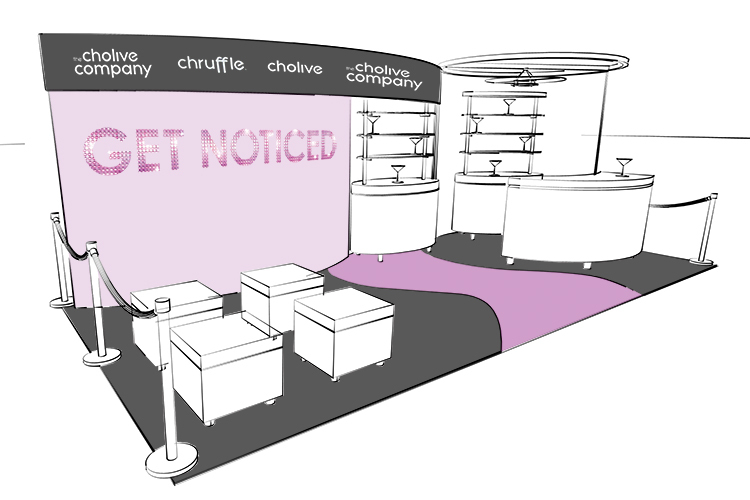 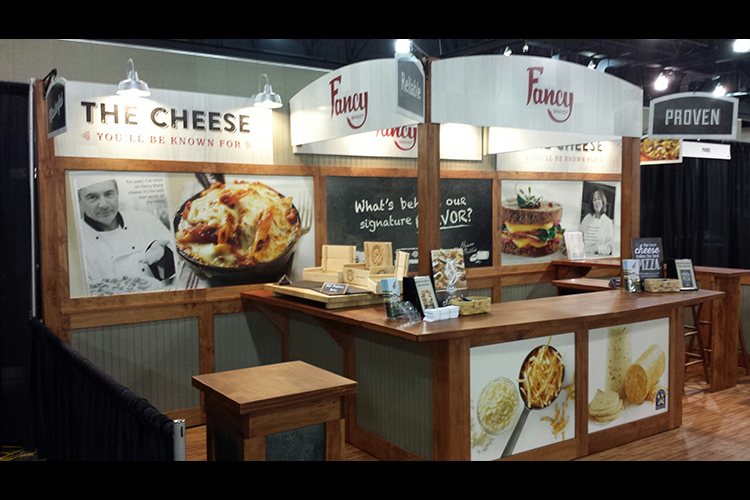 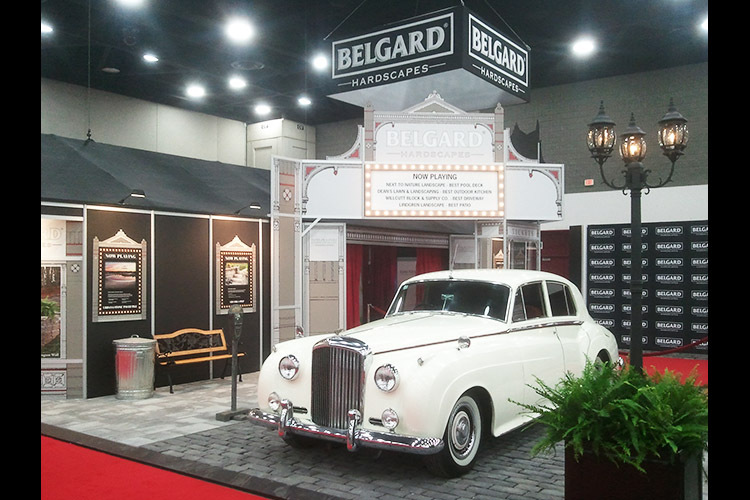 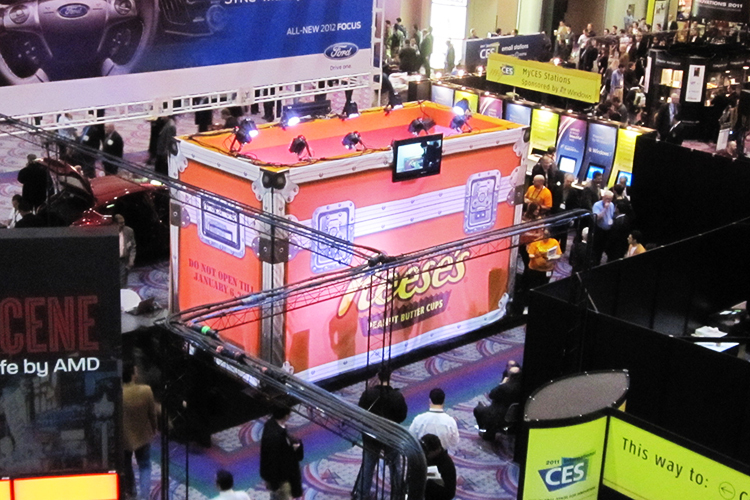 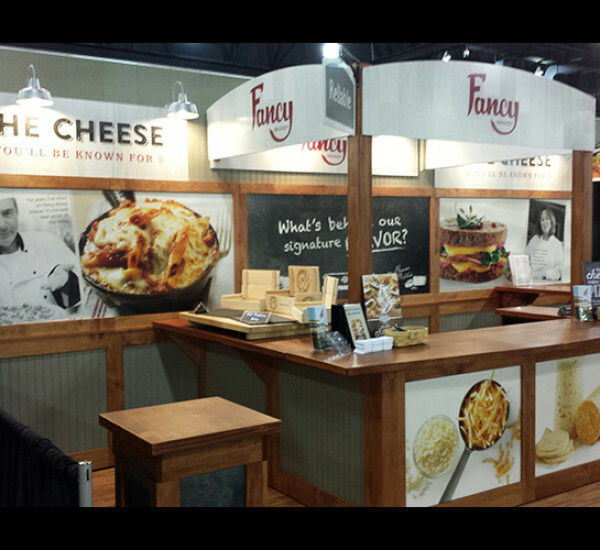 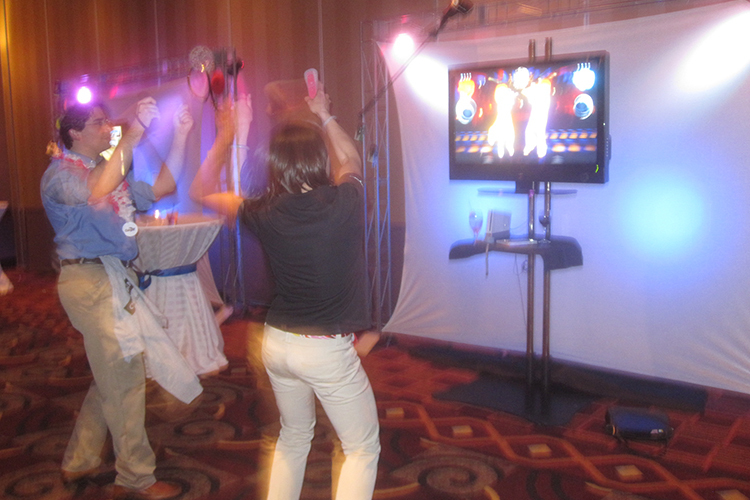 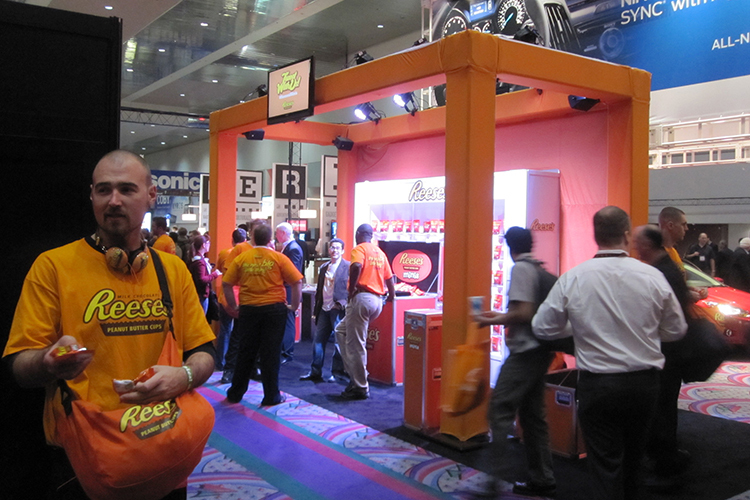 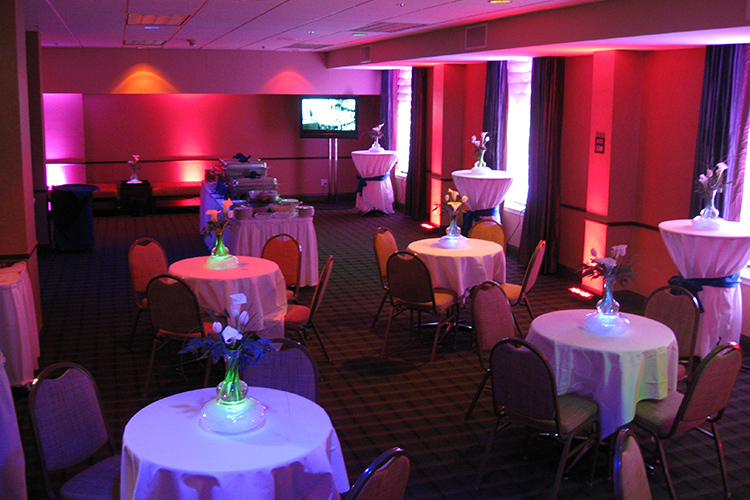 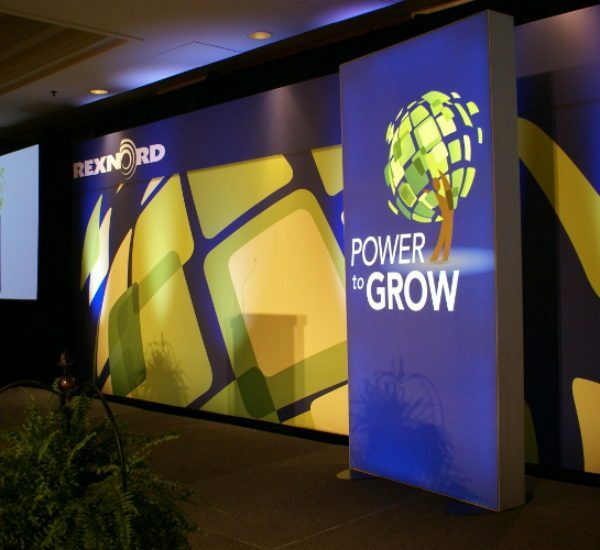 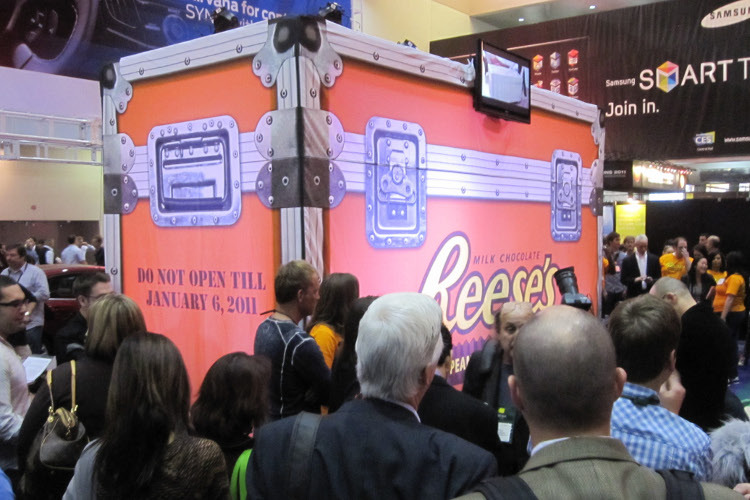 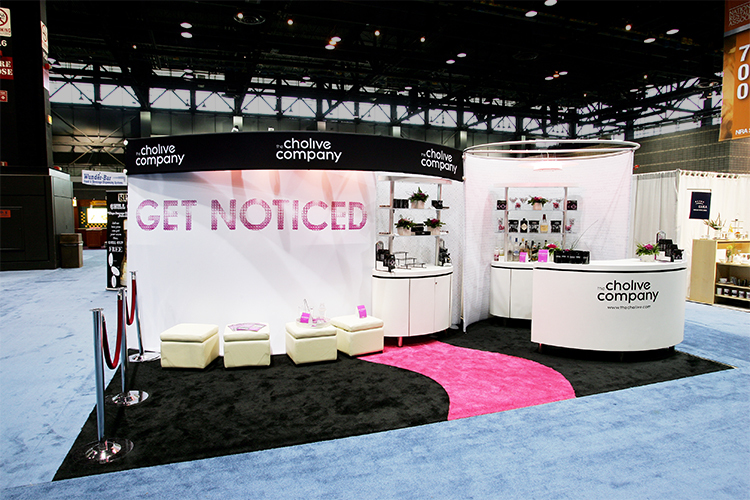 Looking for ideas… Need some inspiration… Something with the “WOW” factor for your next trade show project? 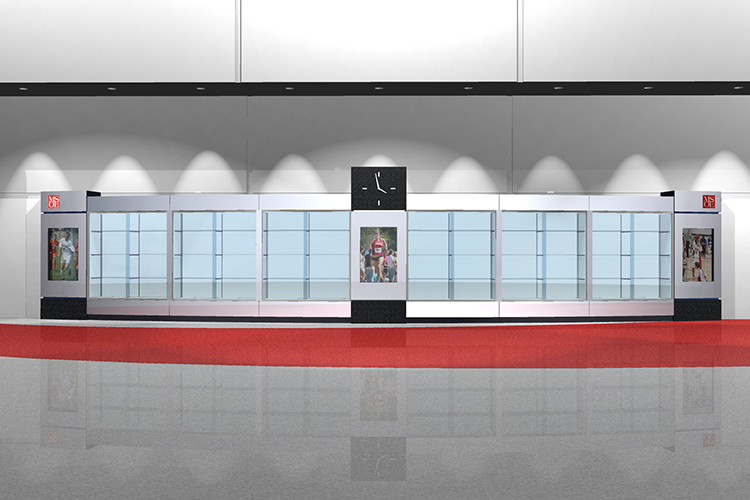 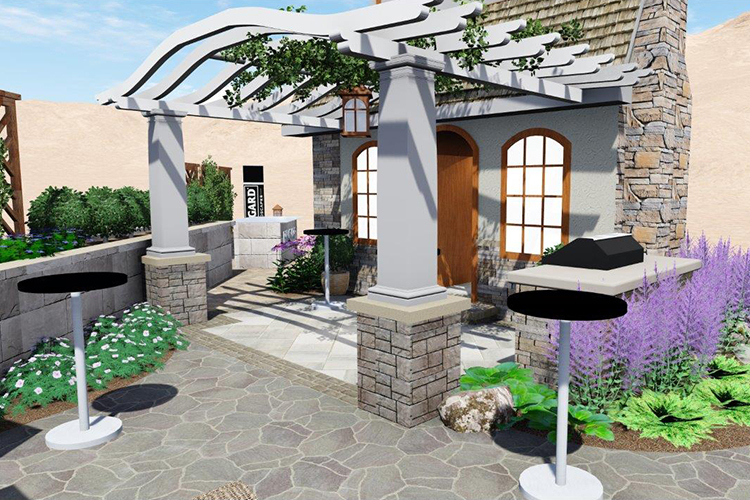 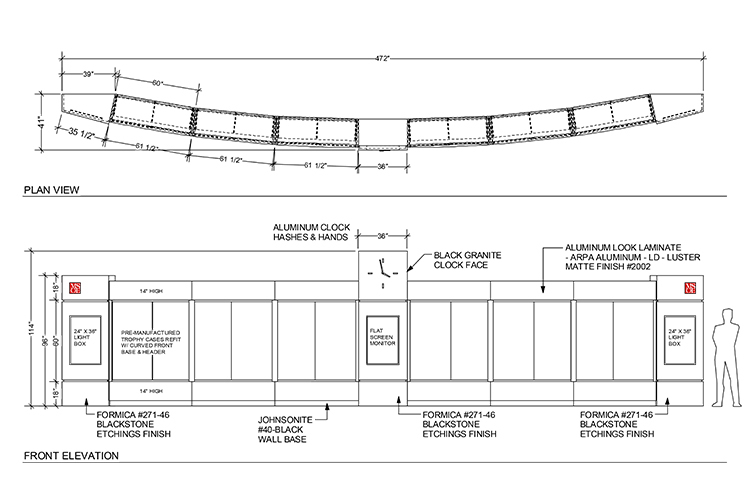 Our Exhibit Design Idea Gallery is the place to begin. 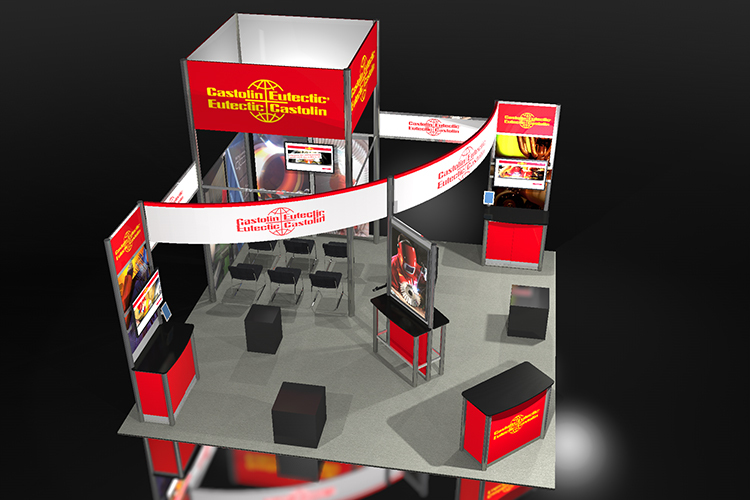 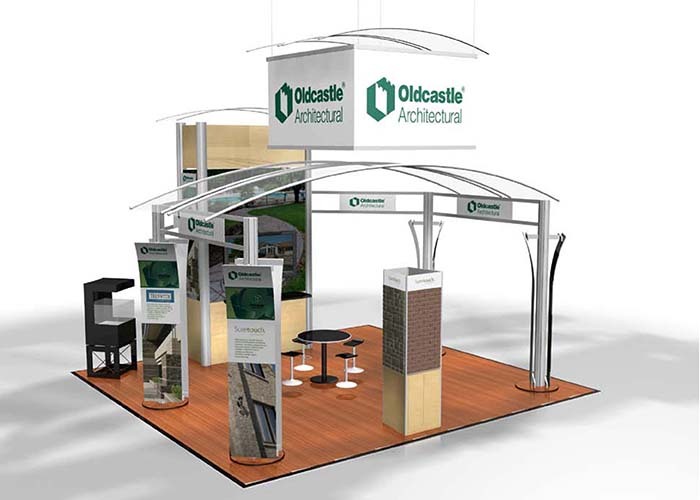 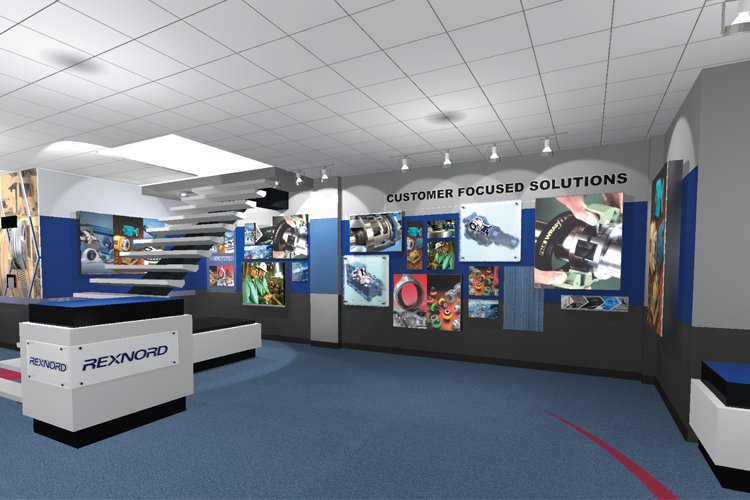 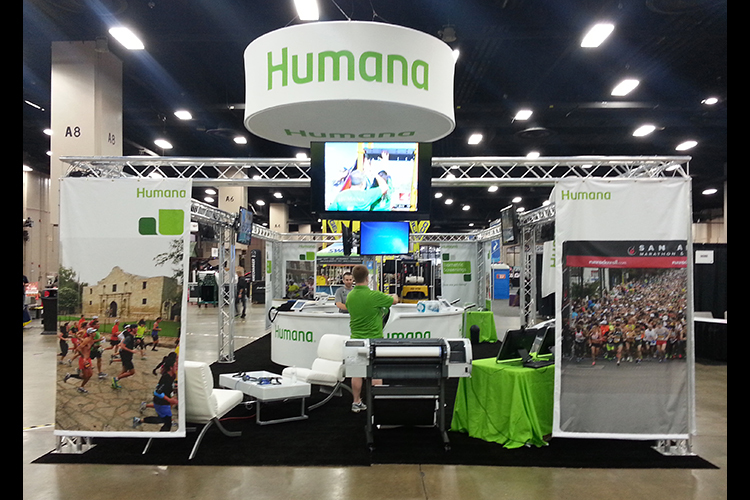 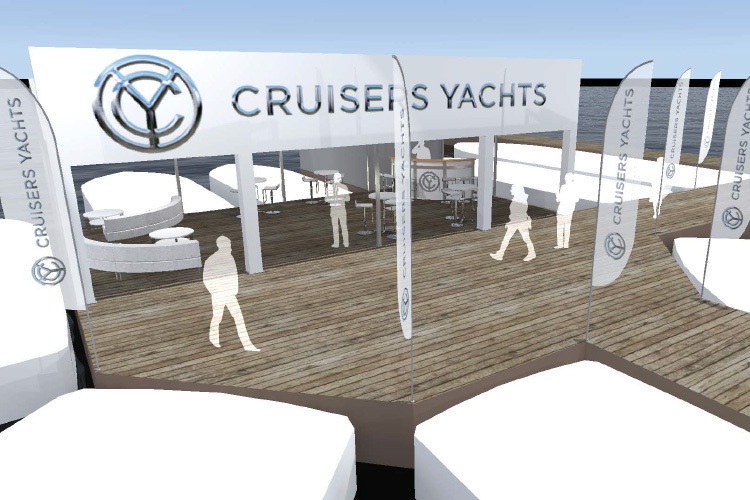 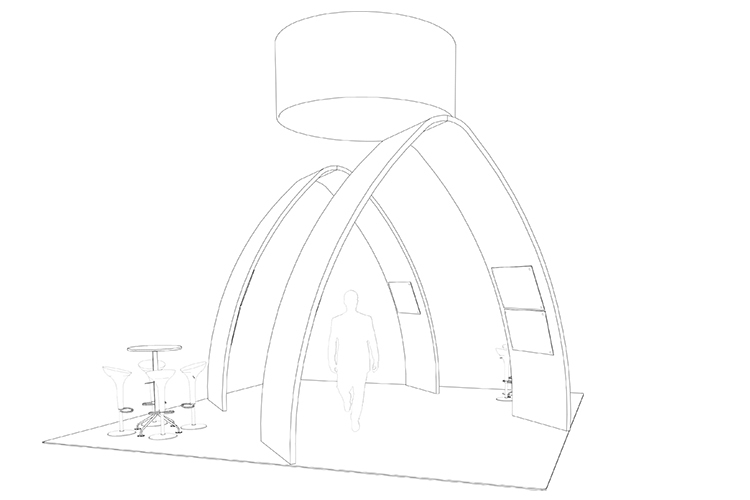 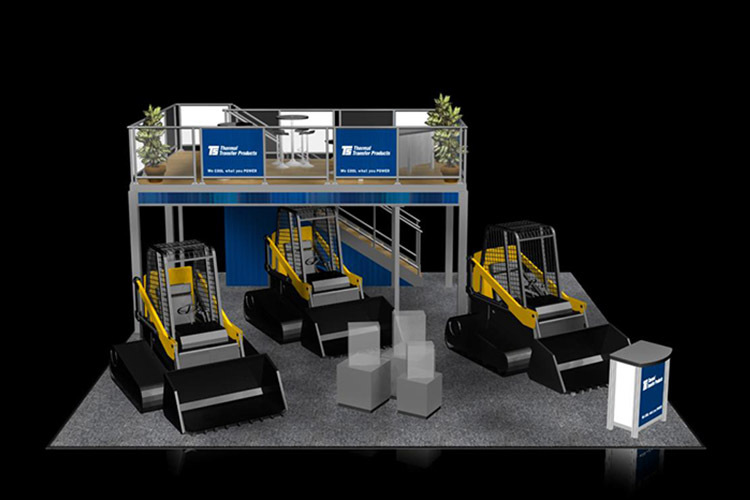 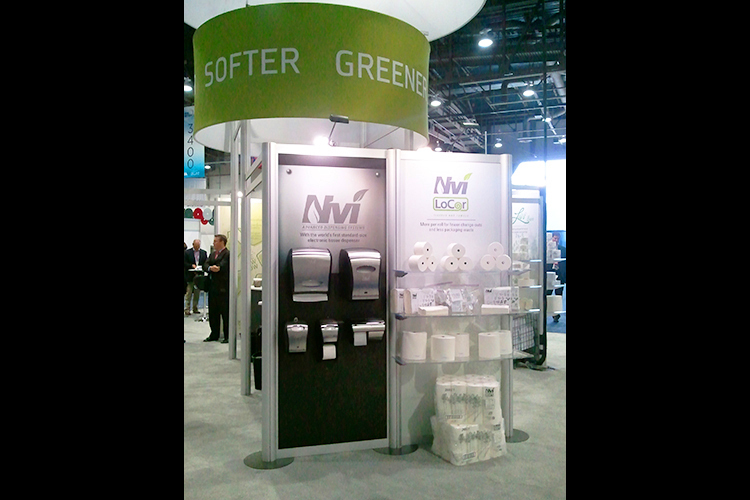 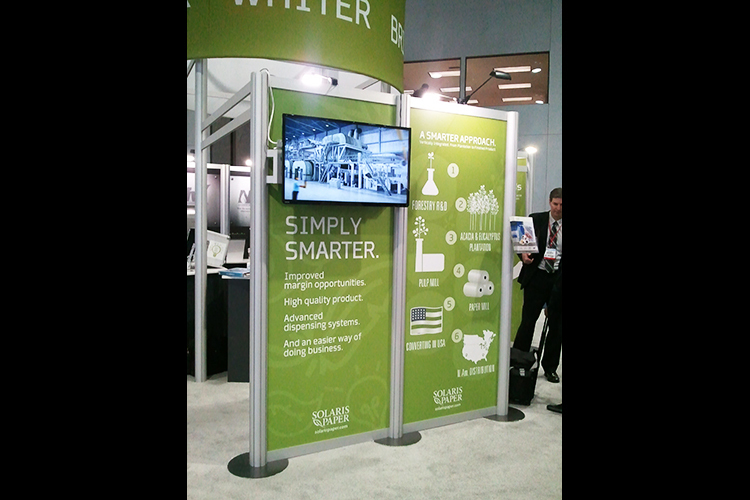 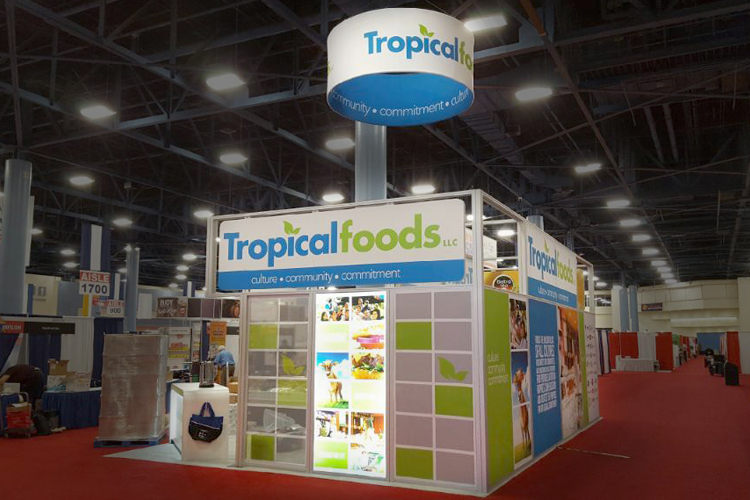 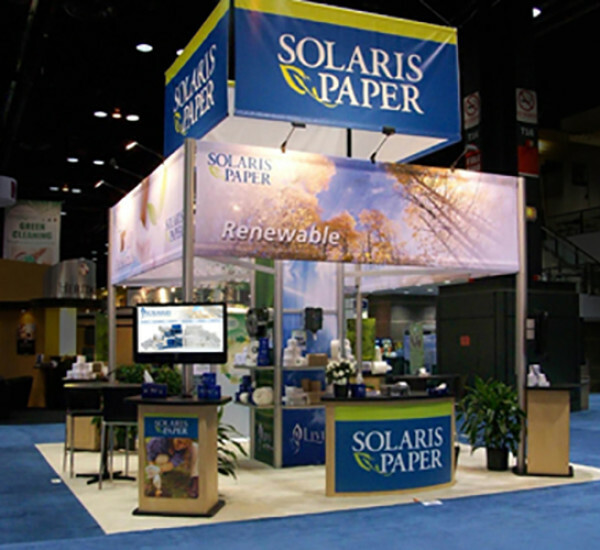 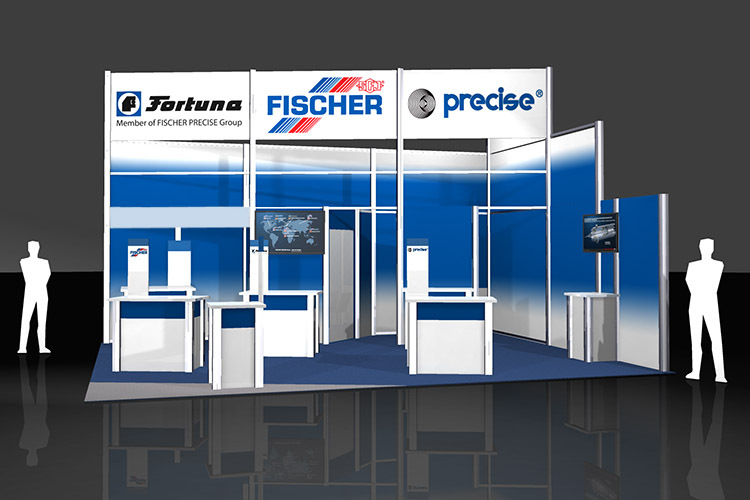 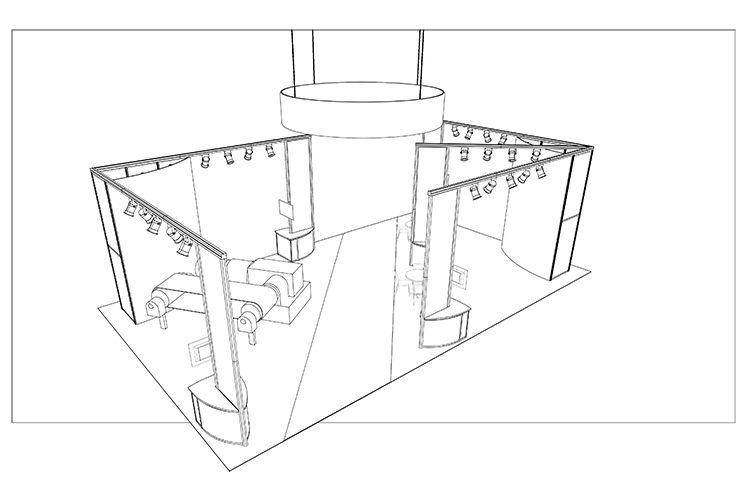 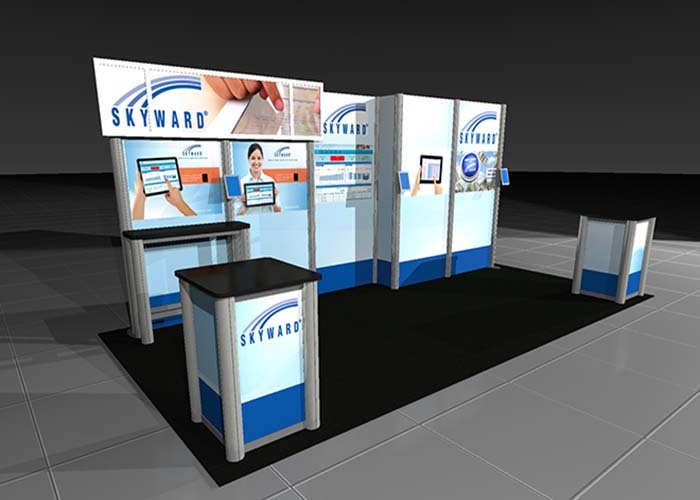 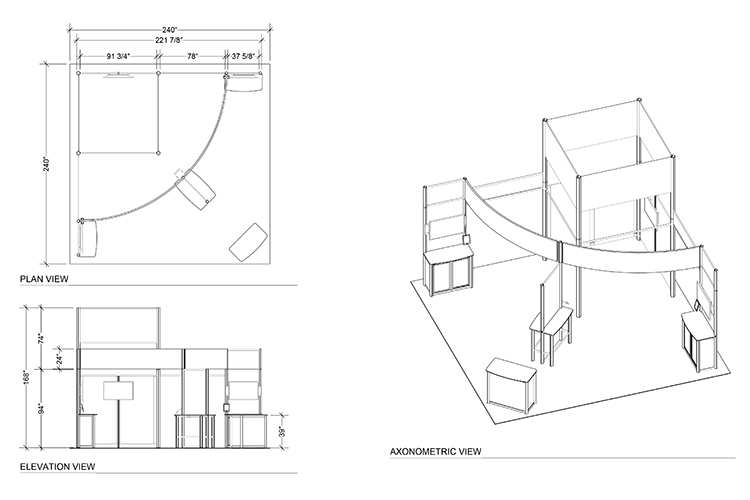 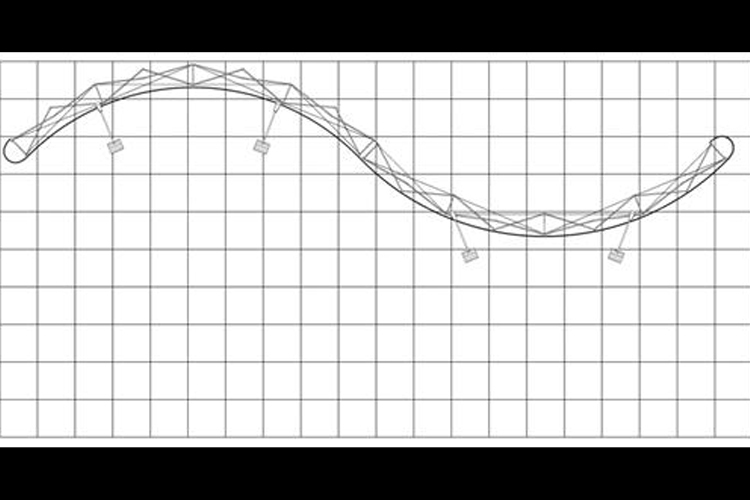 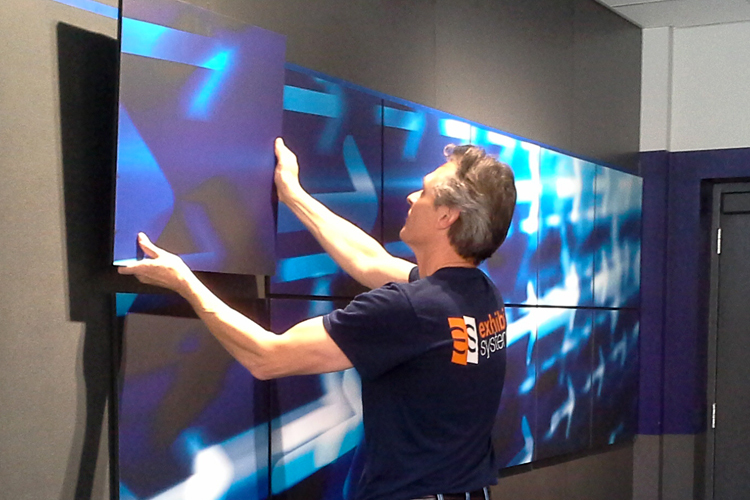 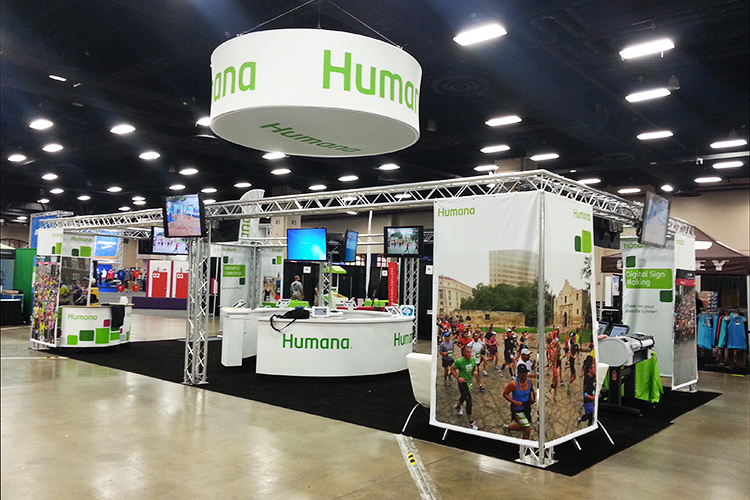 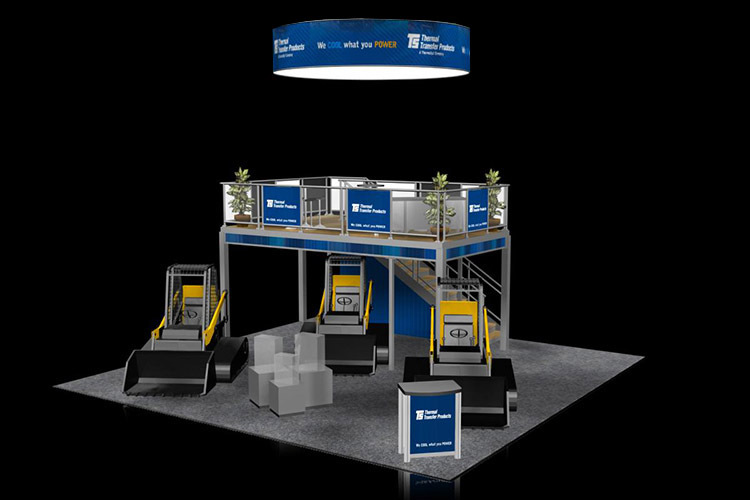 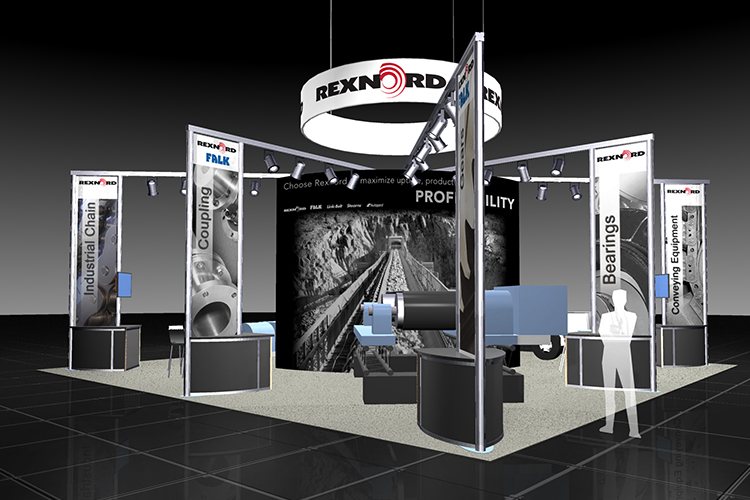 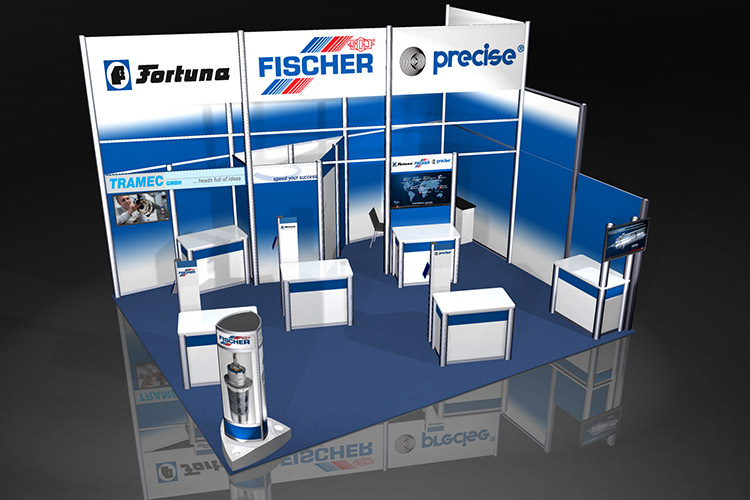 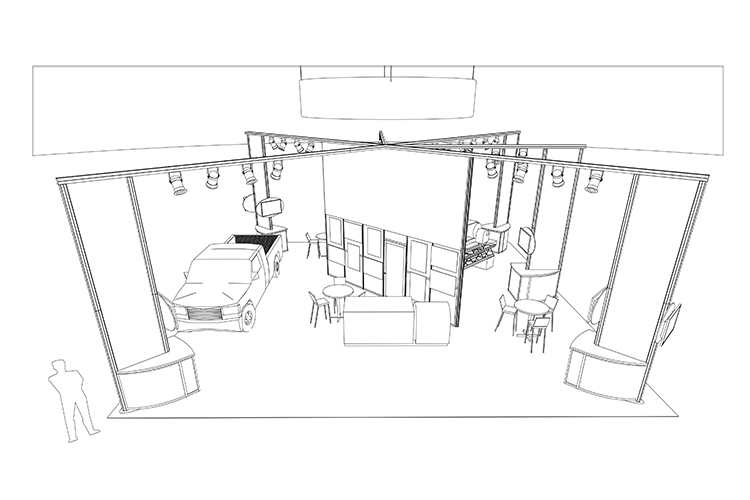 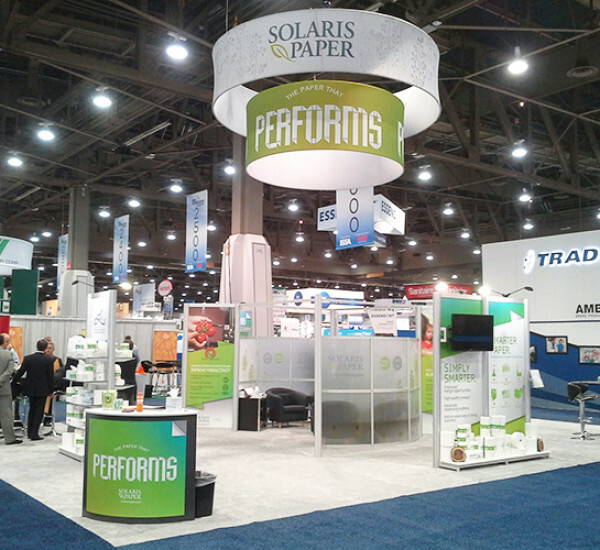 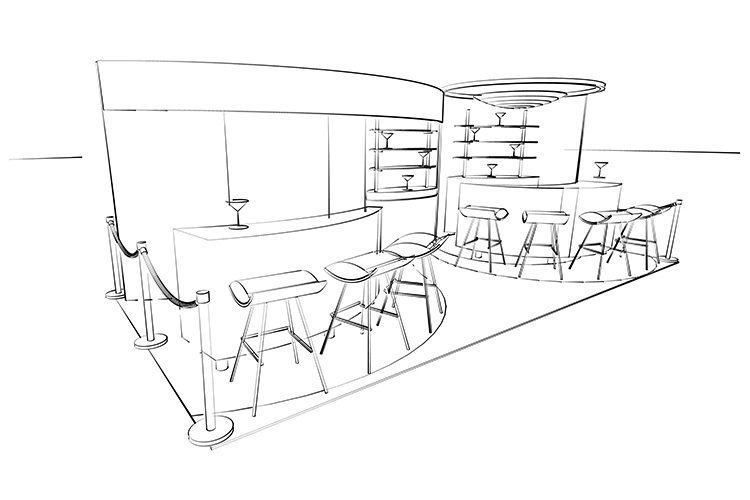 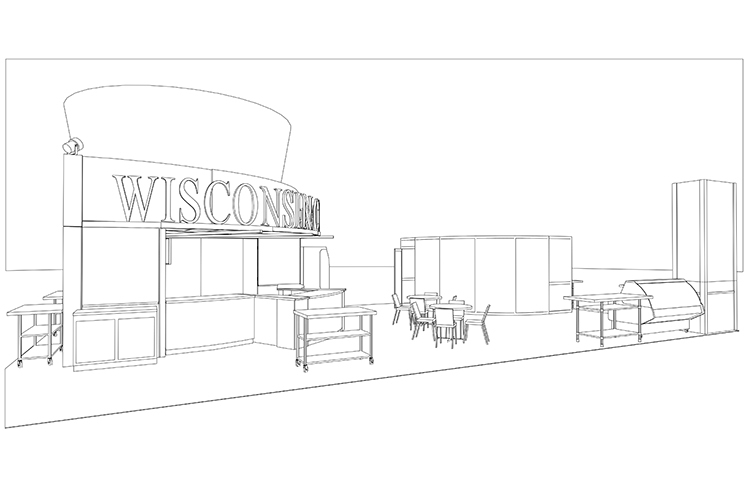 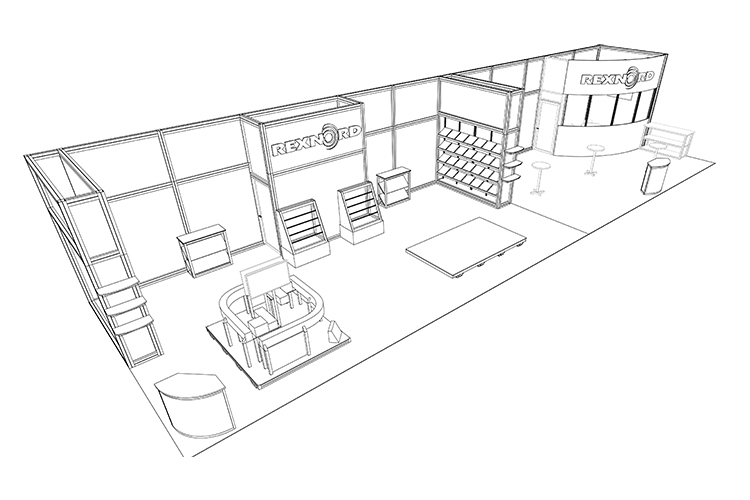 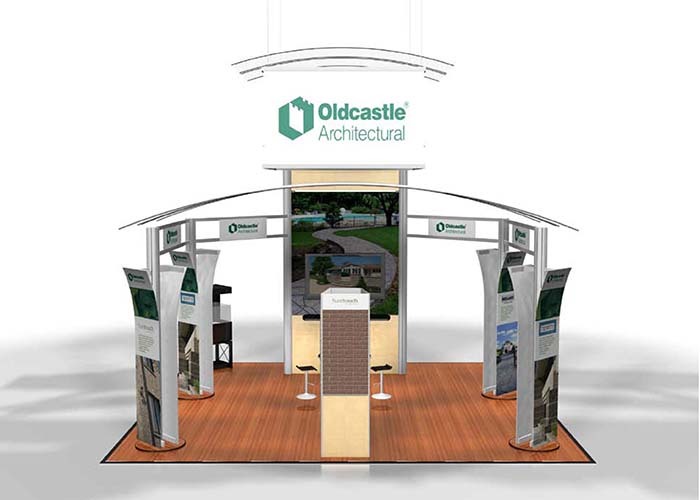 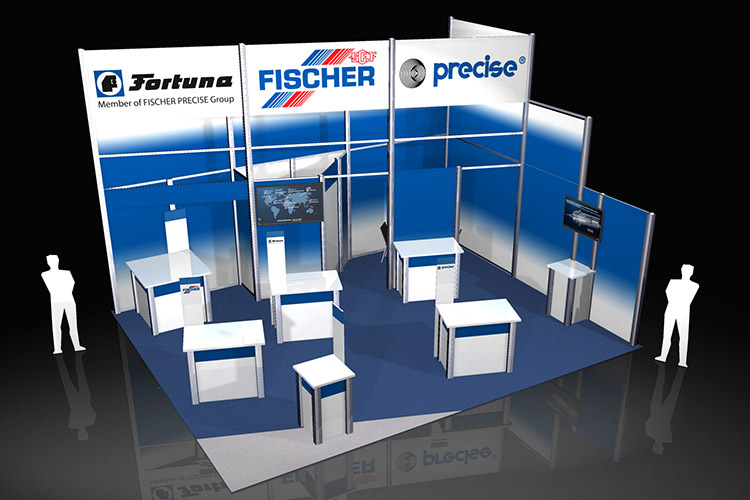 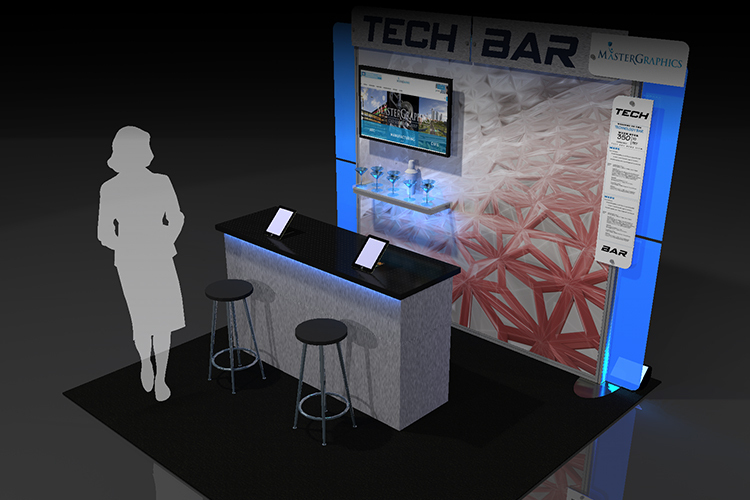 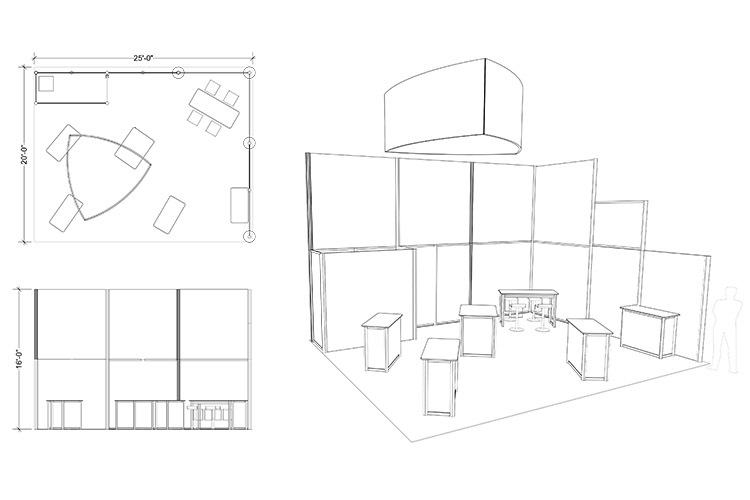 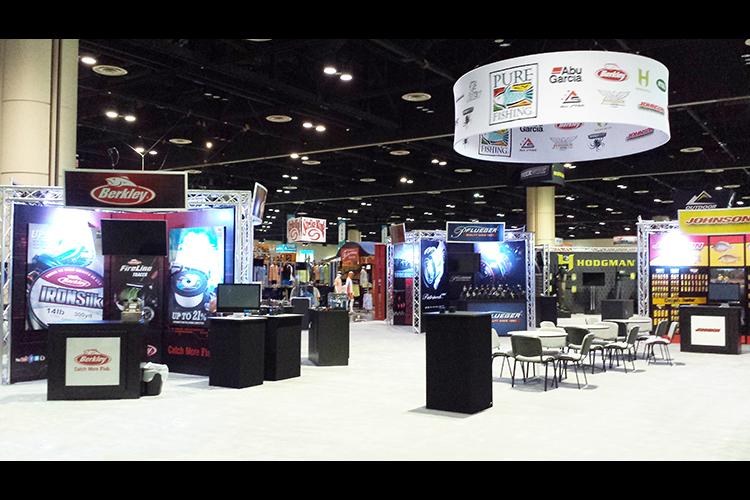 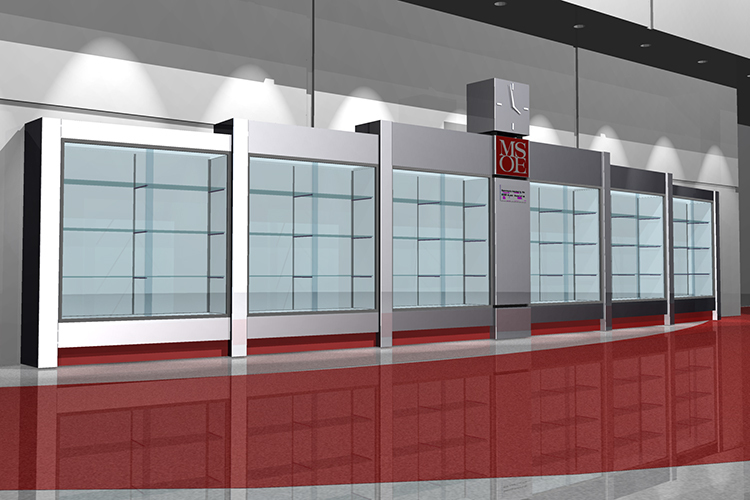 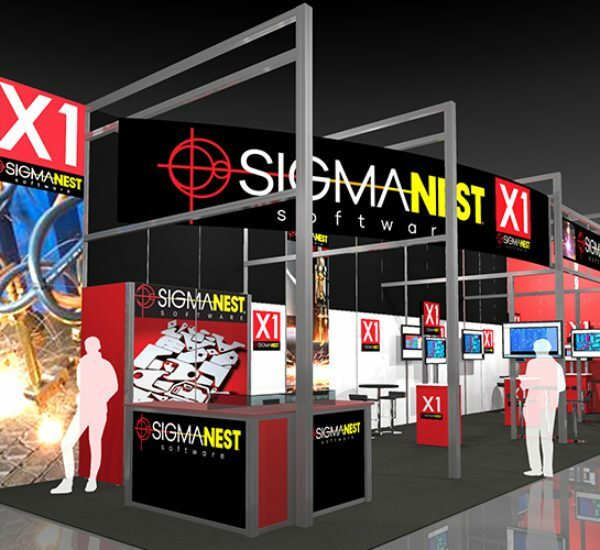 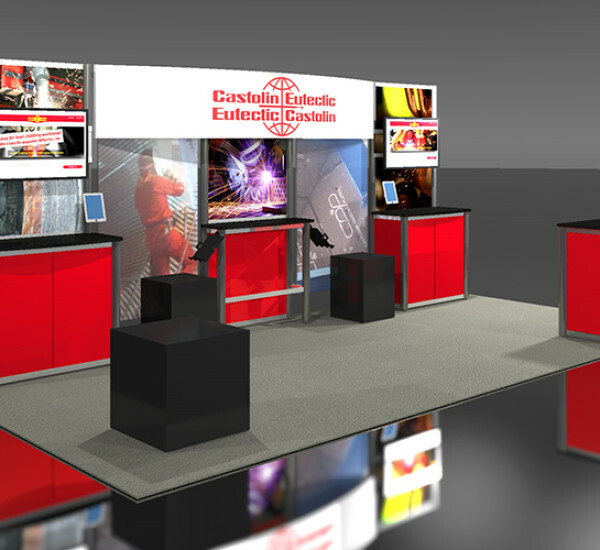 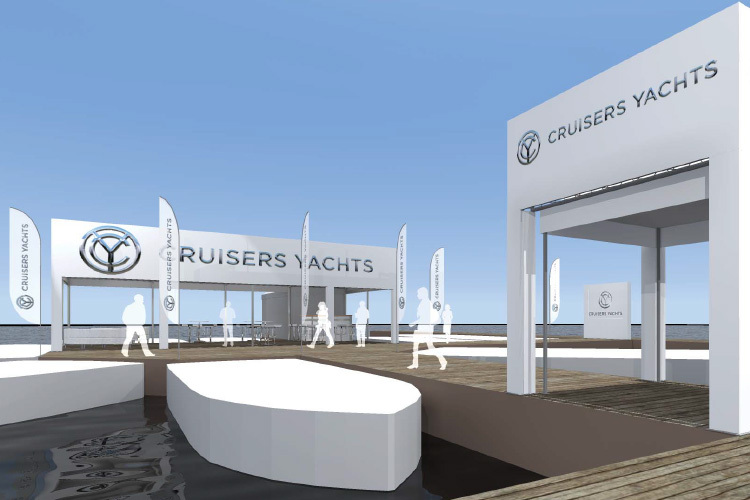 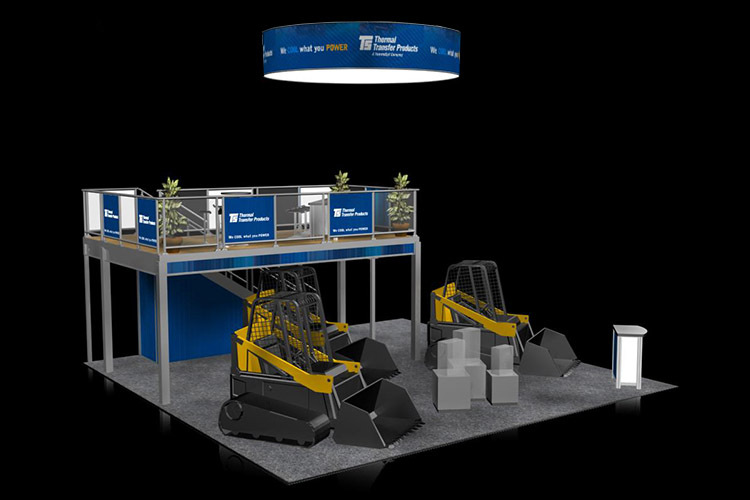 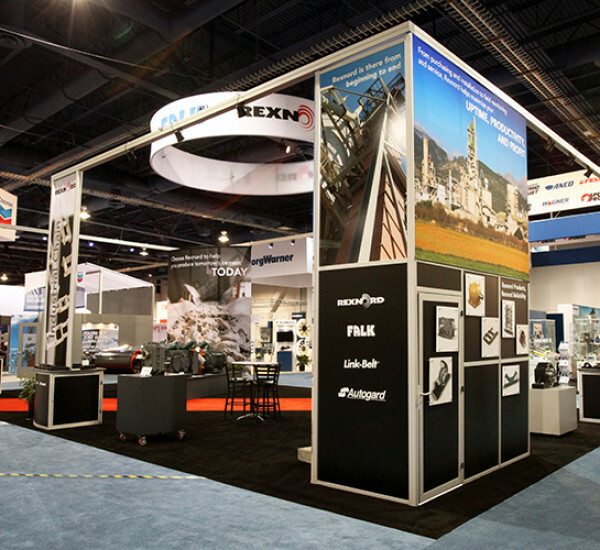 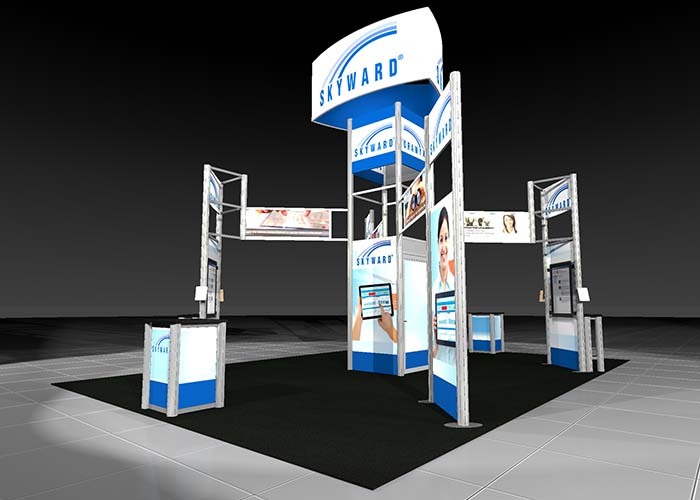 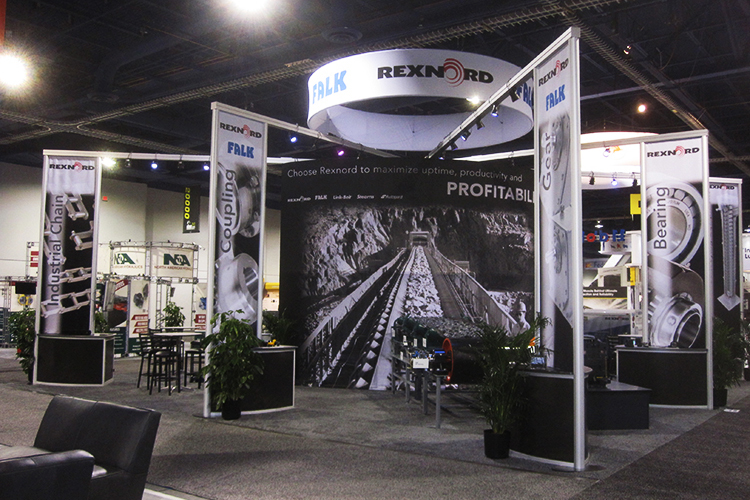 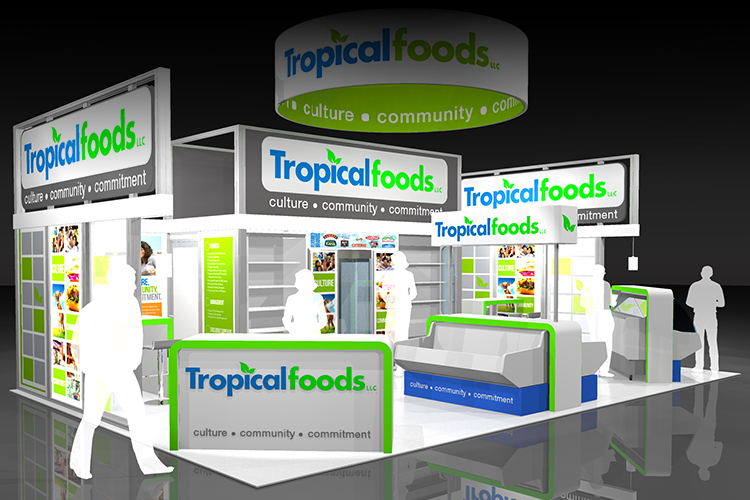 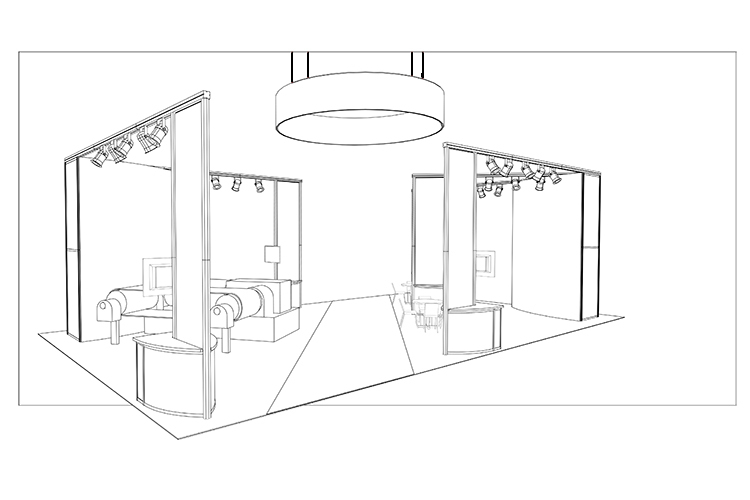 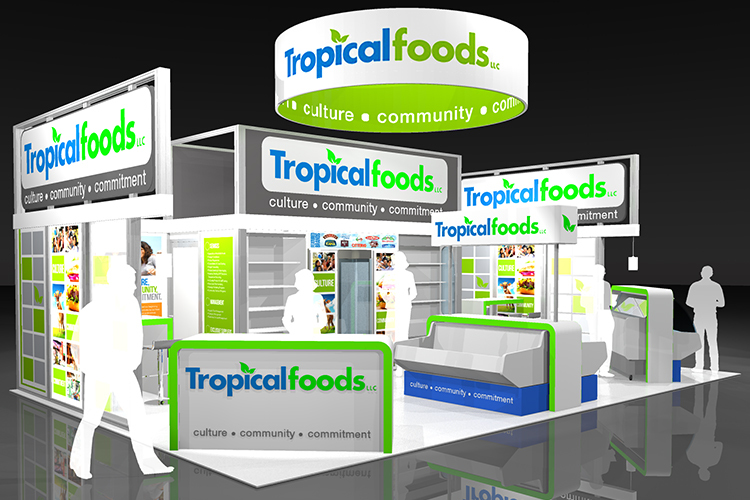 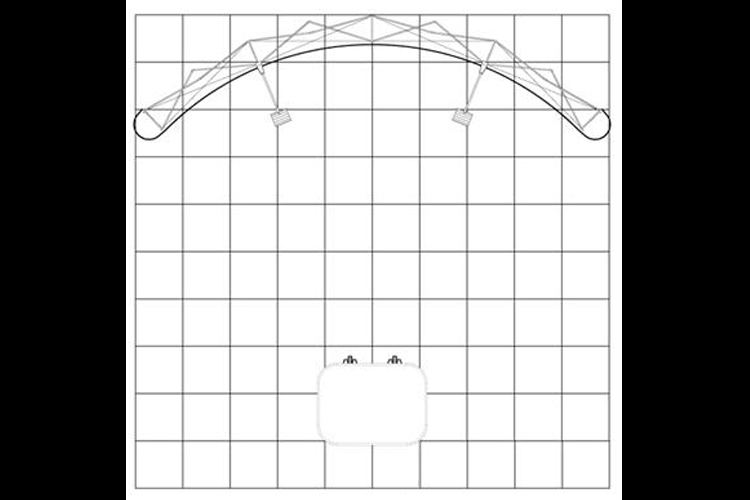 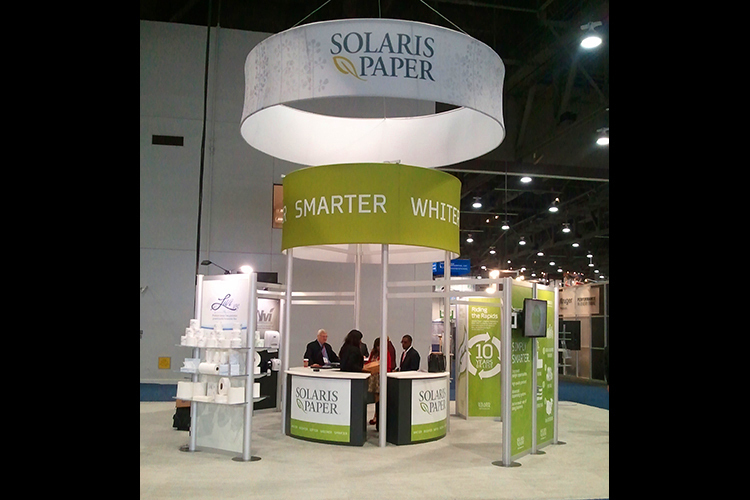 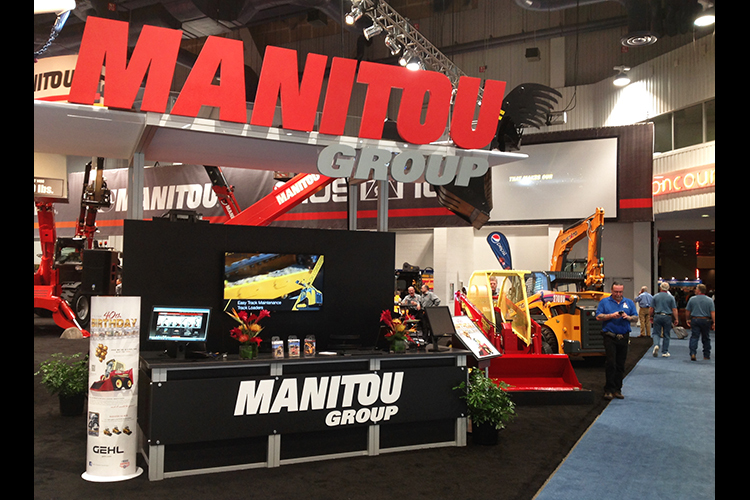 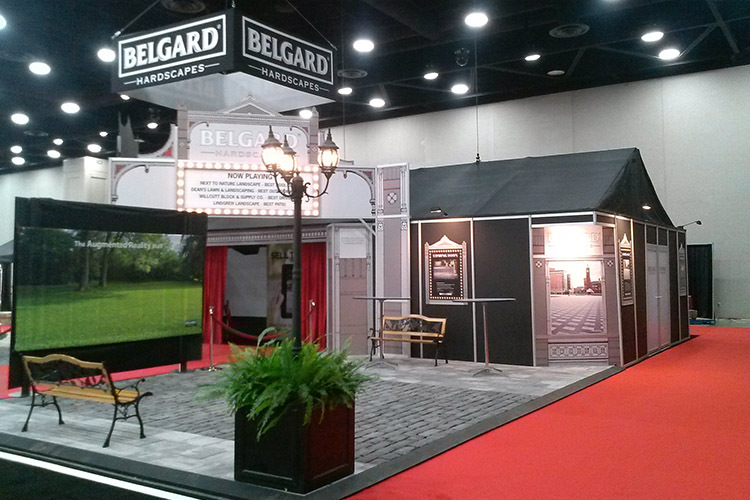 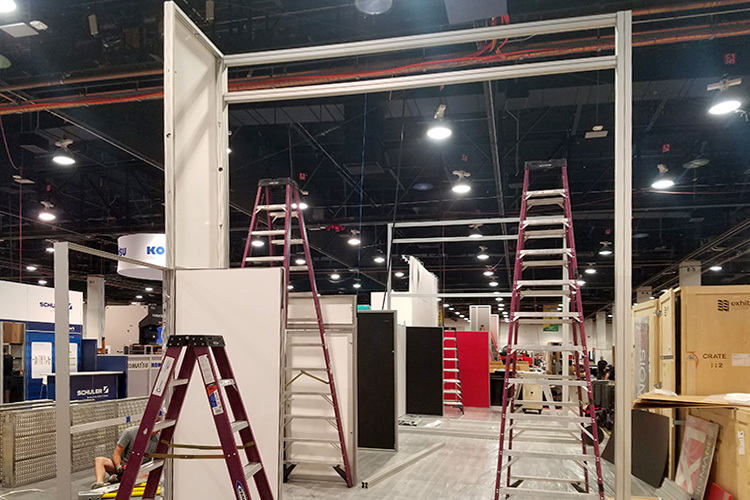 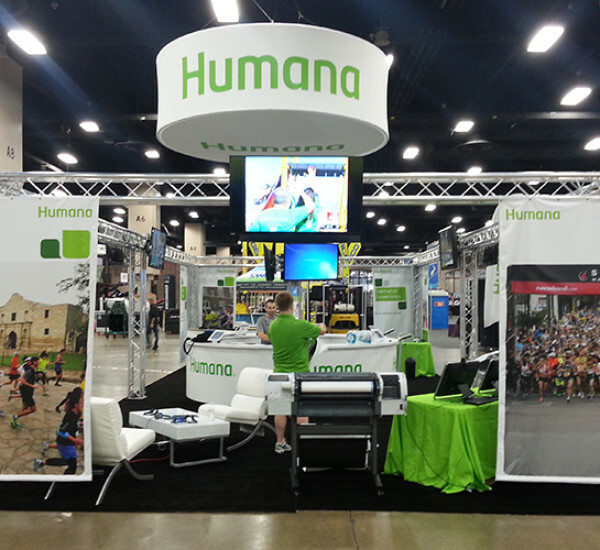 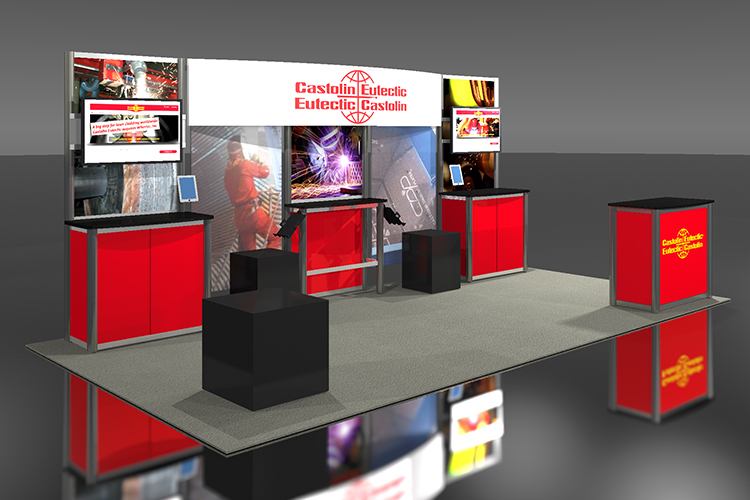 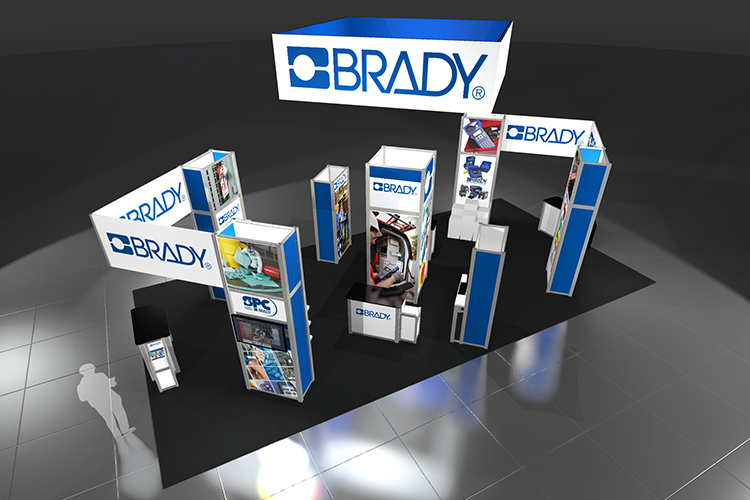 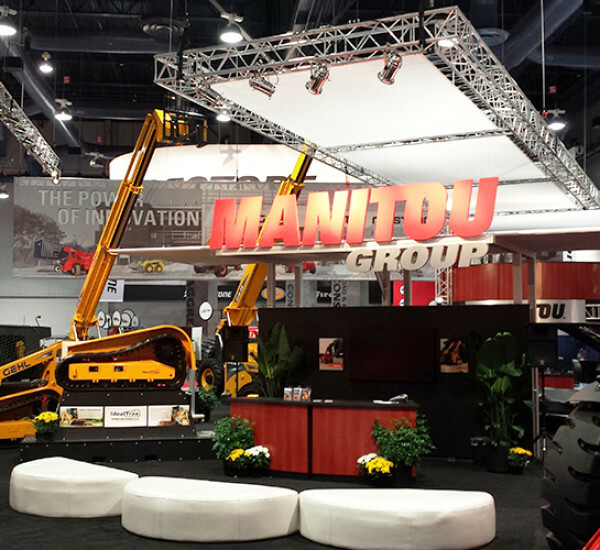 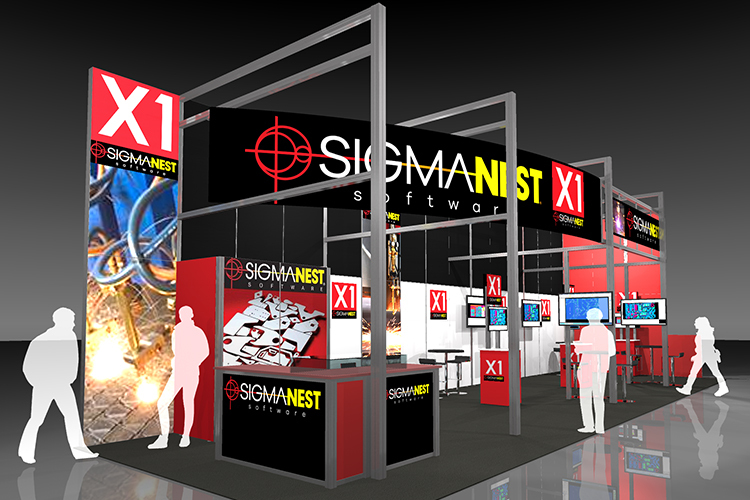 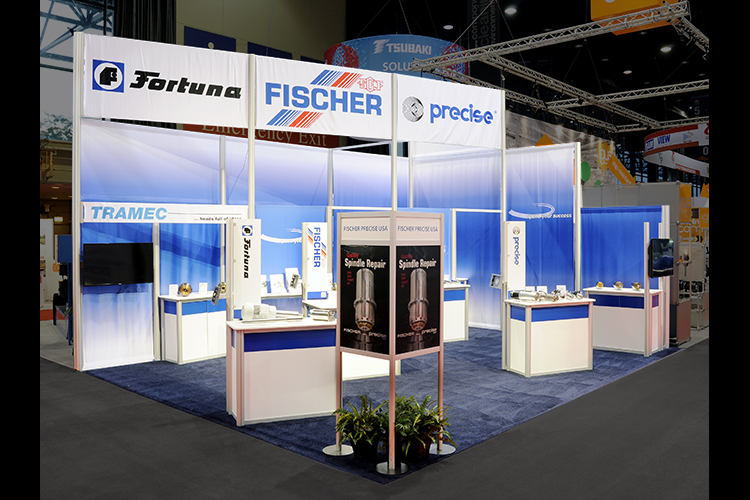 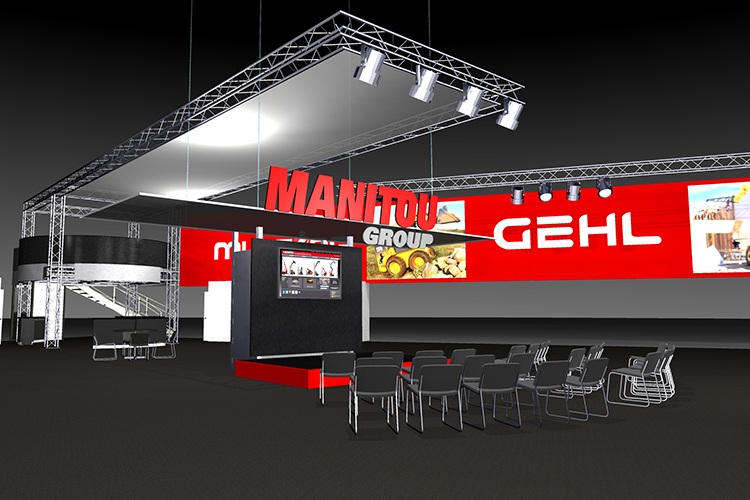 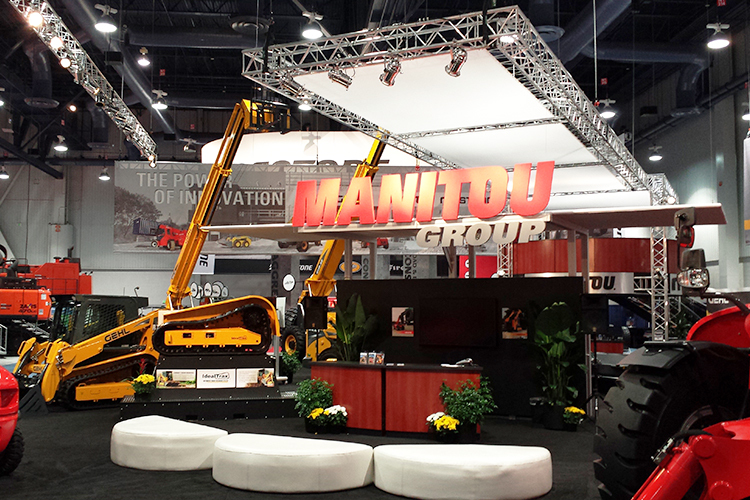 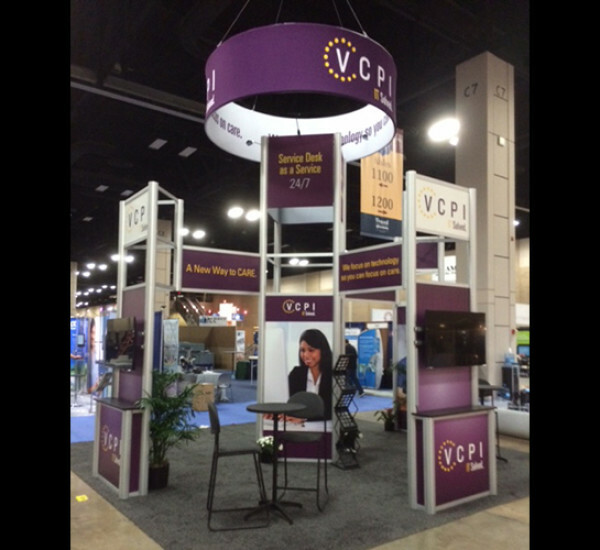 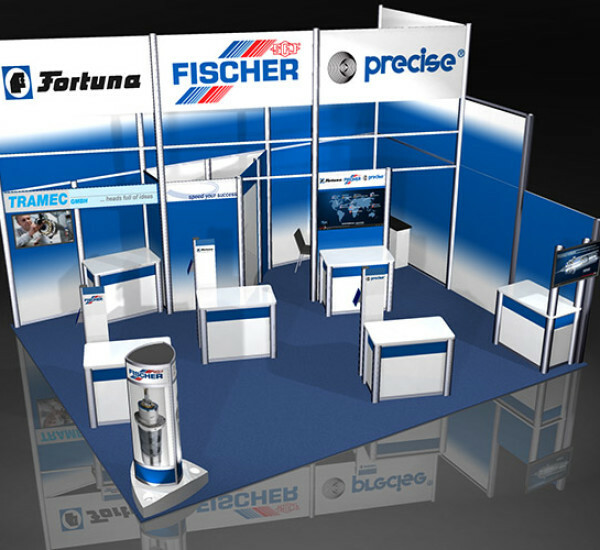 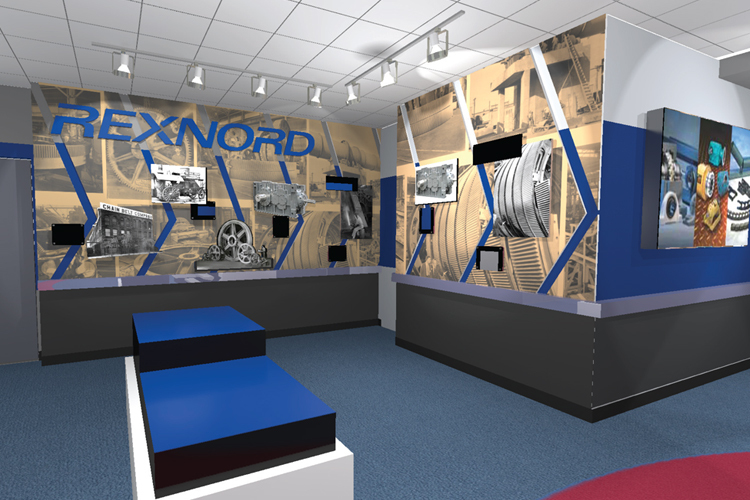 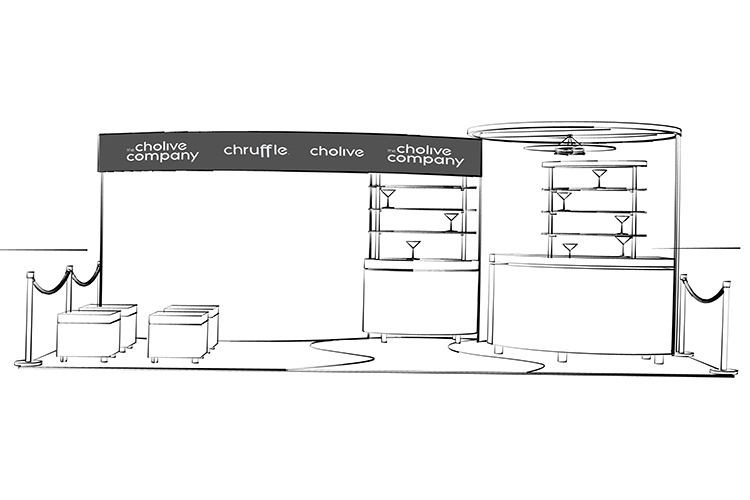 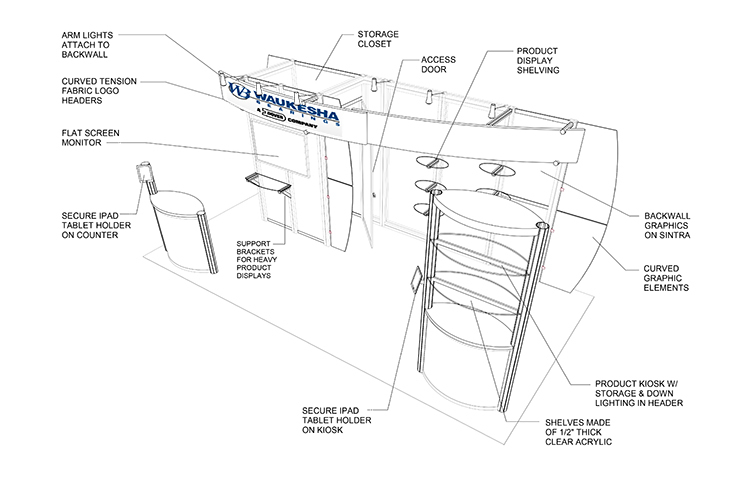 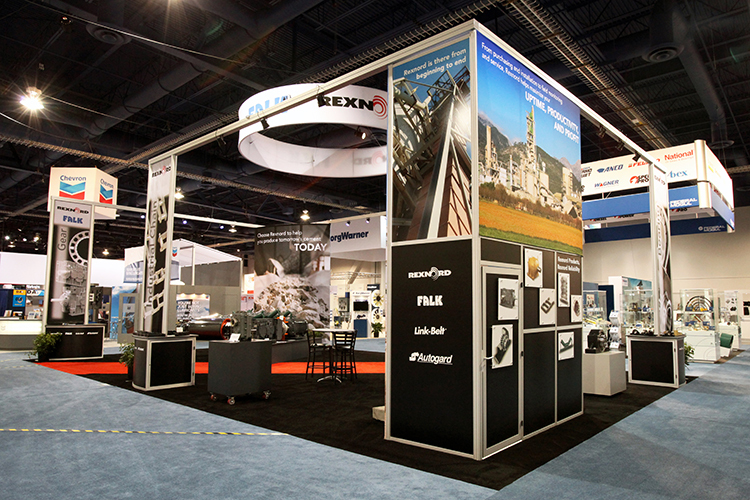 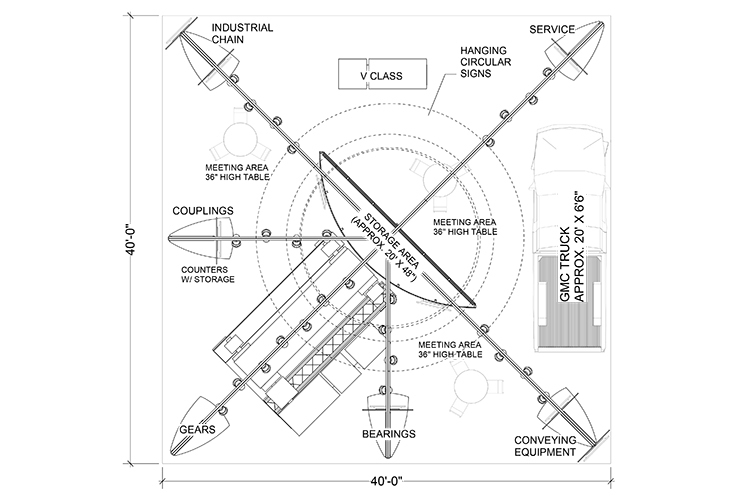 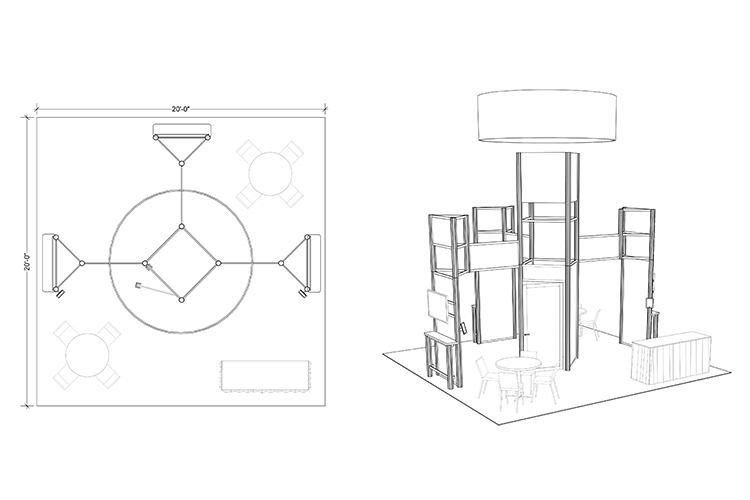 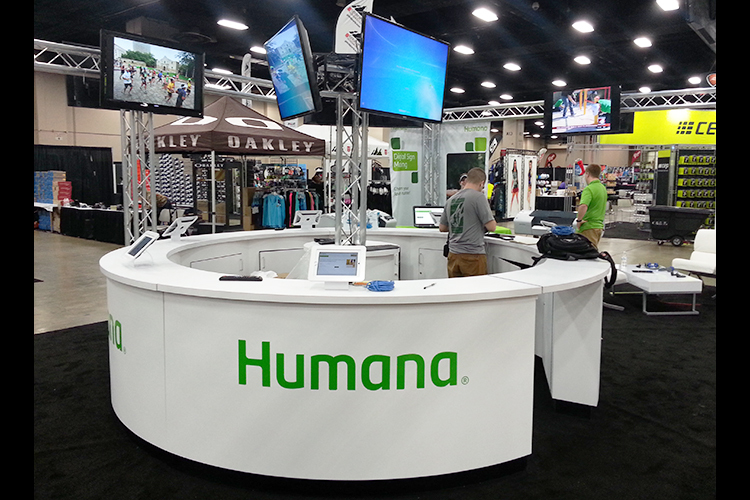 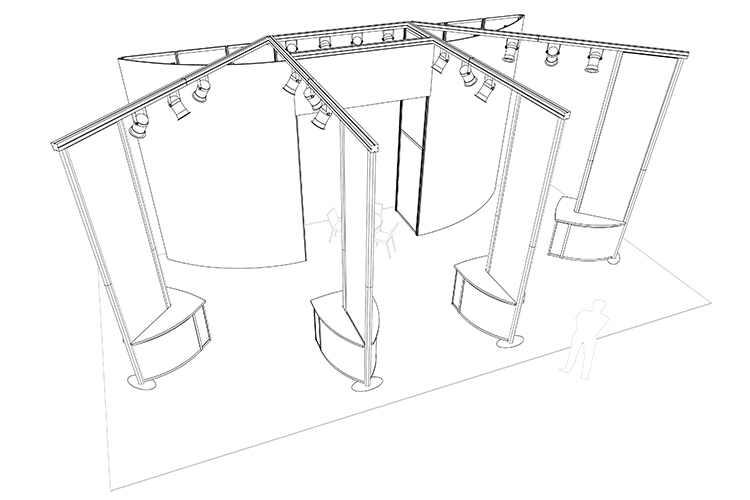 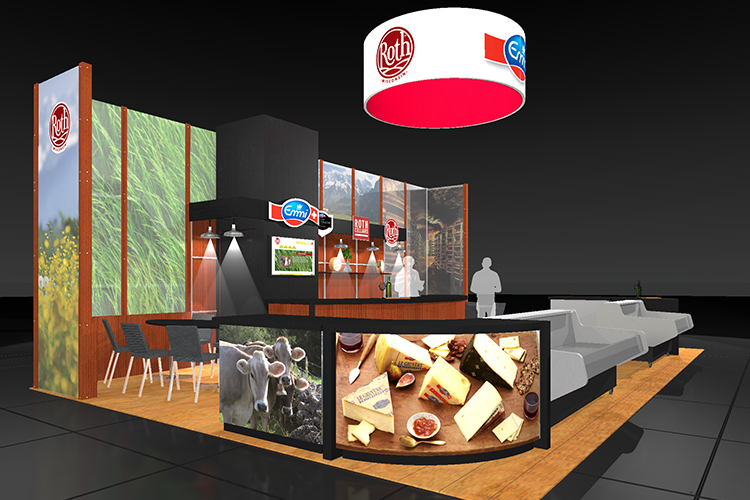 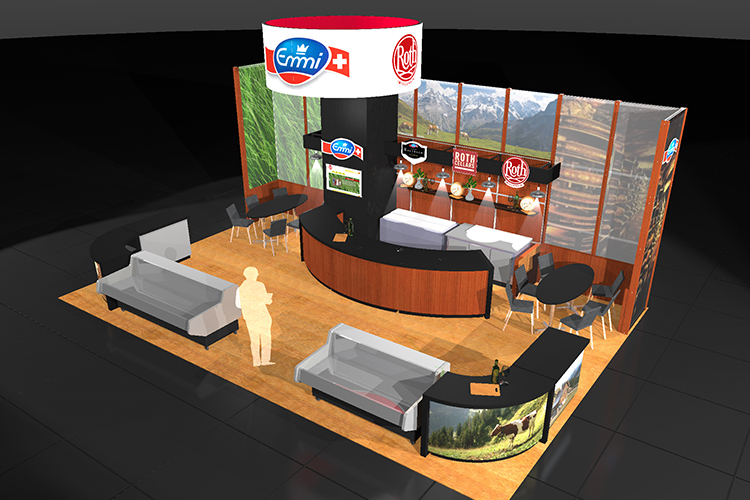 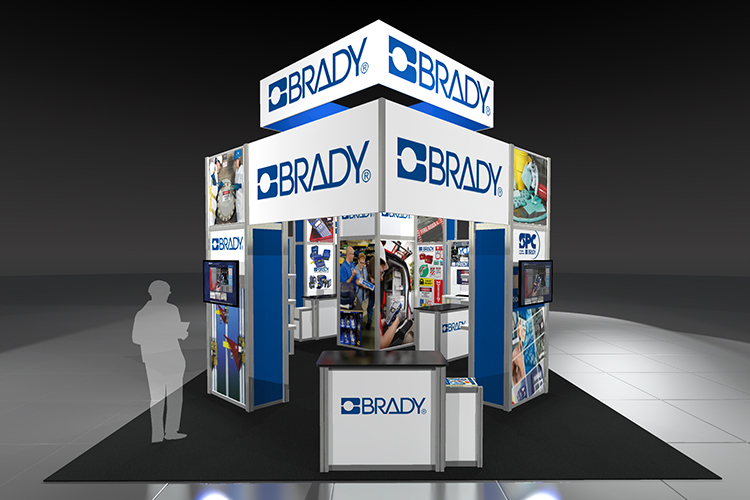 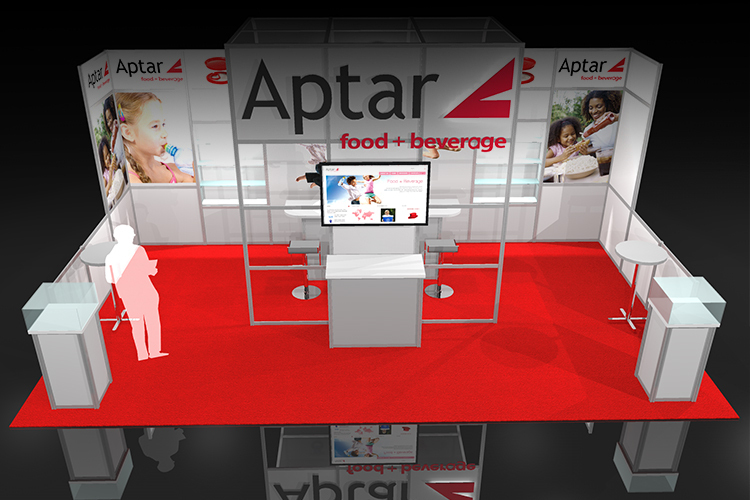 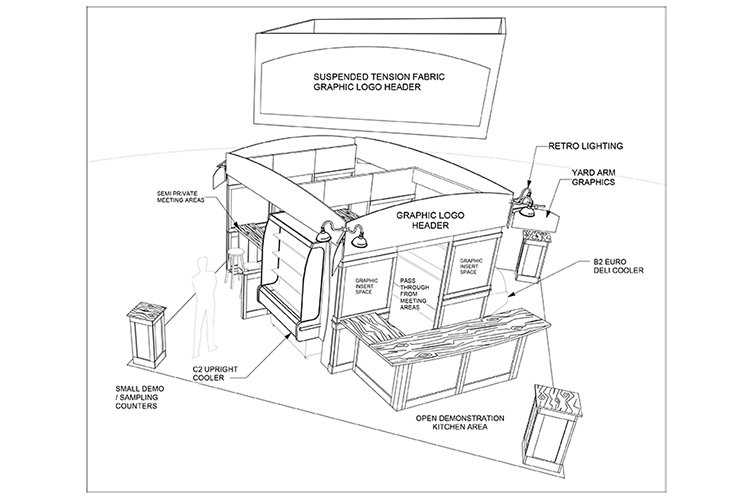 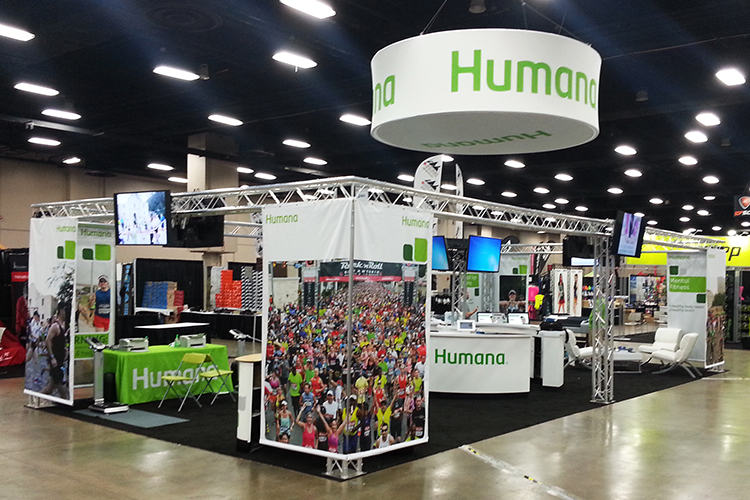 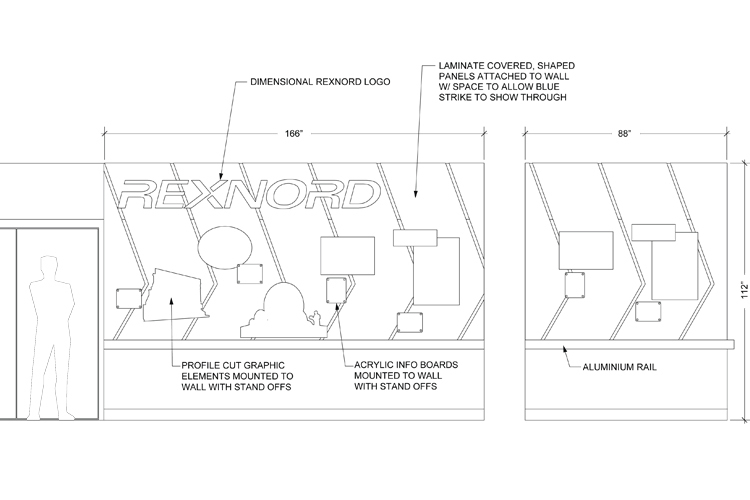 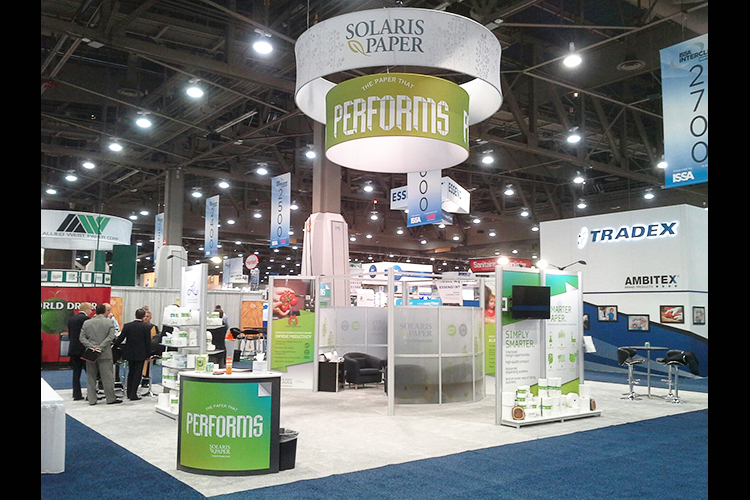 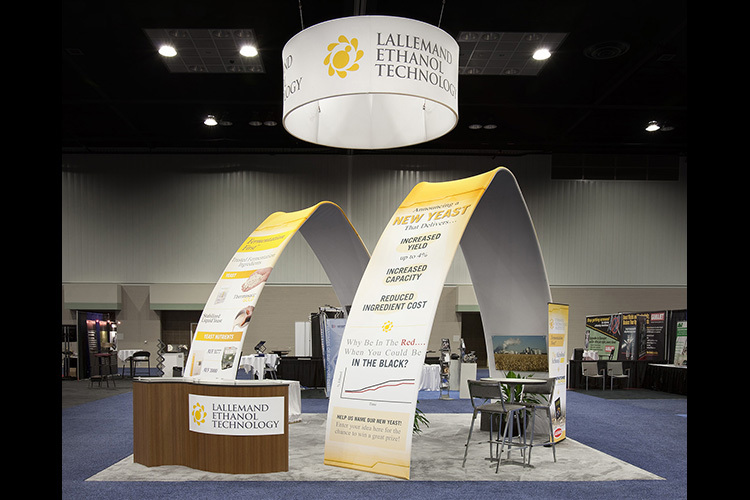 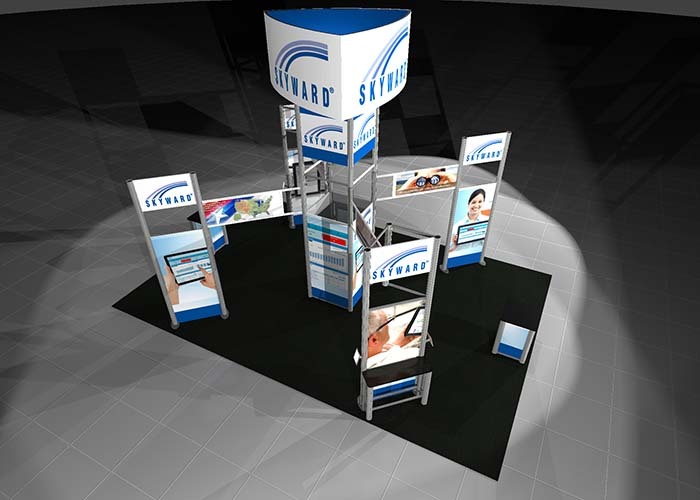 Getting started in designing a new trade show exhibit is a challenge, to say the least, and that’s where we can help. 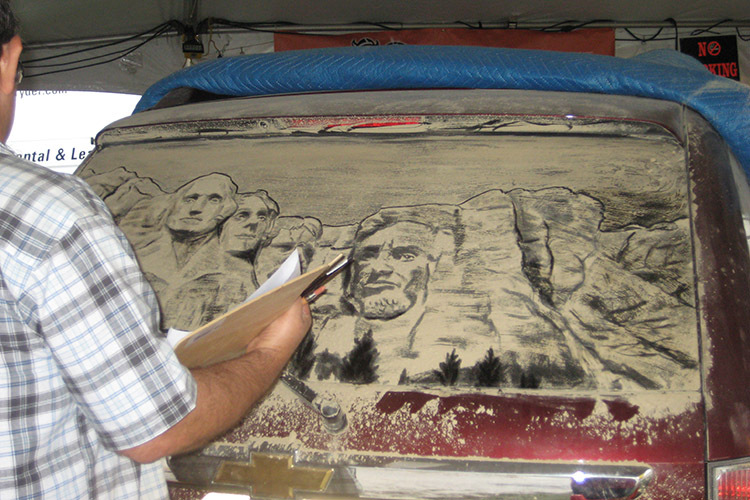 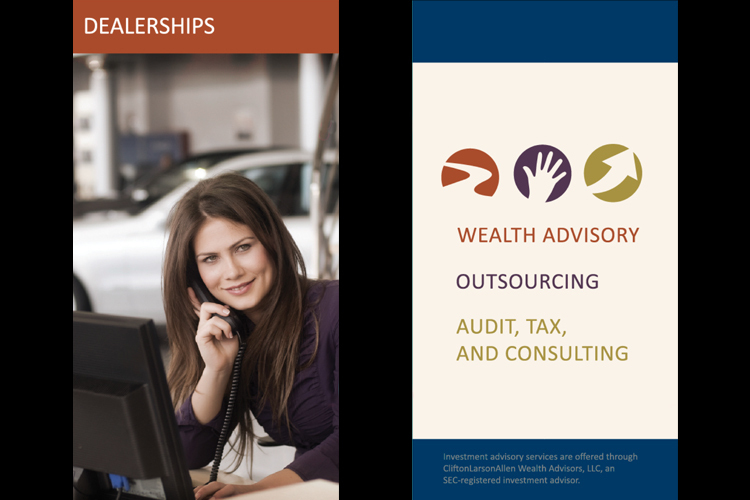 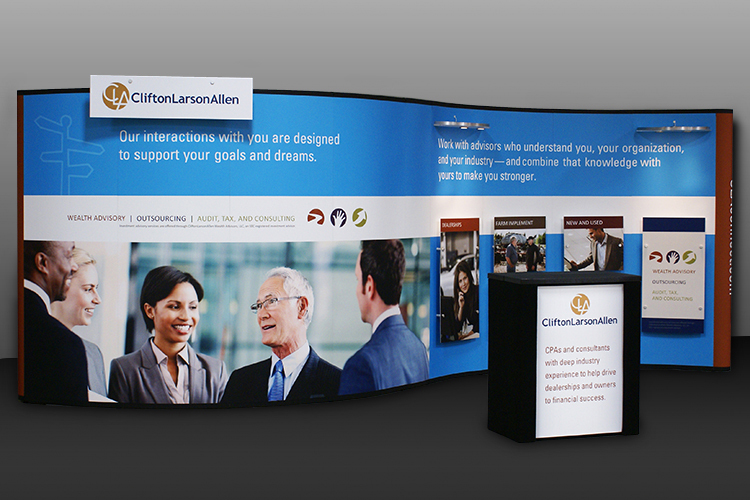 We have years of experience working with clients just like you. 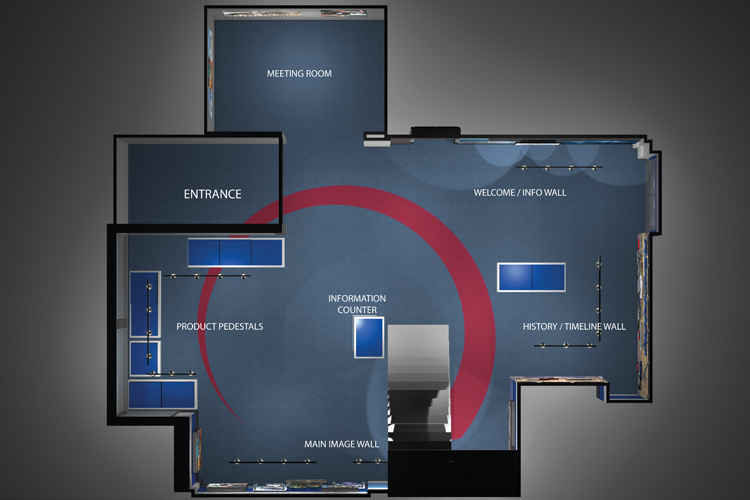 And we found it’s easier to start by looking at images, reviewing existing layouts and considering drawings of exhibit and displays. 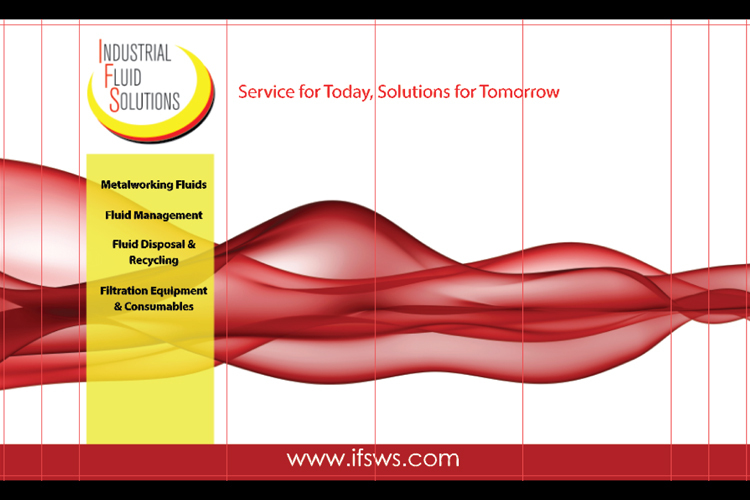 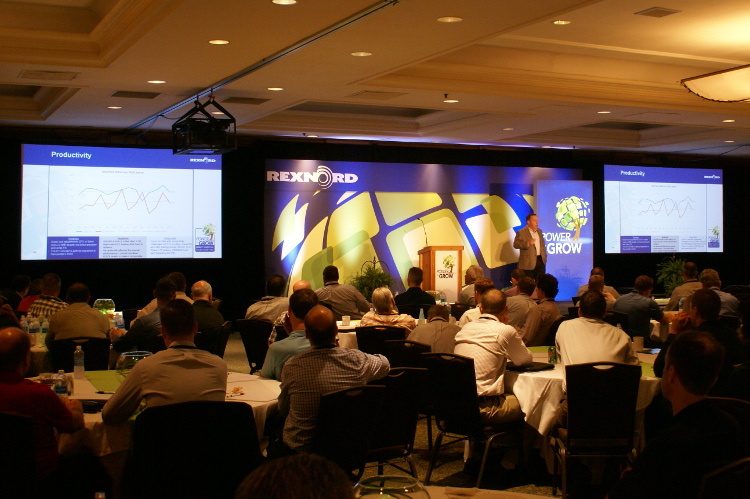 What are the latest trends in the industry? 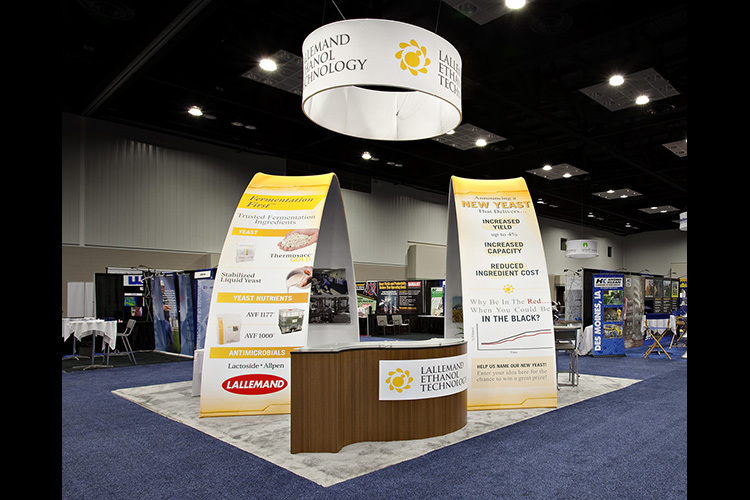 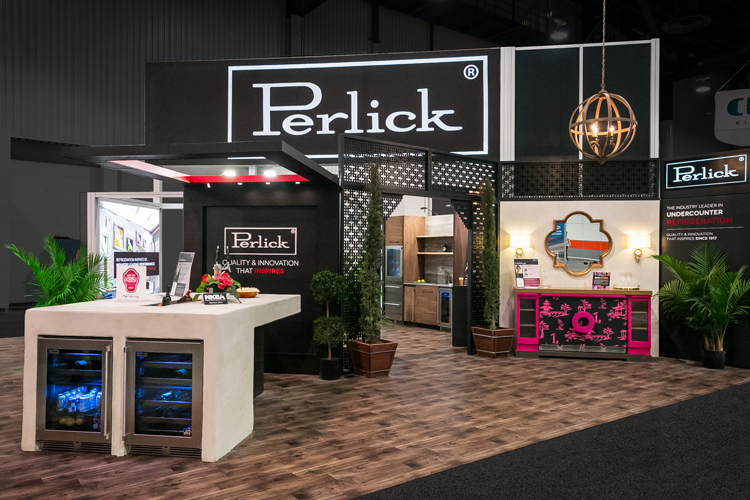 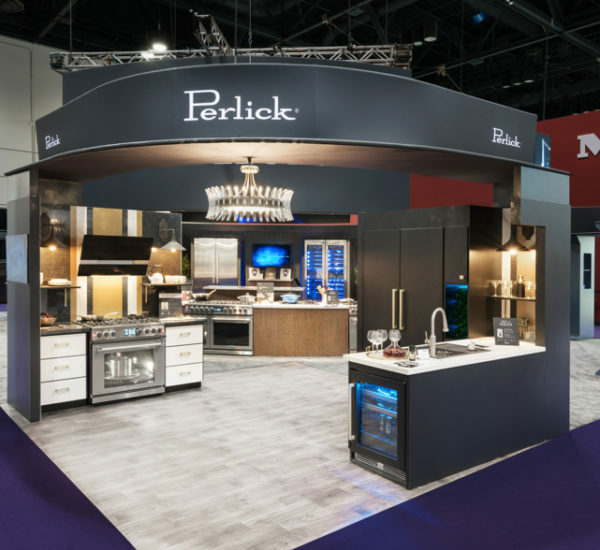 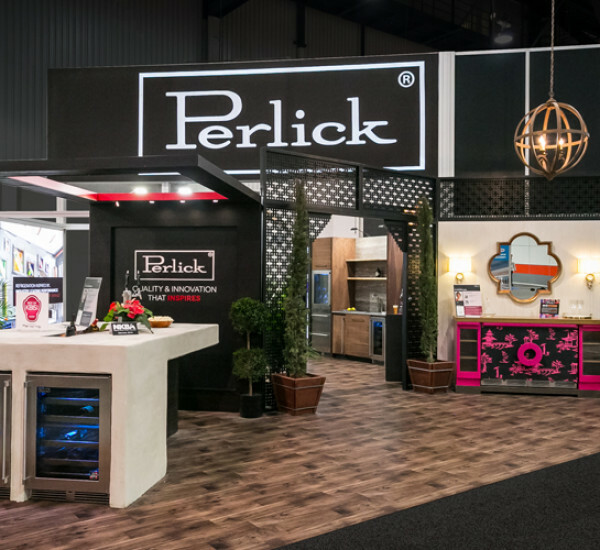 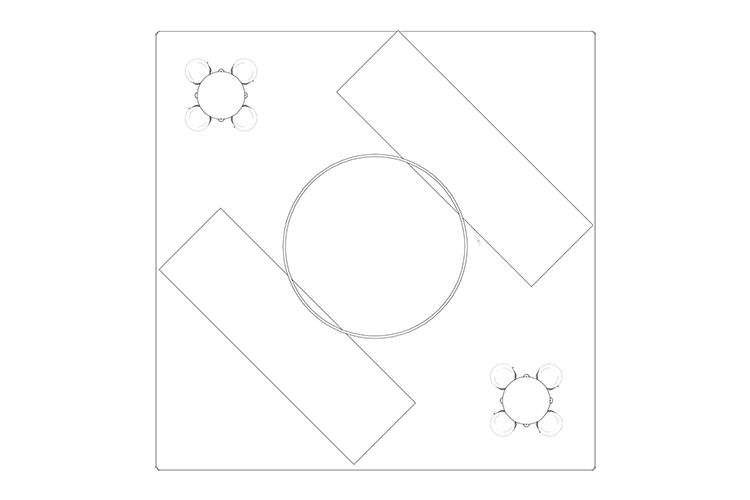 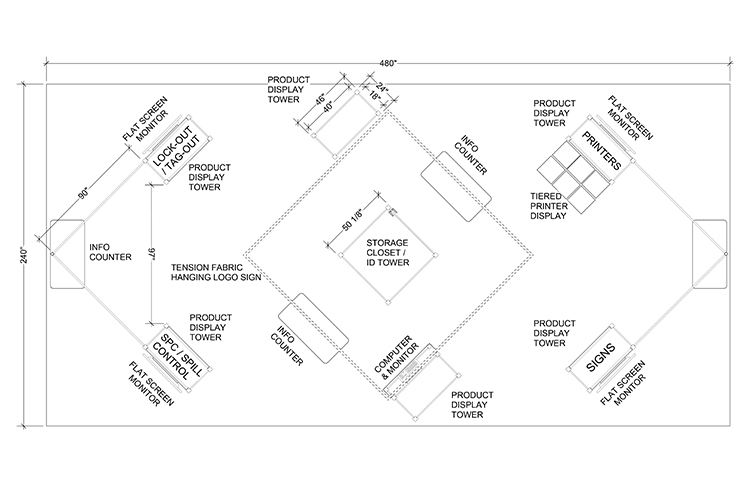 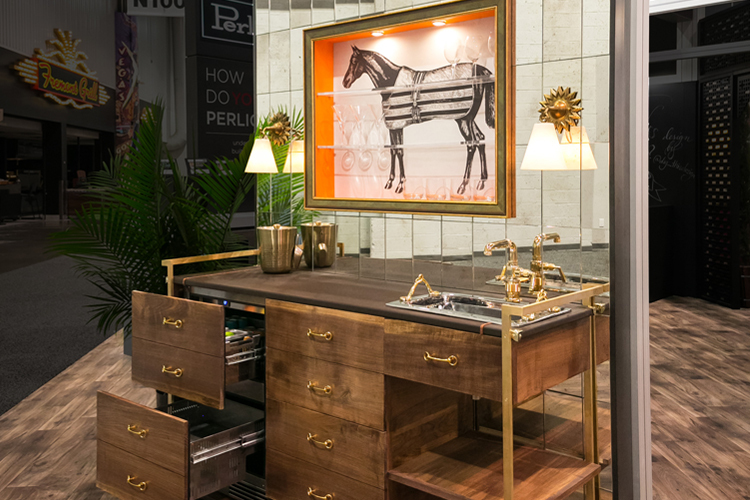 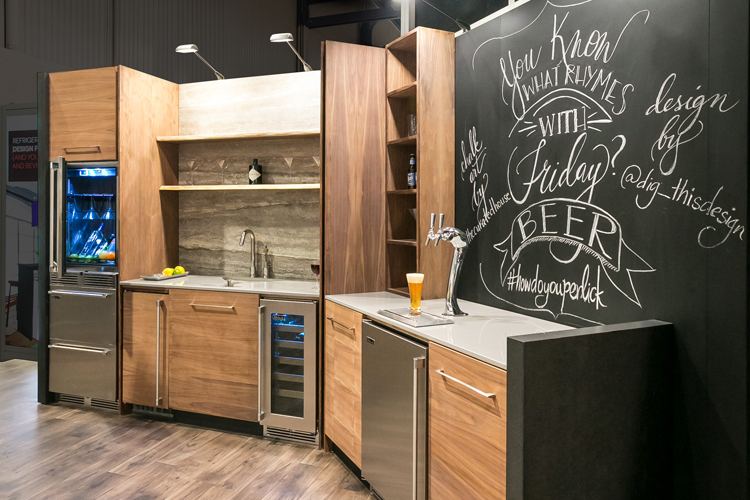 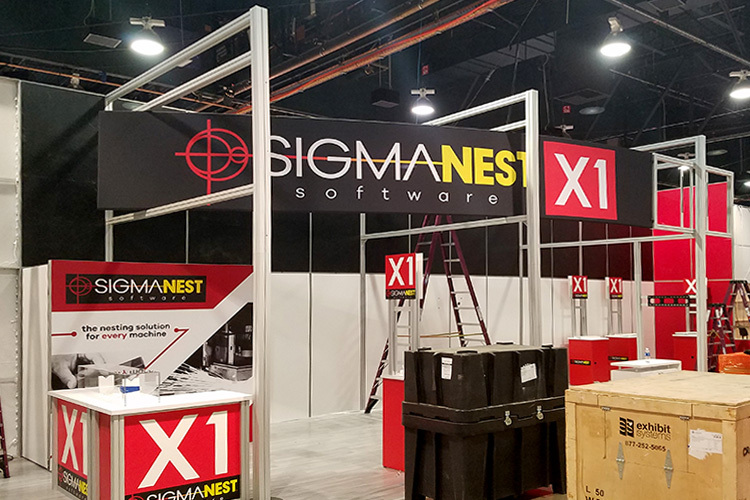 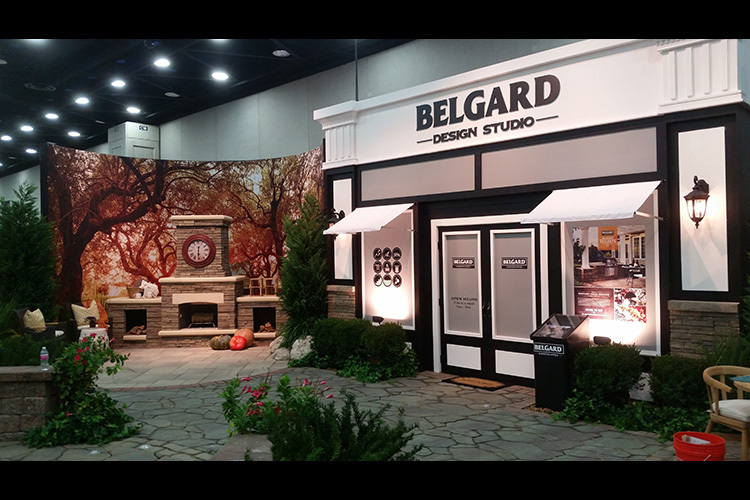 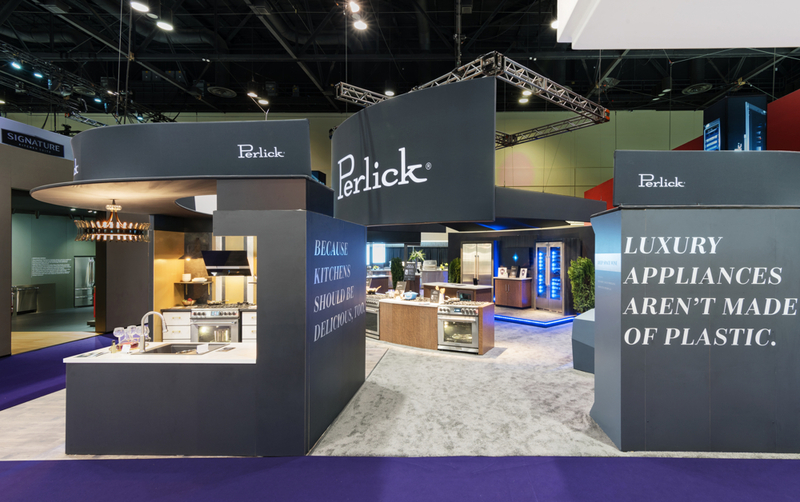 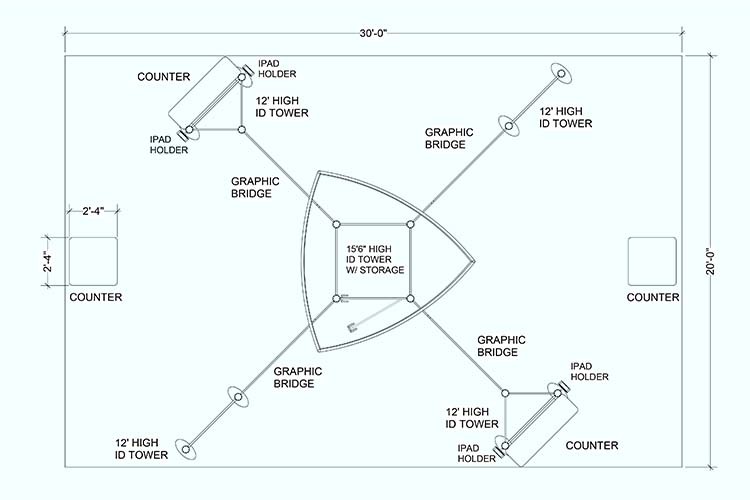 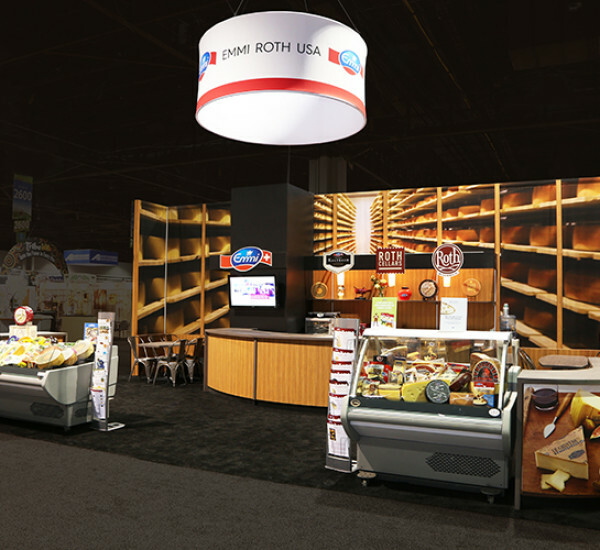 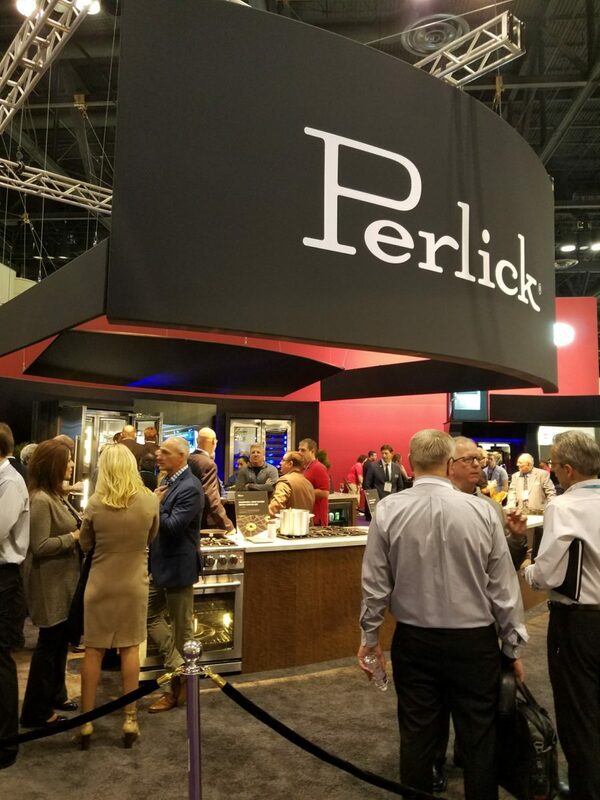 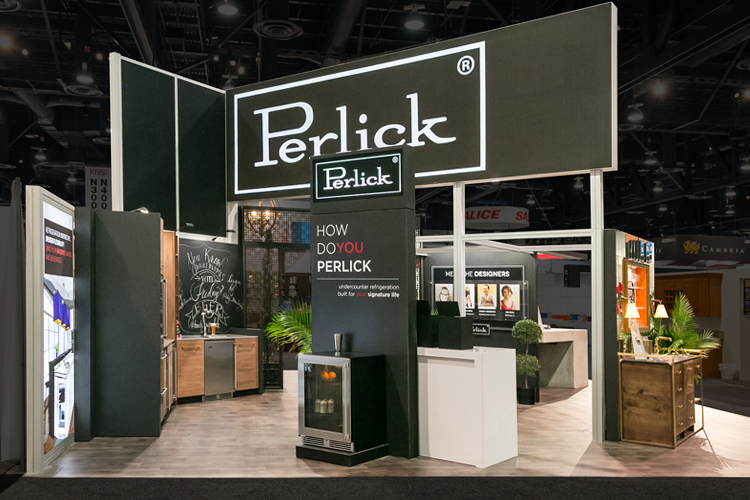 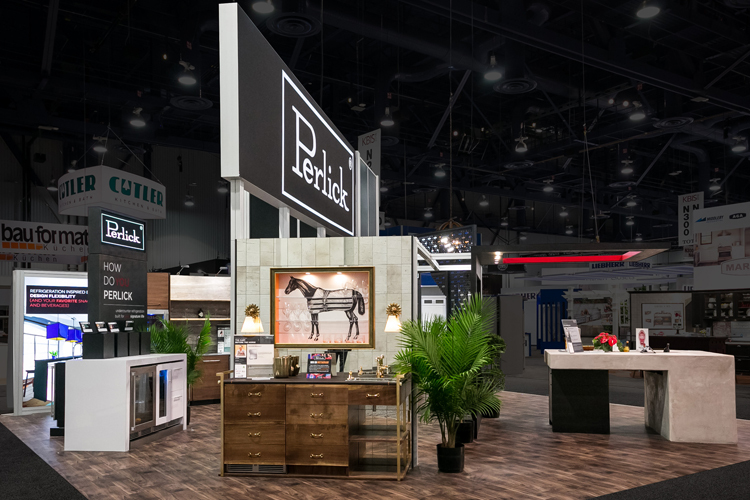 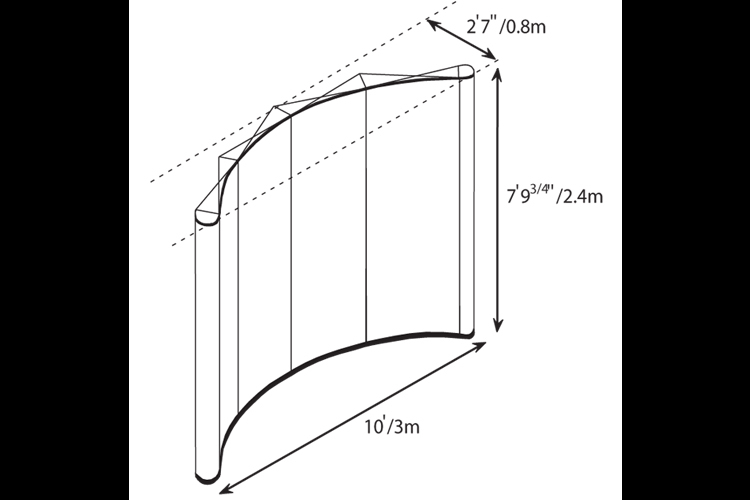 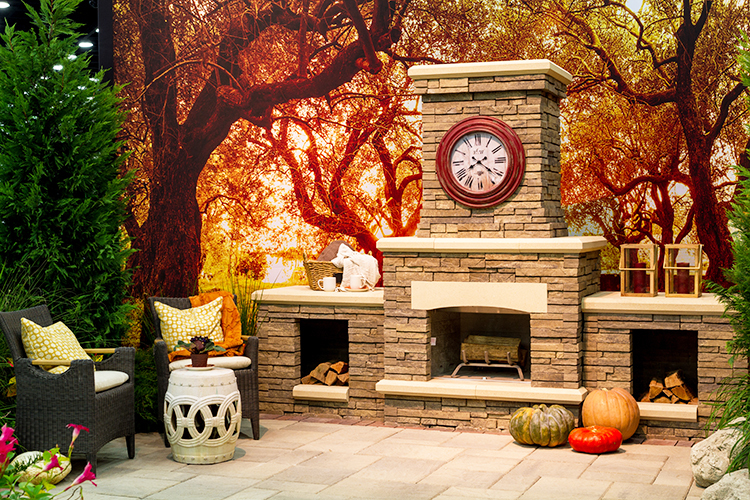 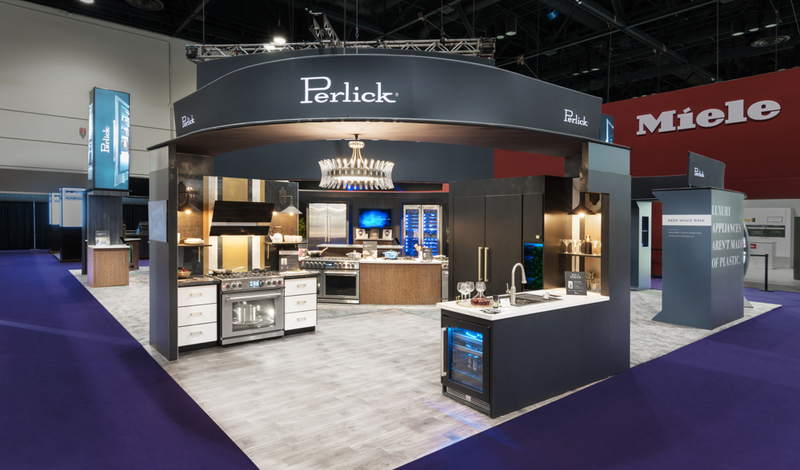 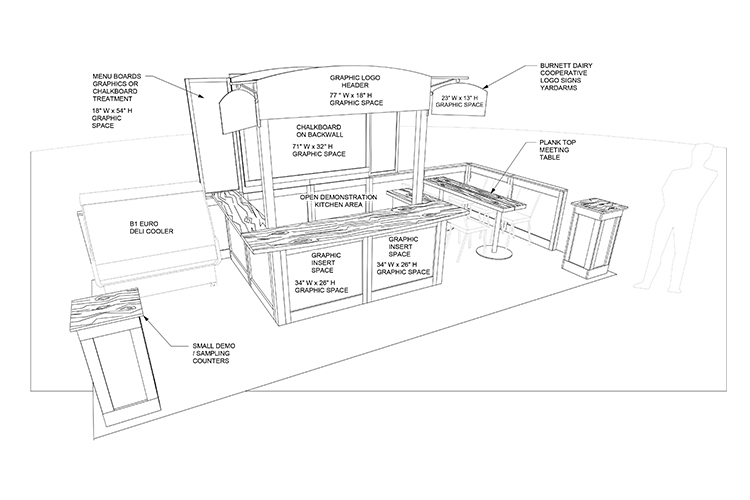 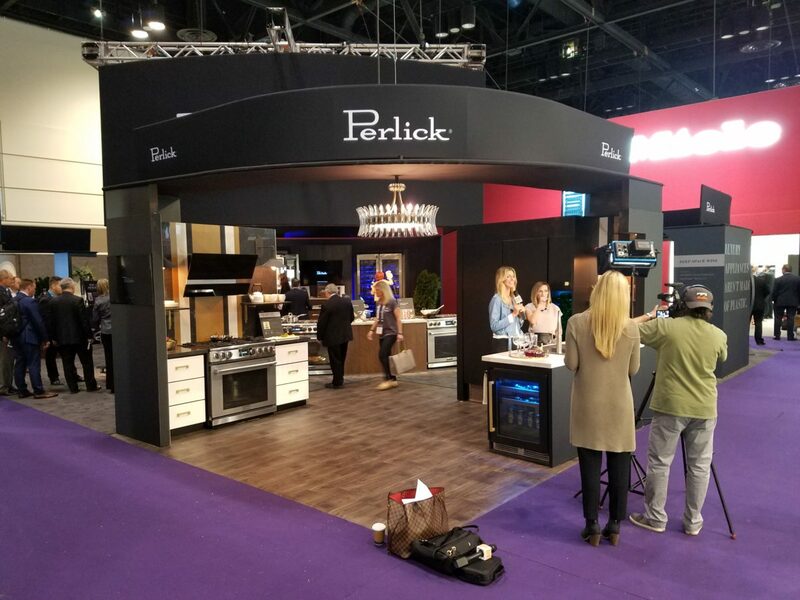 It doesn’t matter if you are building a large island booth, a smaller display or something in between, you still need to think about the design. 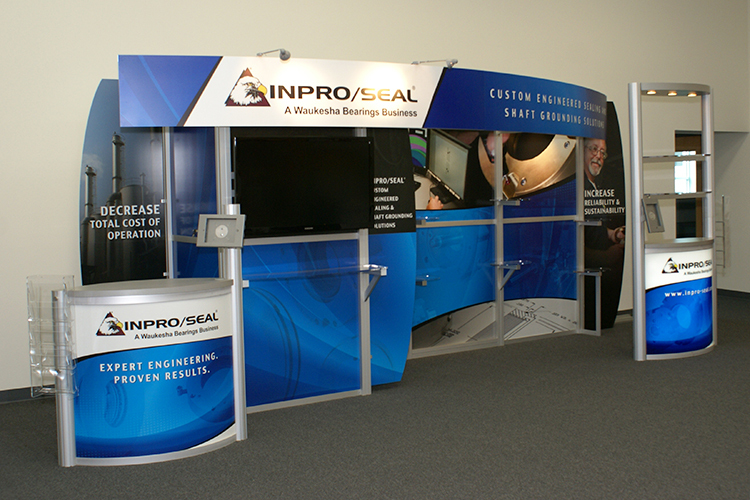 It is innovative without being over the top. 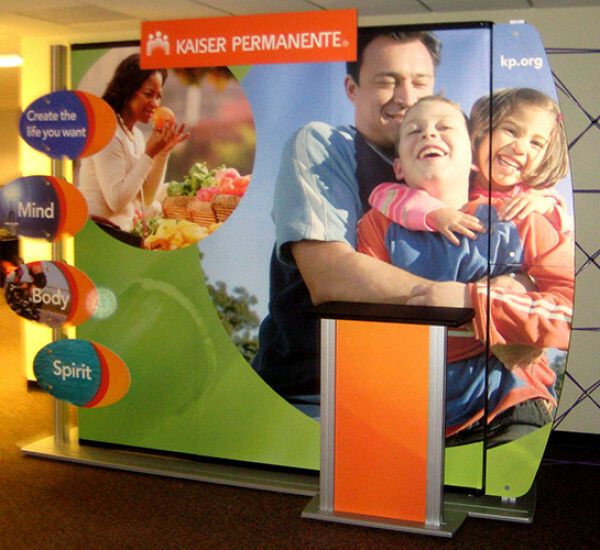 And you need to make sure your branding experience is consistent with your existing corporate marketing programs. 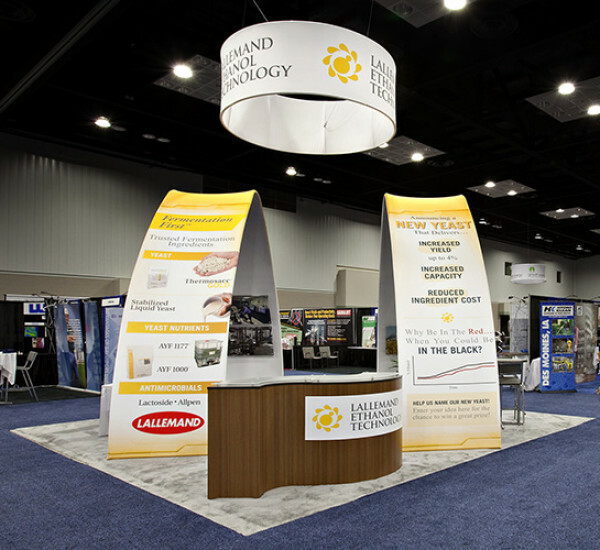 With the budgets being tightened these days, it’s critical to produce an exhibit with the impact to gain new leads with a solid Return On Investment. 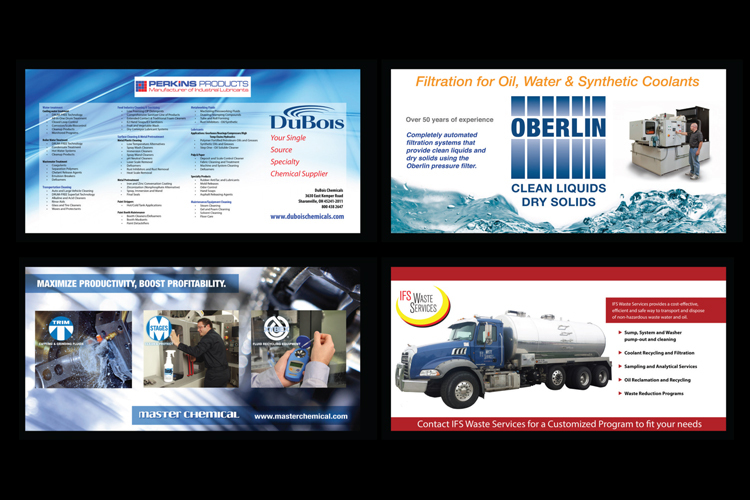 There’s many good examples here, take a look and if you see something you like please let us know and we can help bring your vision to life. 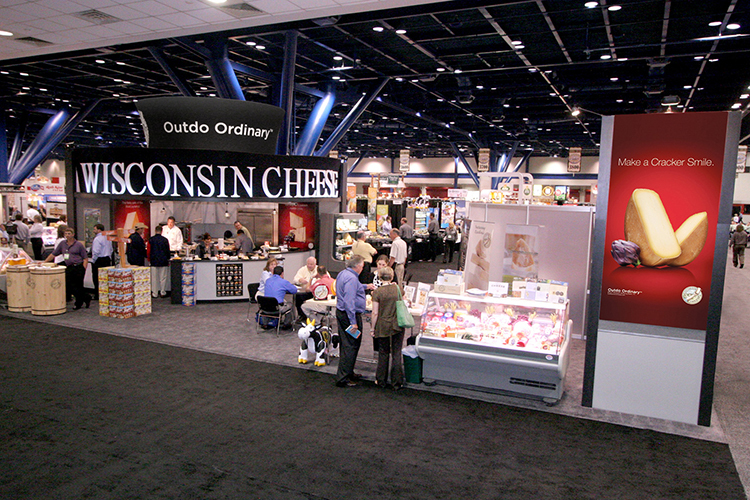 Quality is always there. 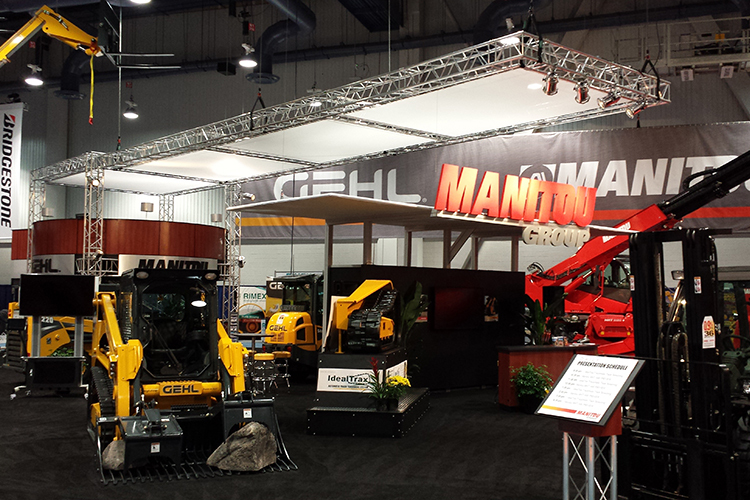 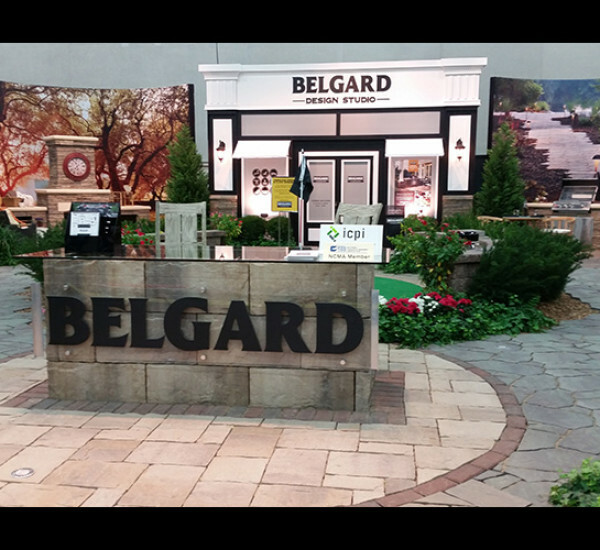 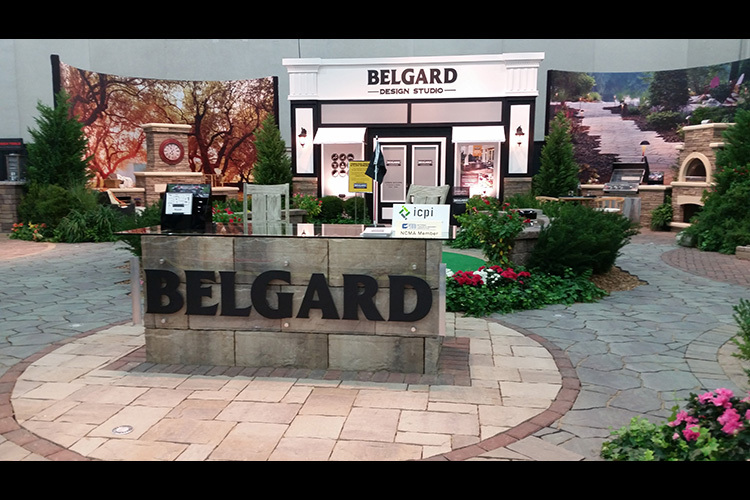 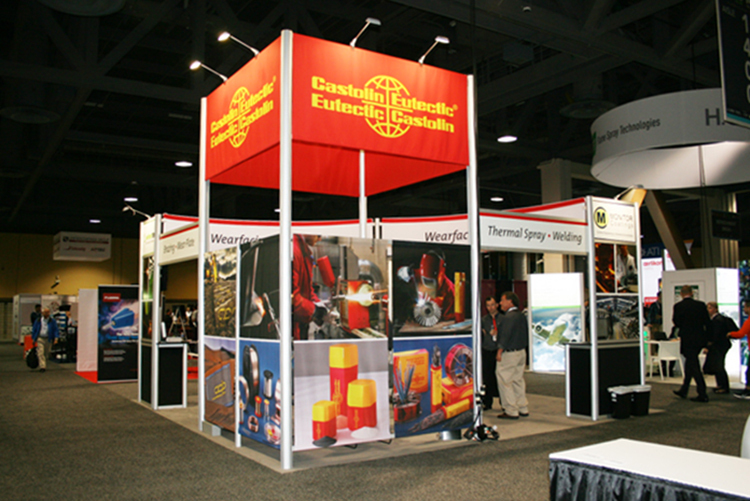 Top of the game in terms of exhibit companies. 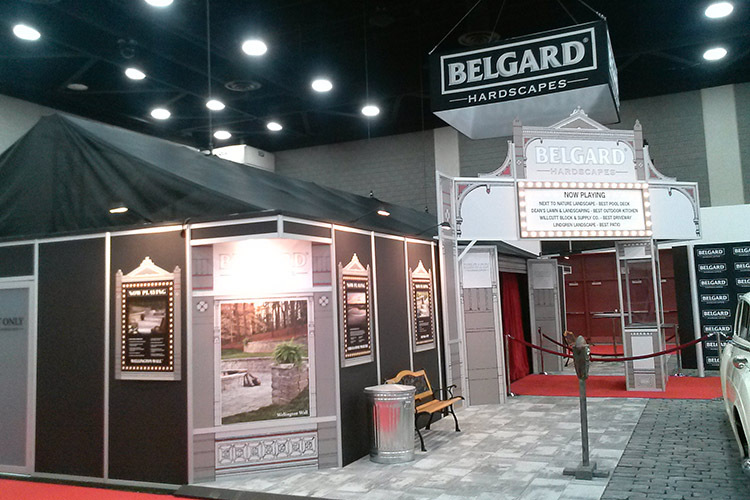 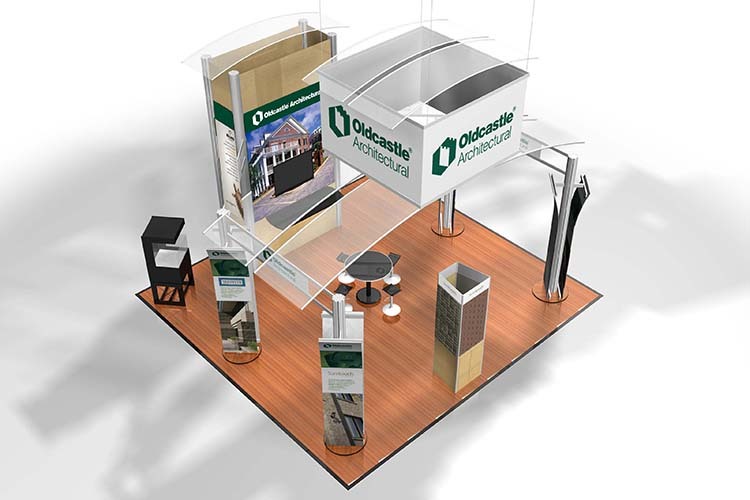 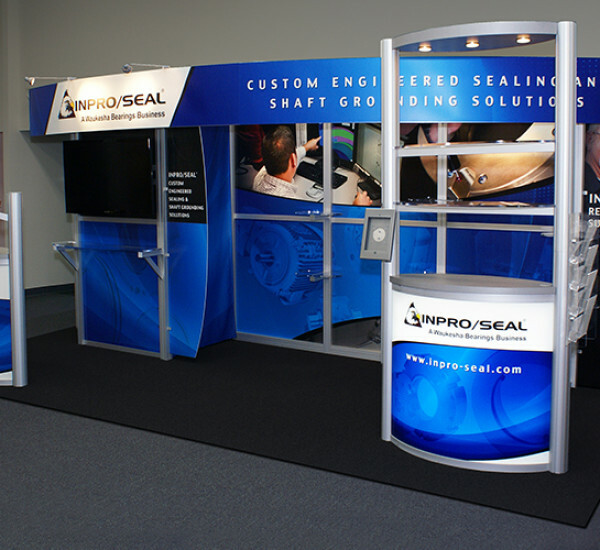 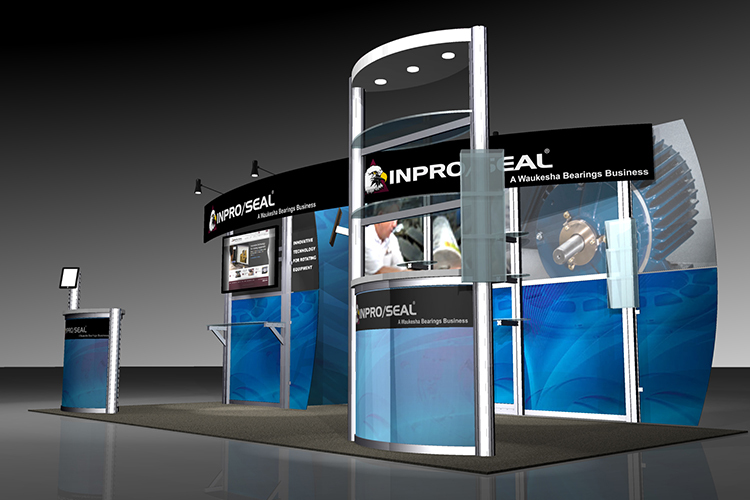 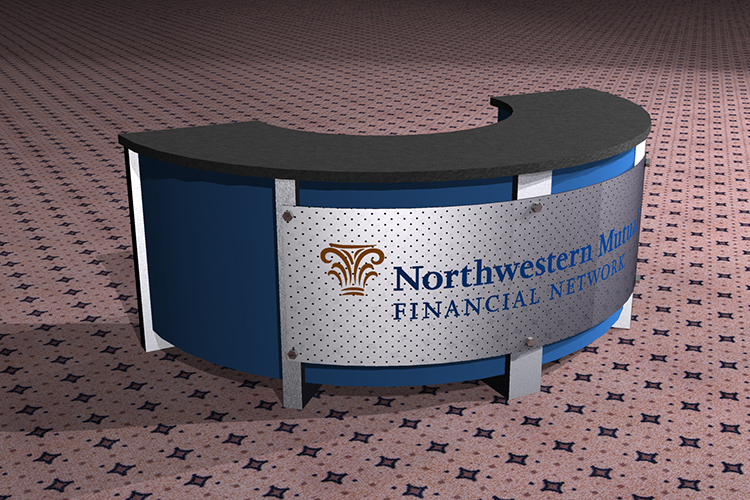 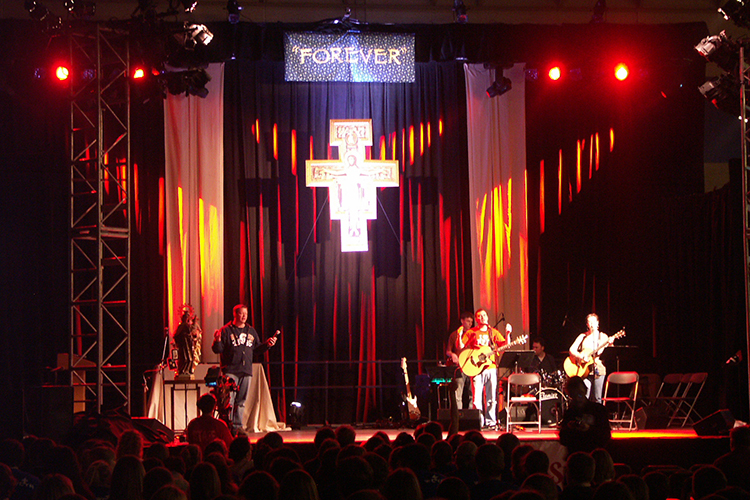 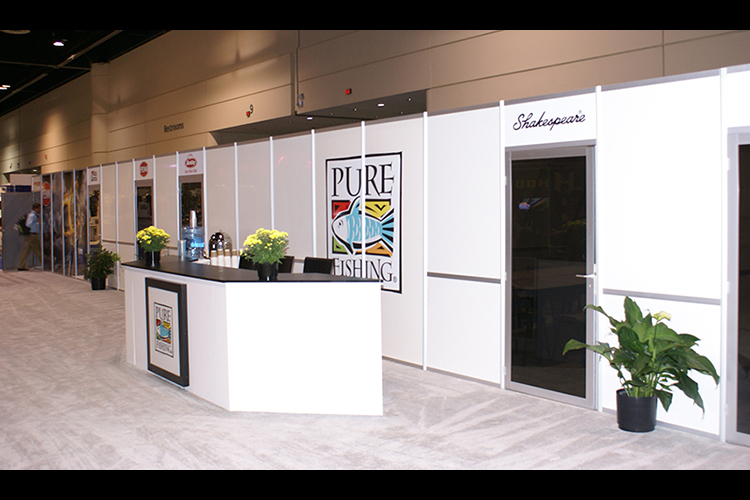 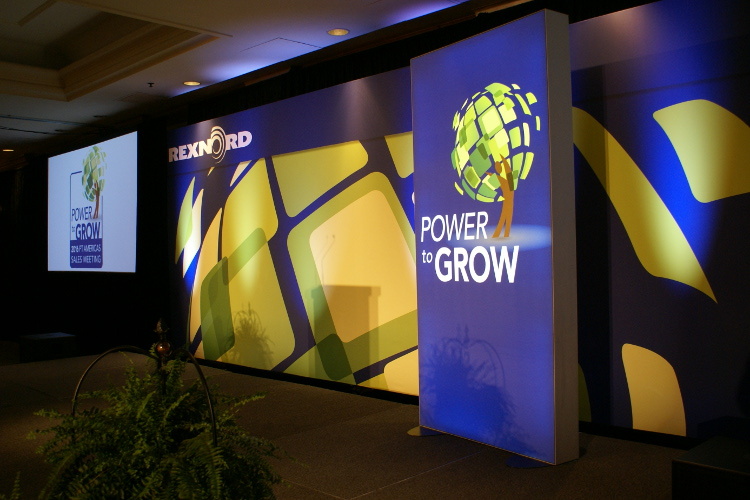 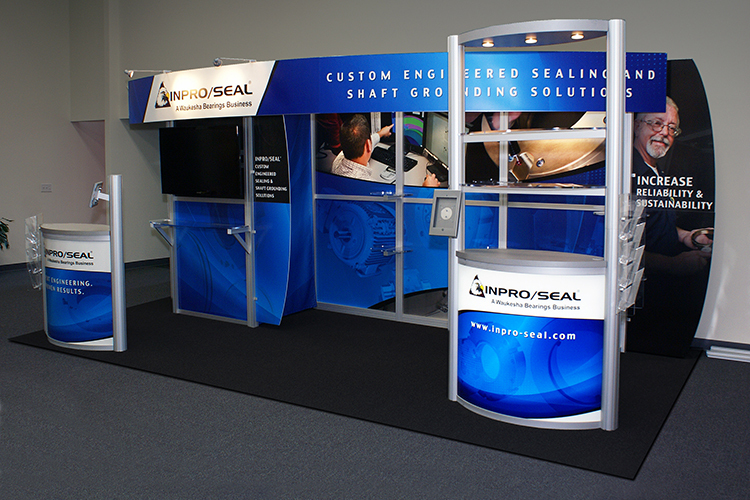 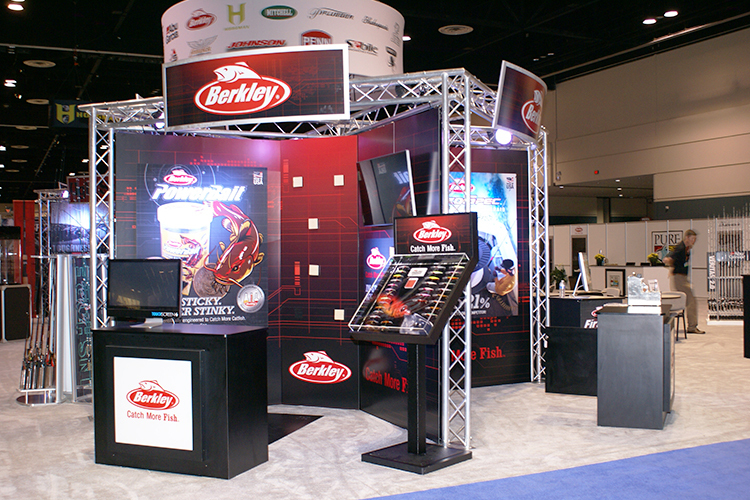 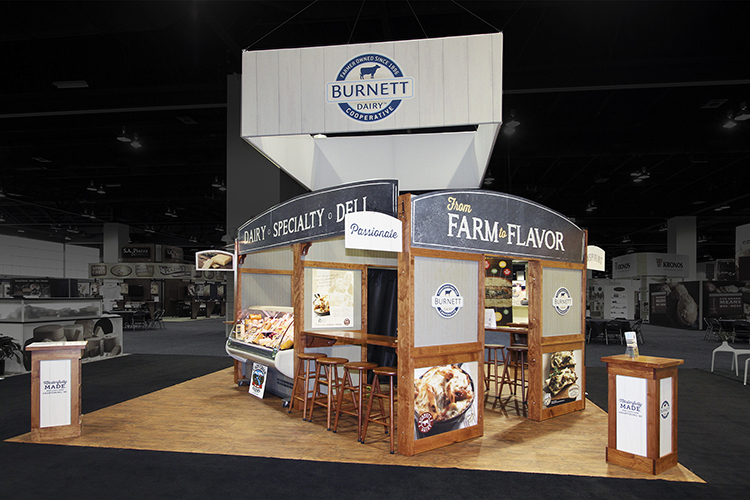 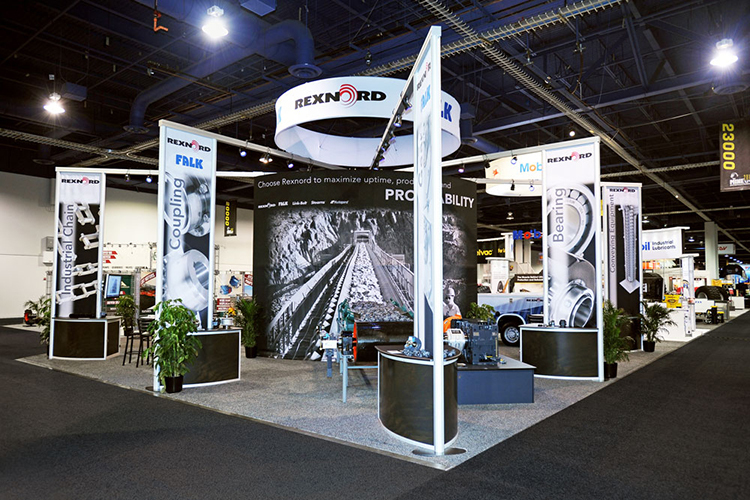 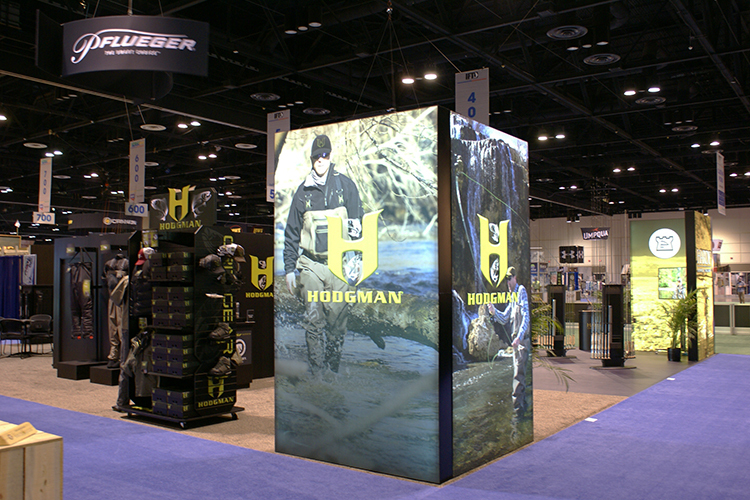 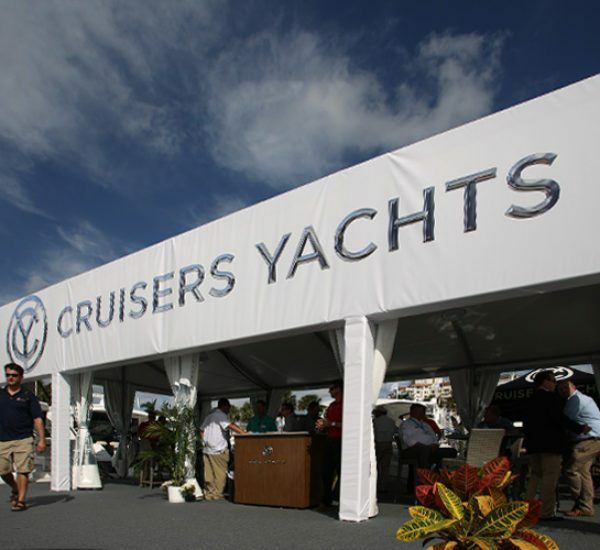 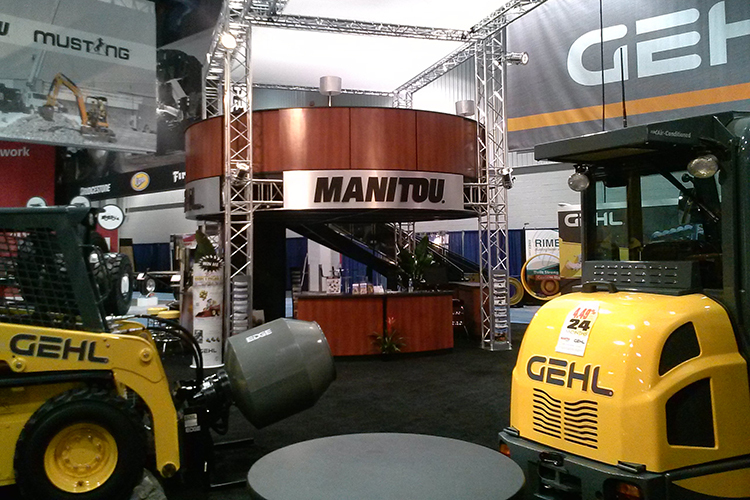 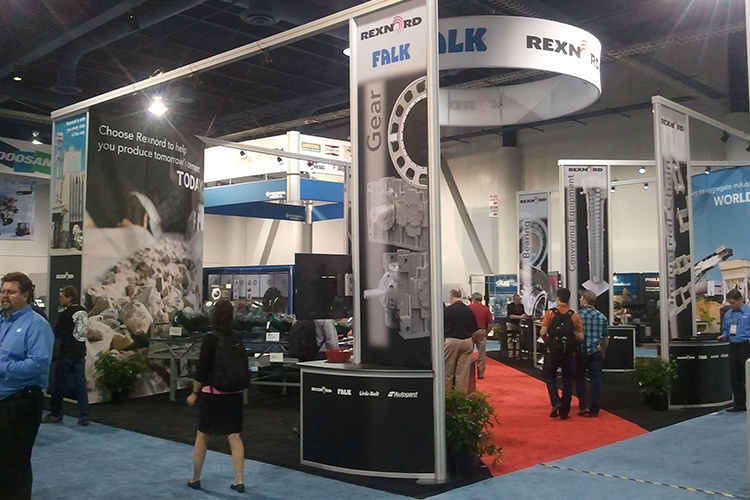 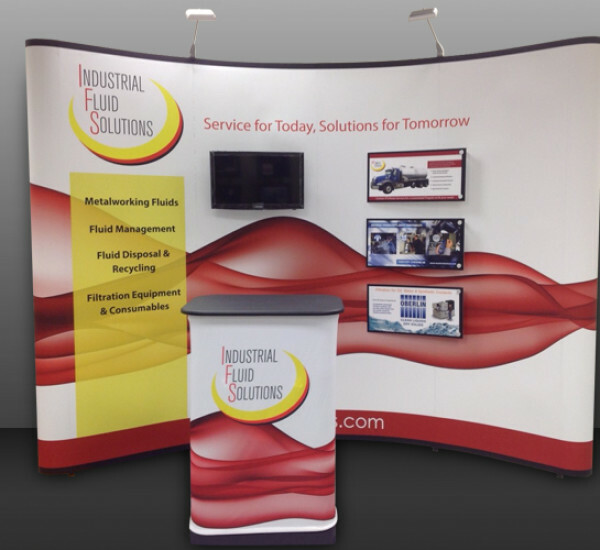 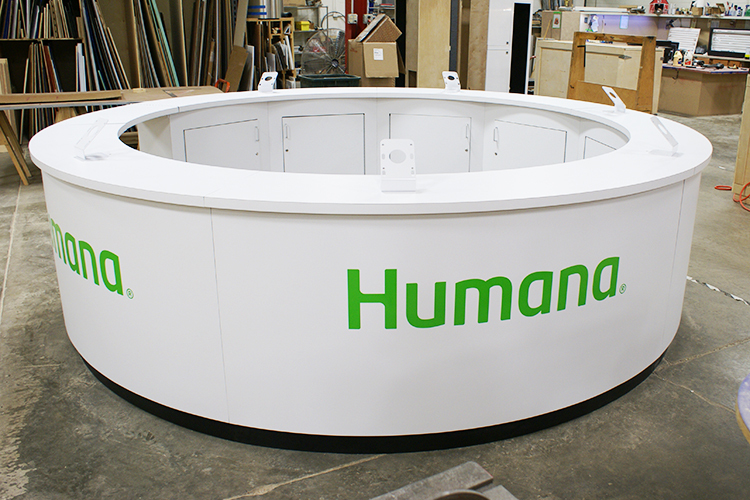 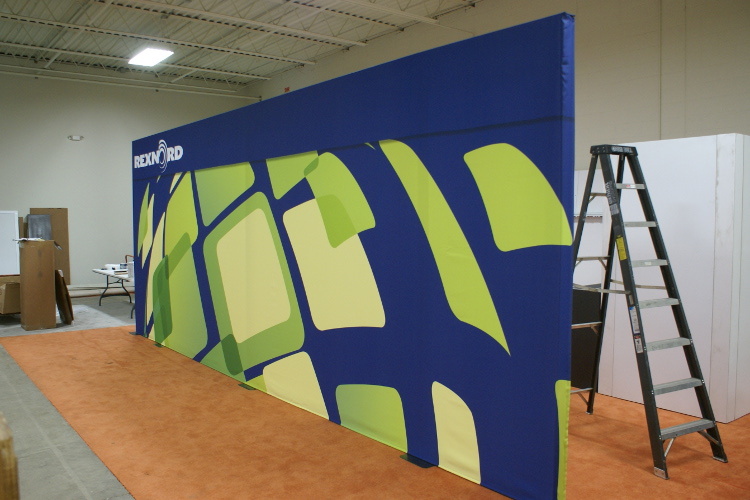 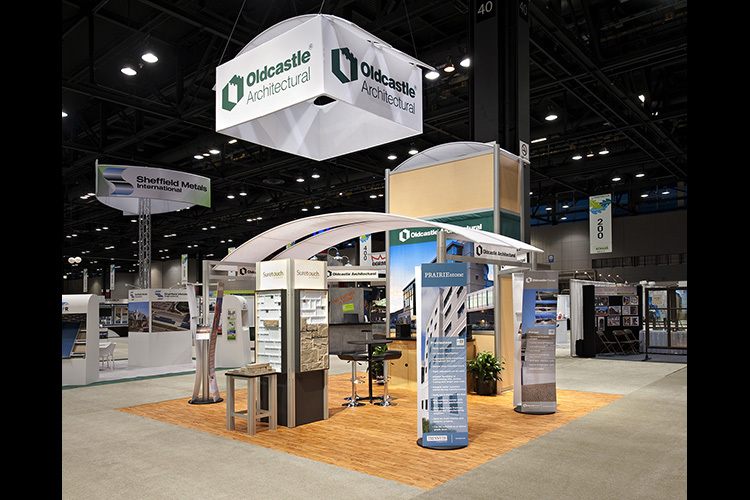 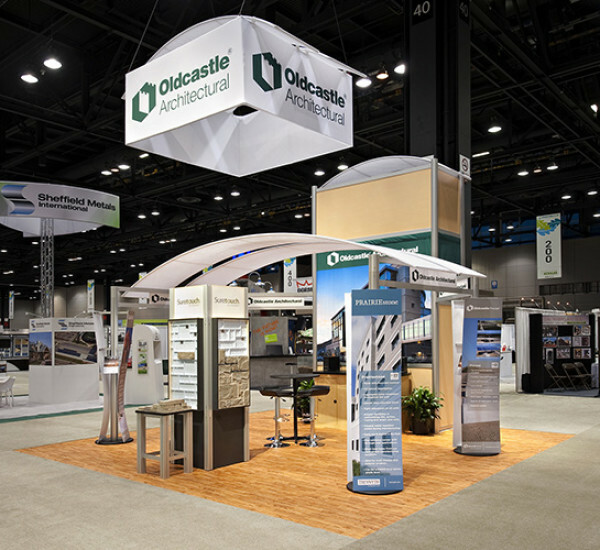 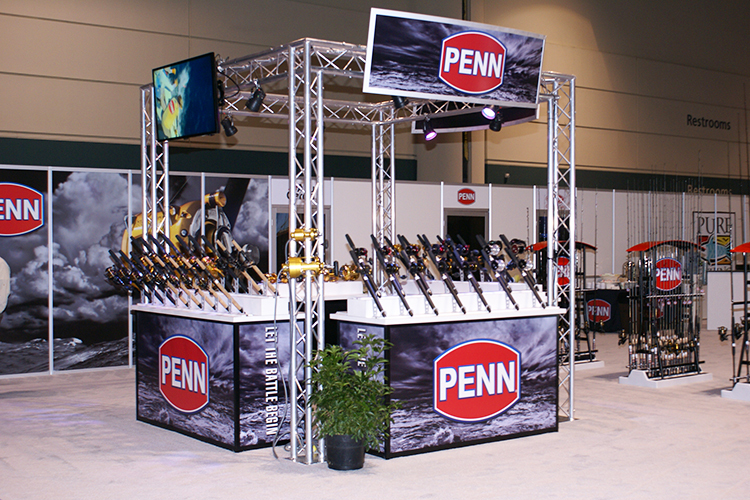 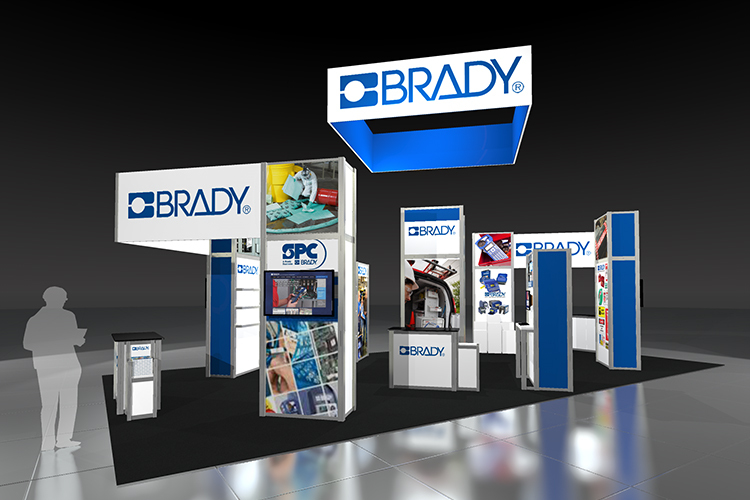 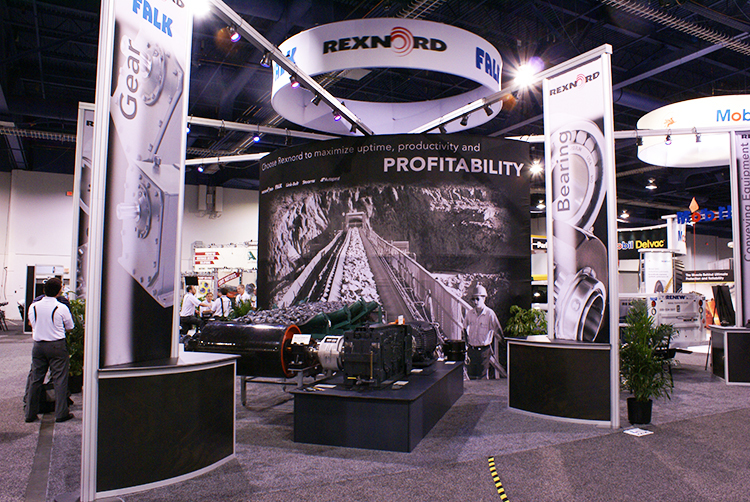 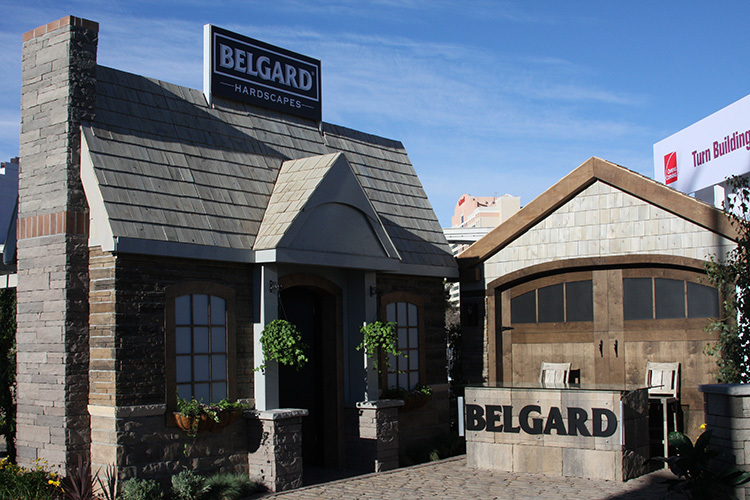 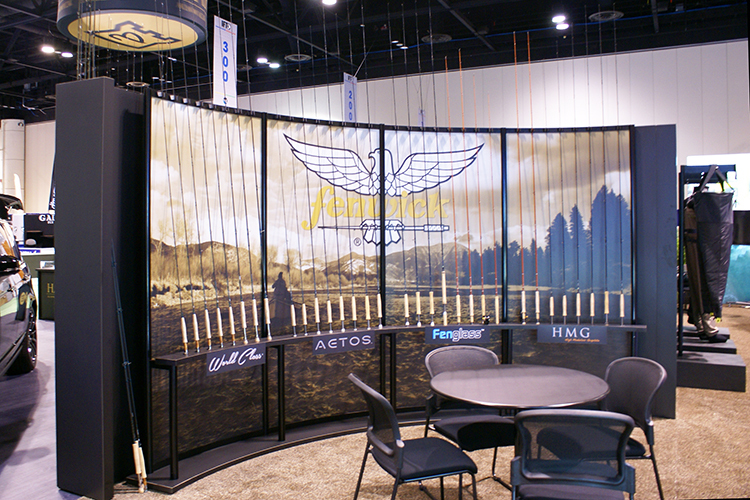 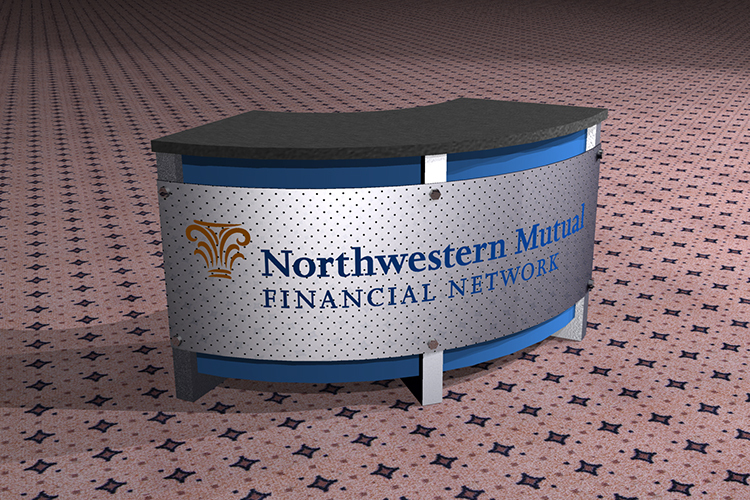 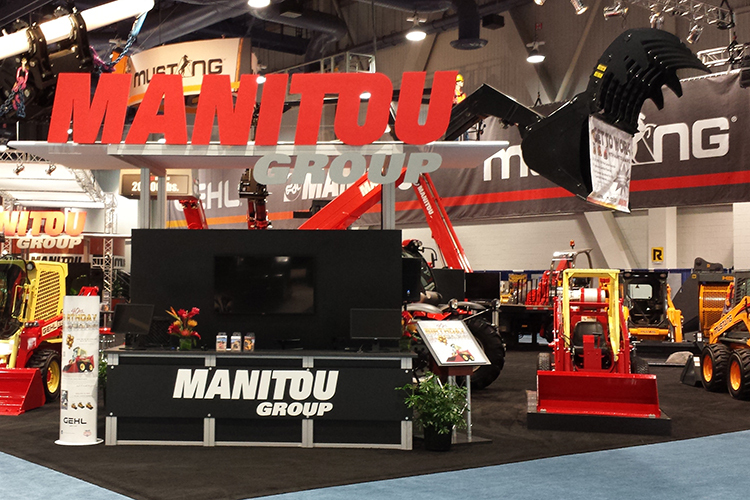 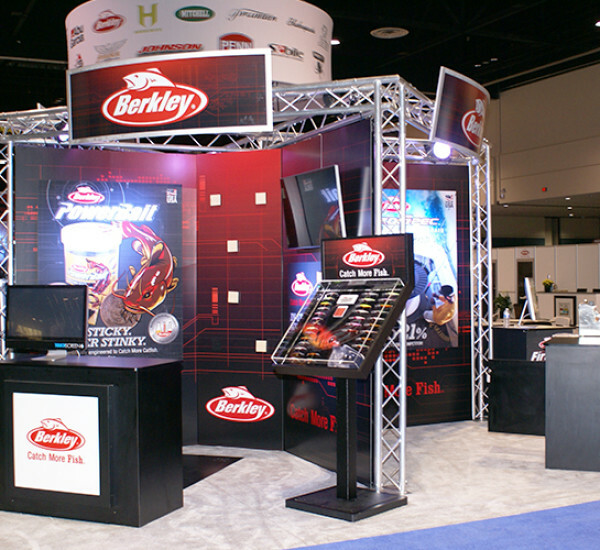 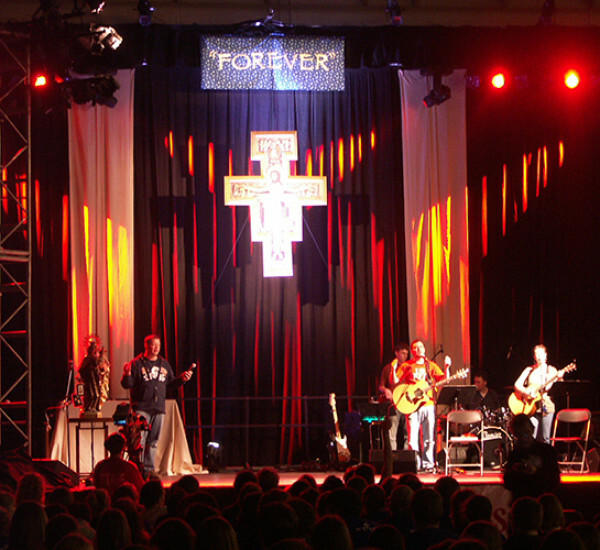 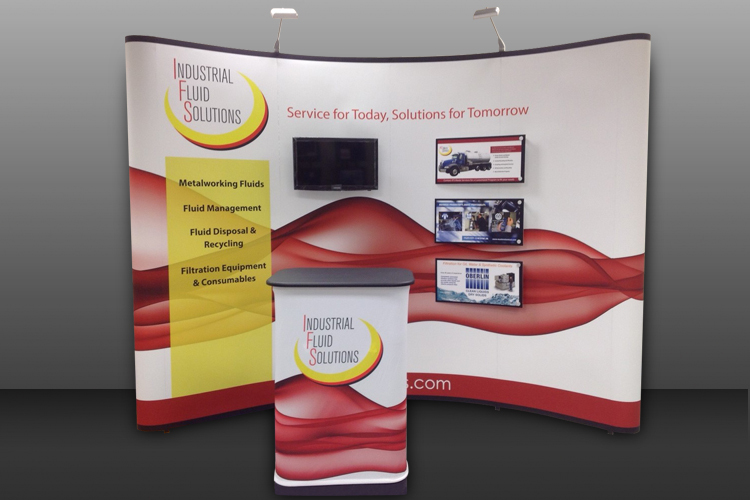 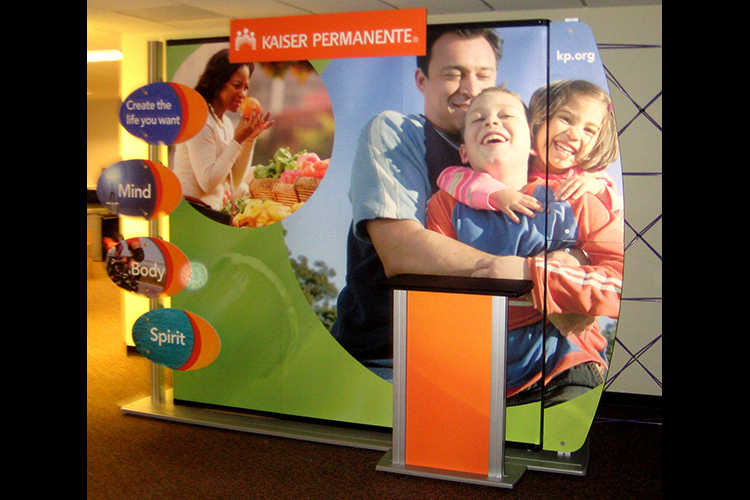 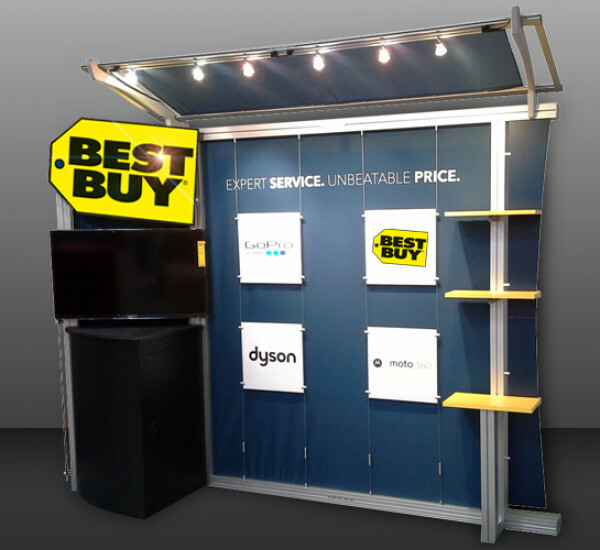 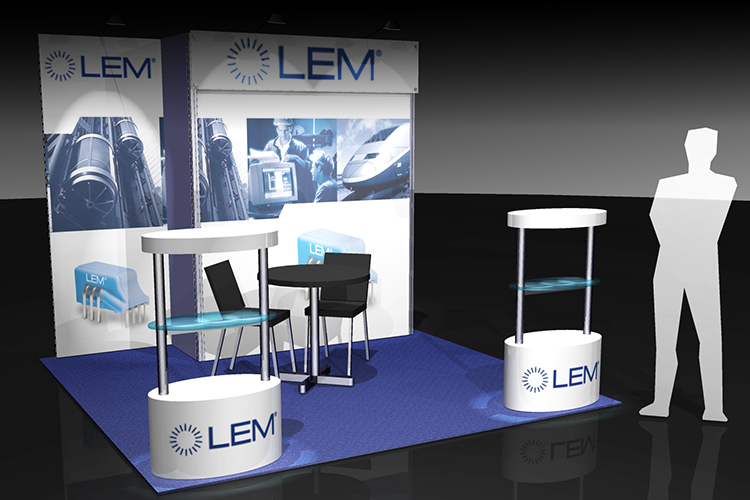 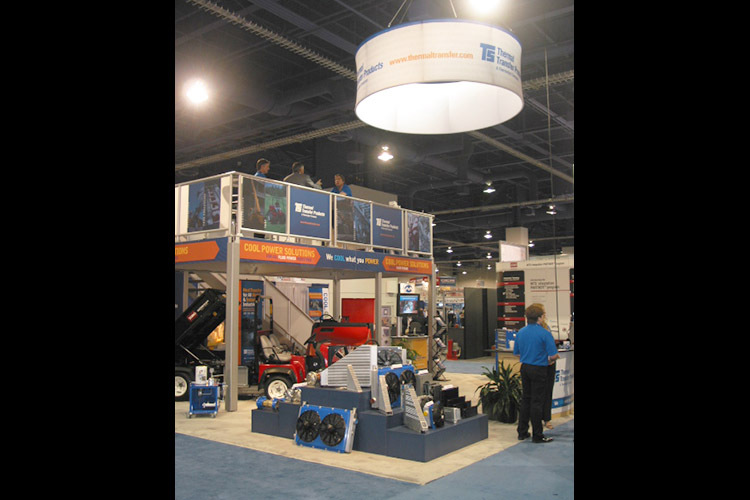 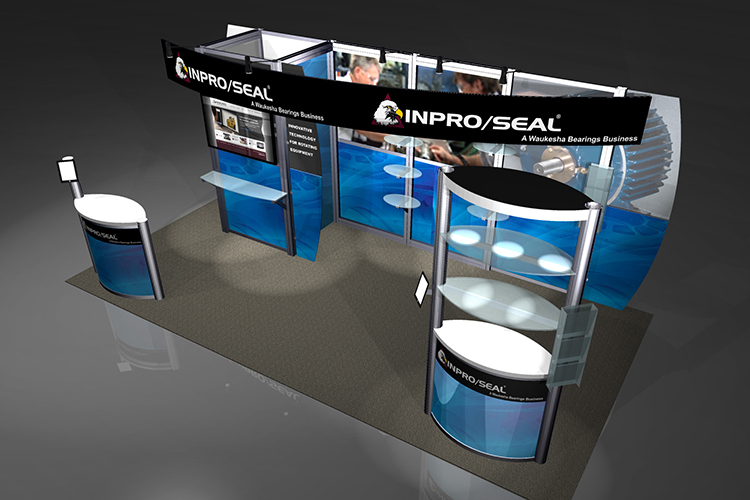 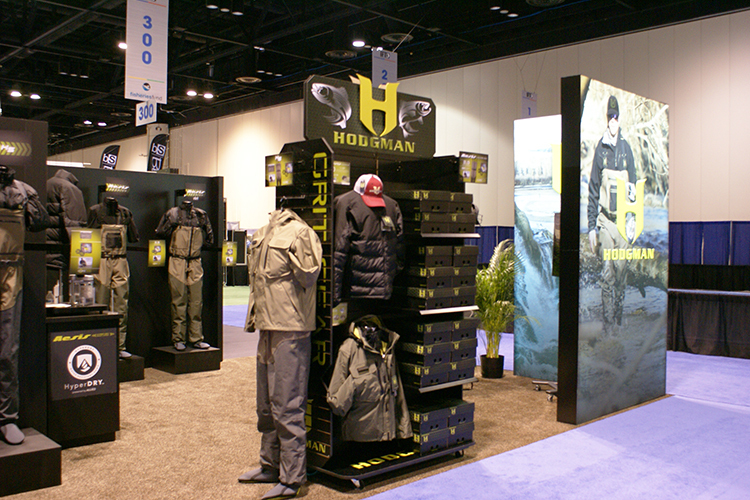 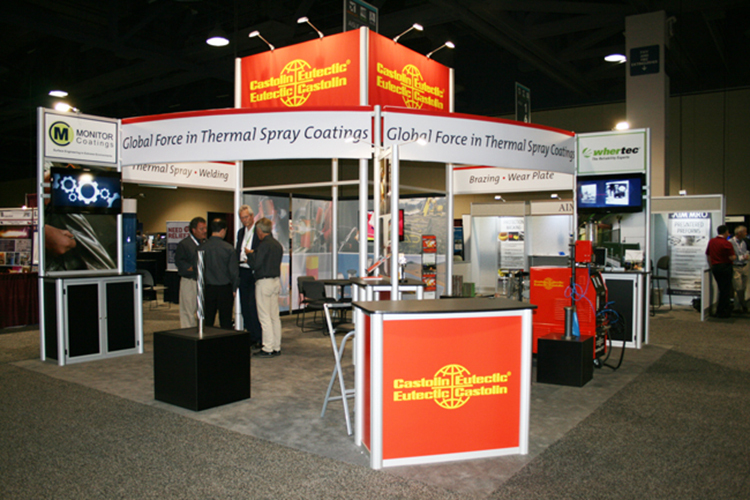 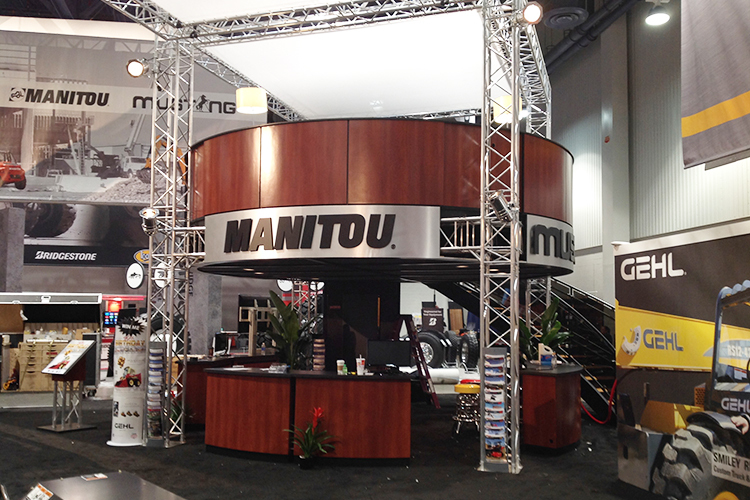 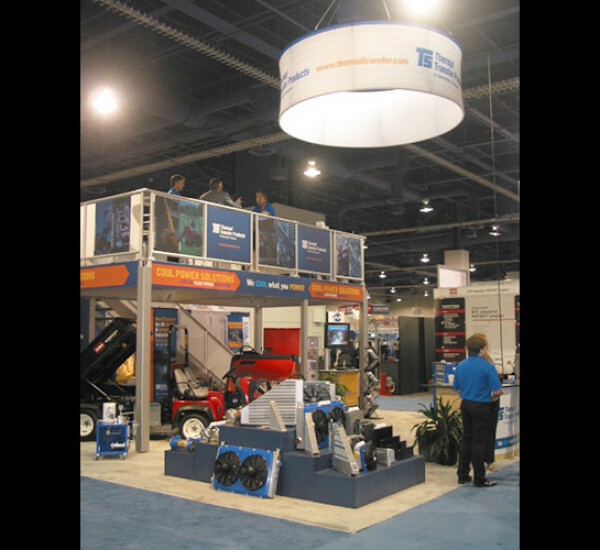 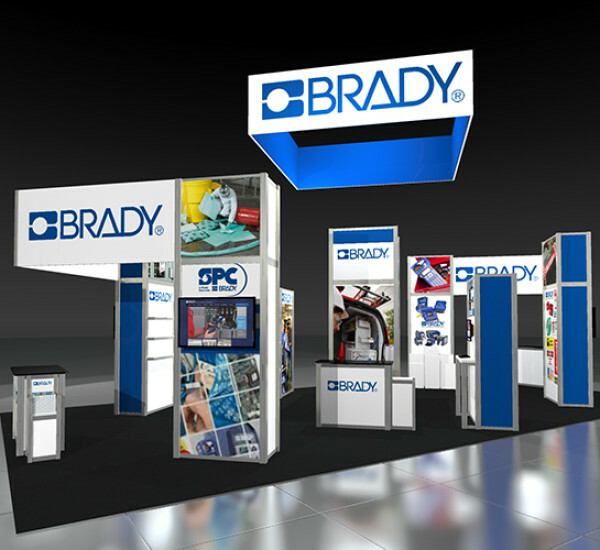 Custom fabricated trade show exhibits is one of our specialties. 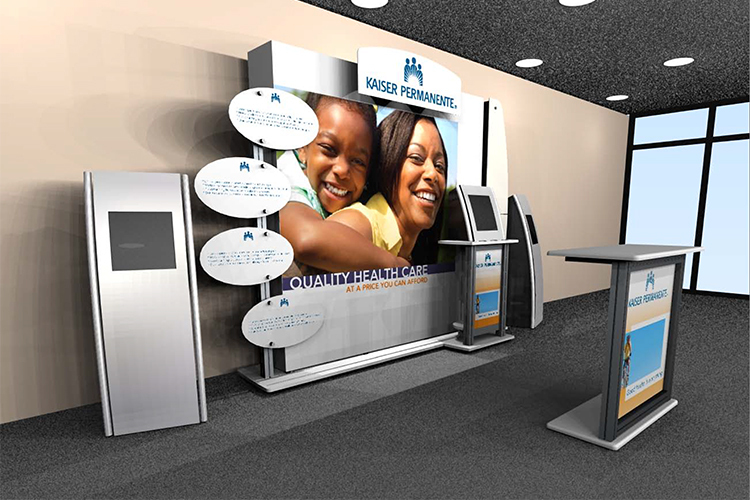 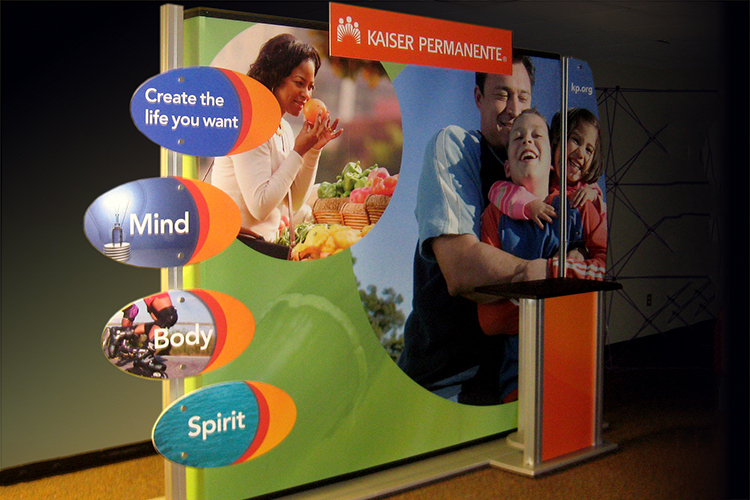 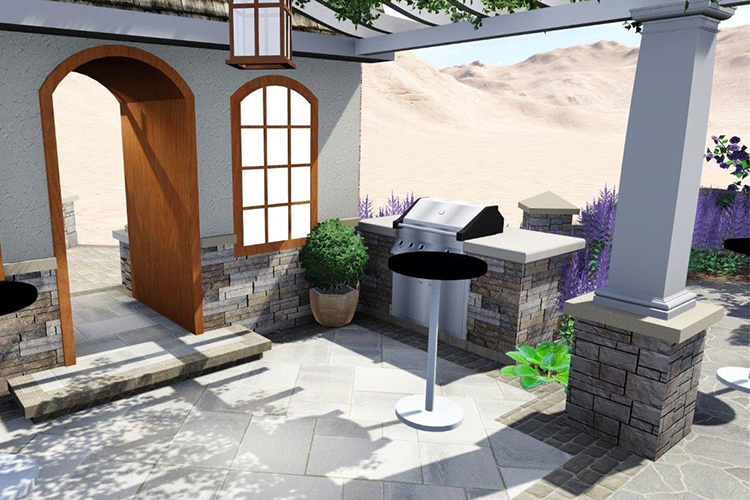 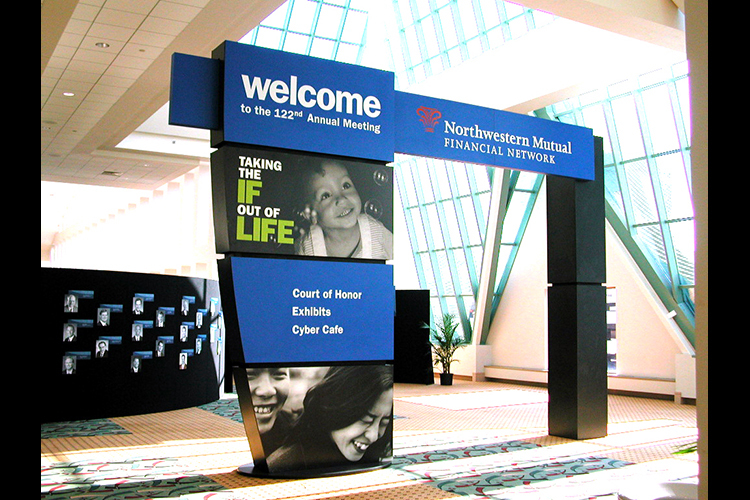 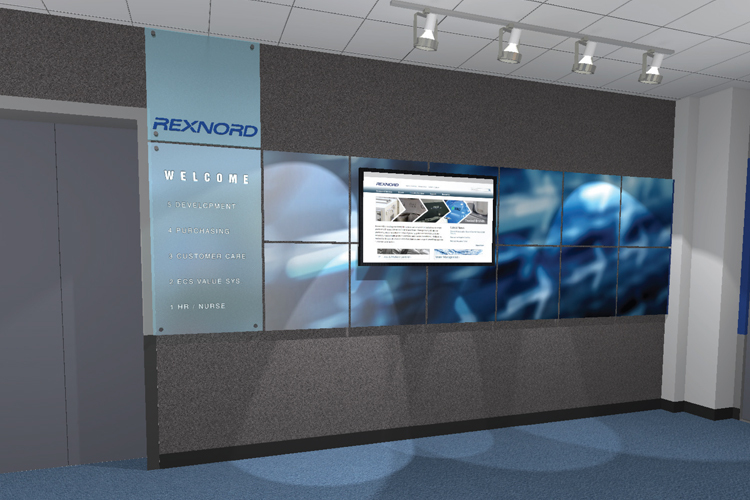 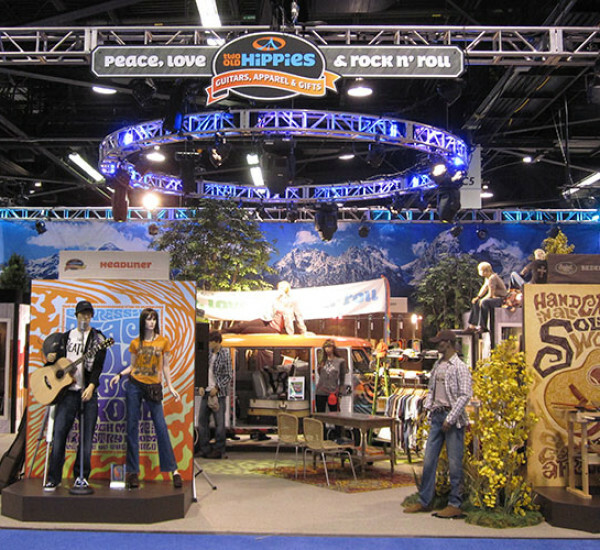 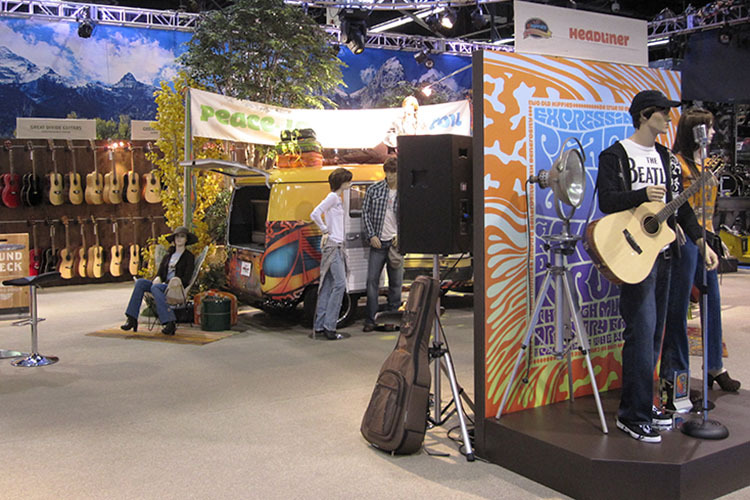 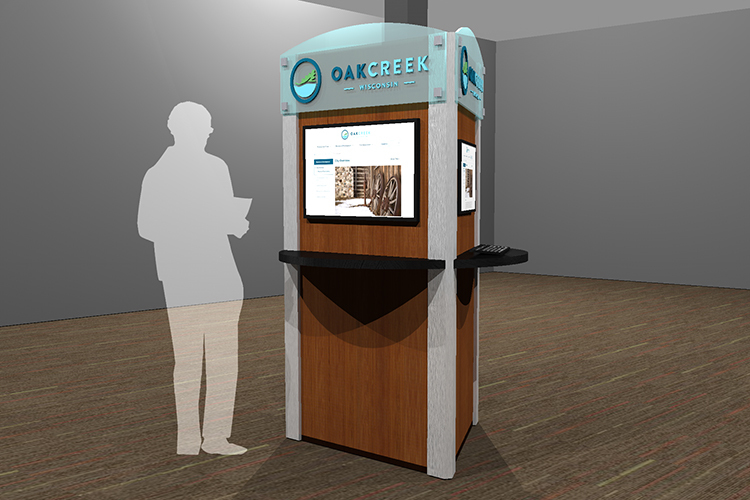 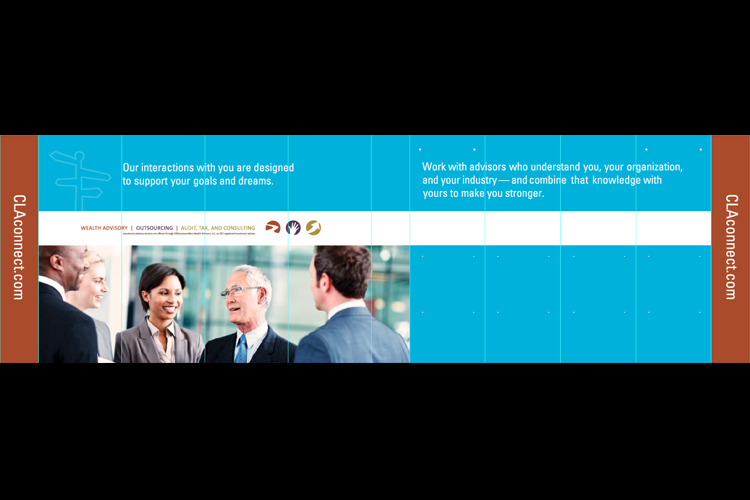 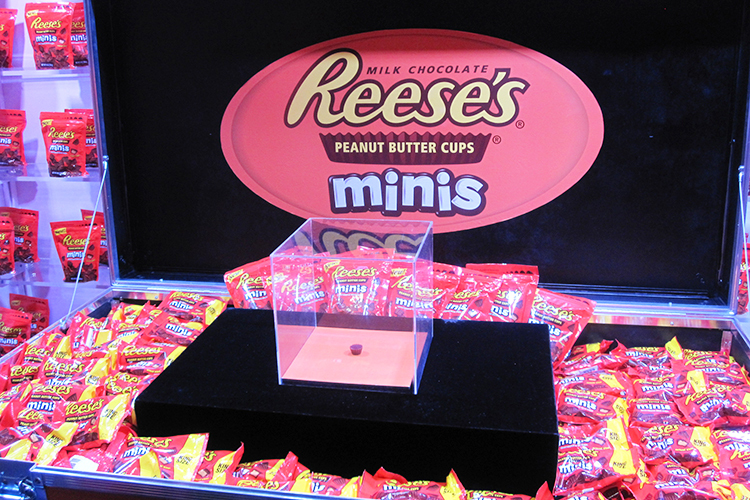 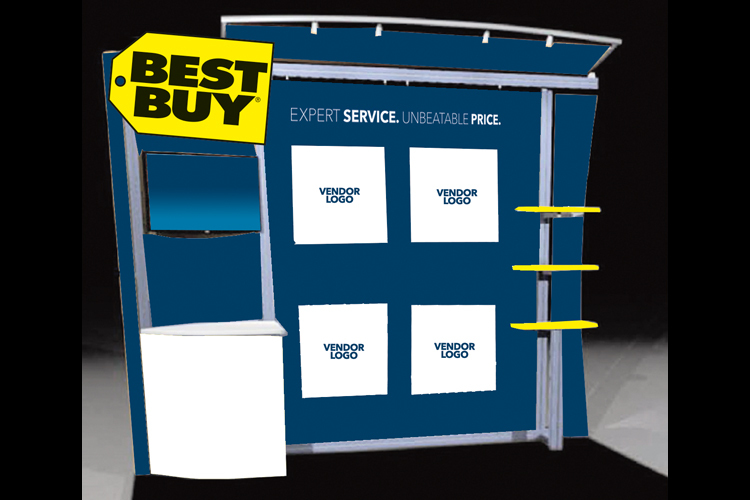 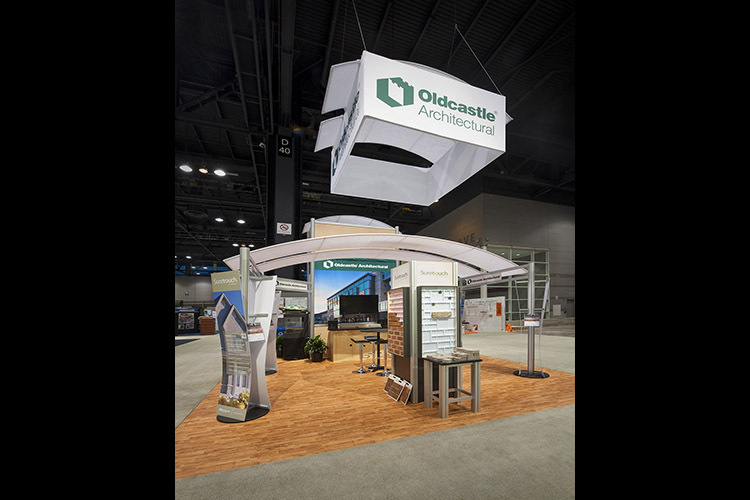 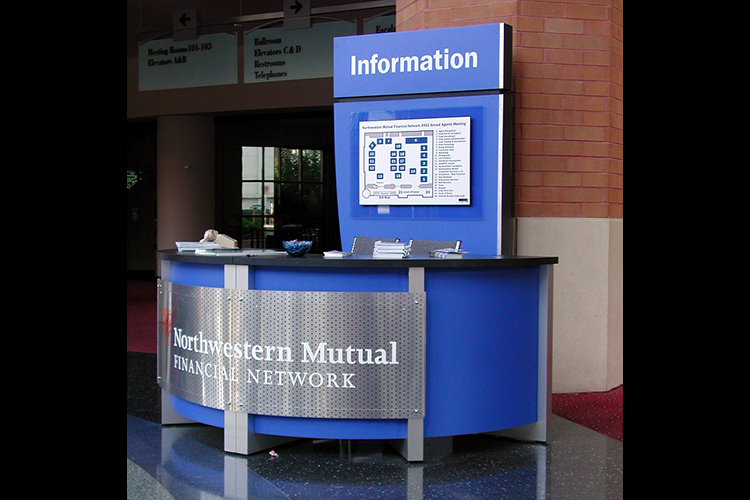 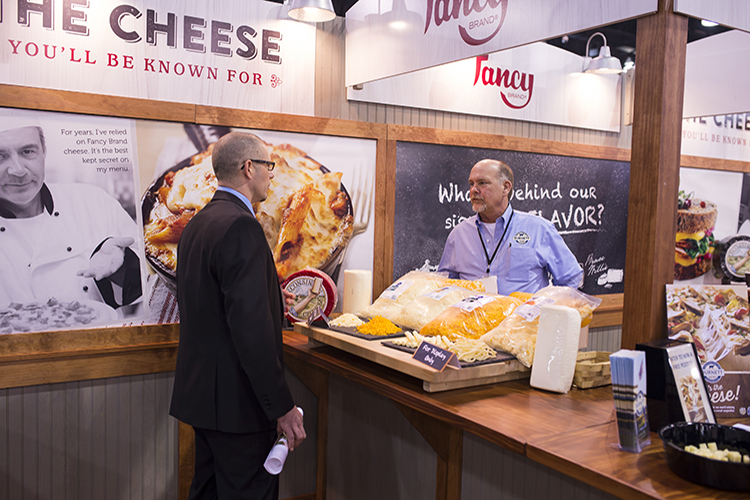 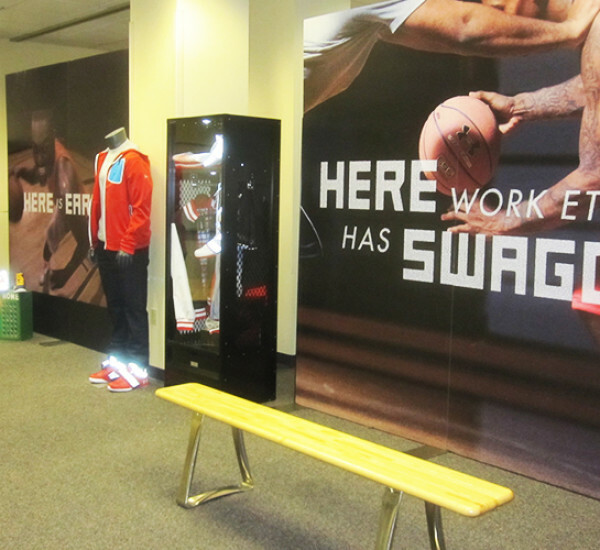 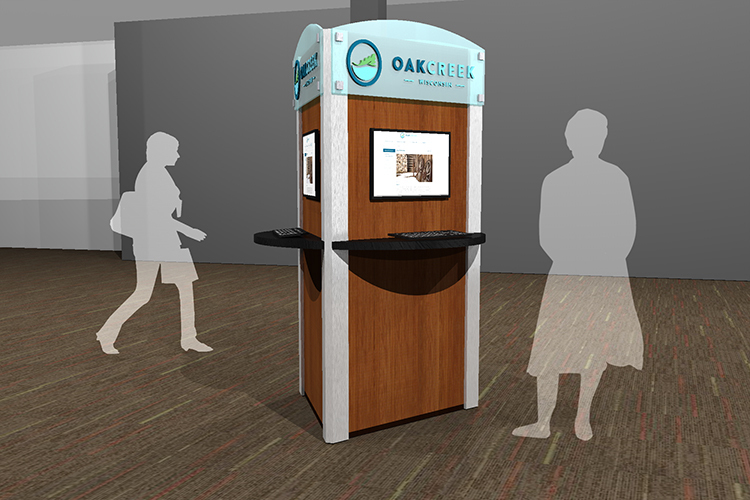 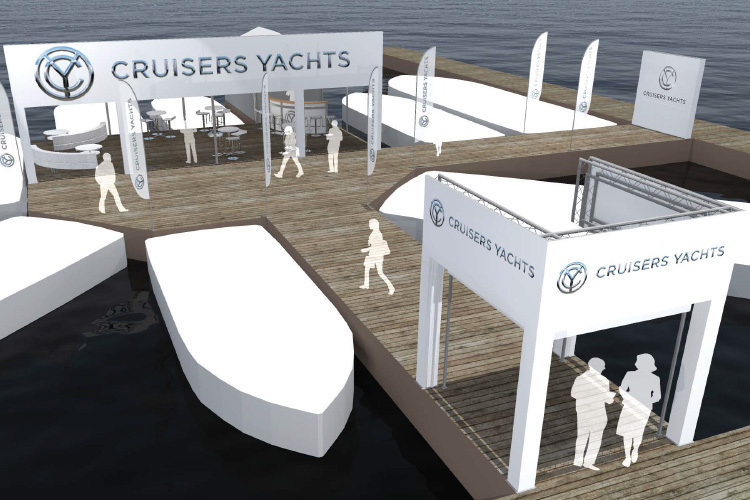 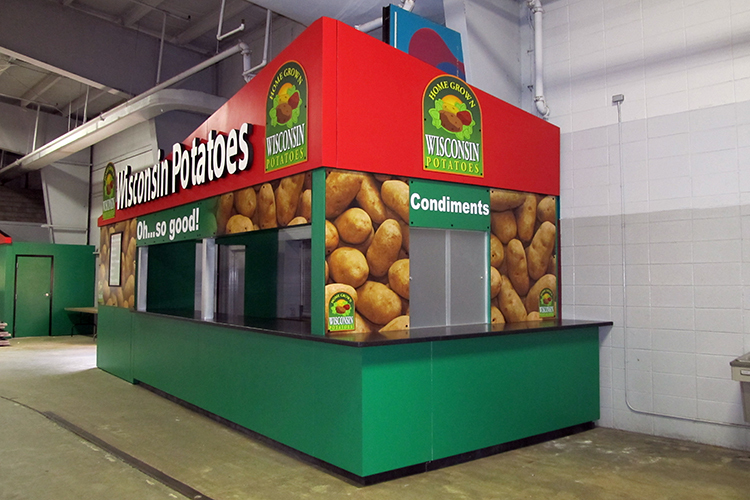 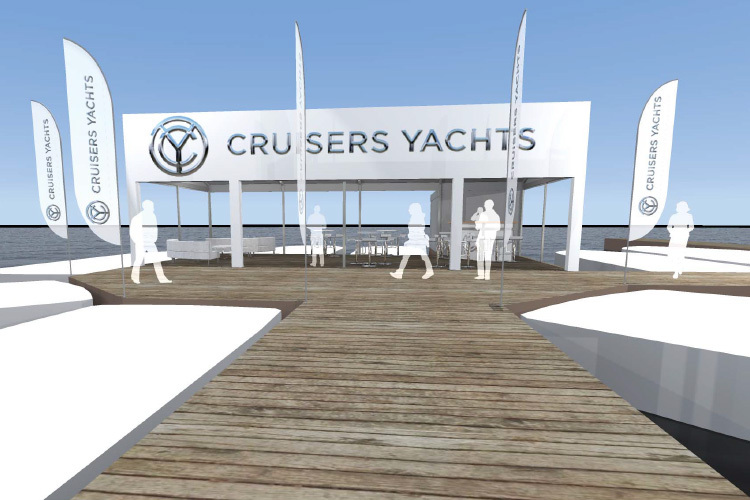 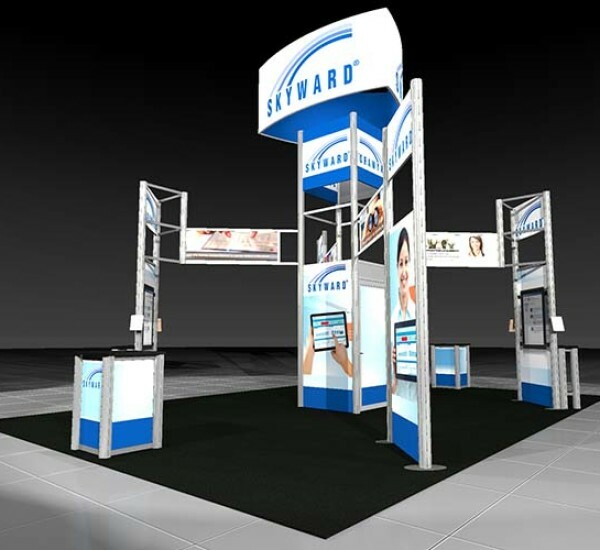 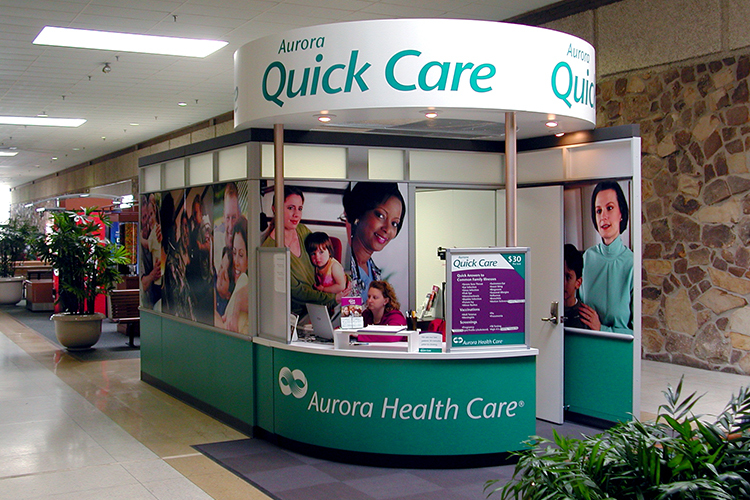 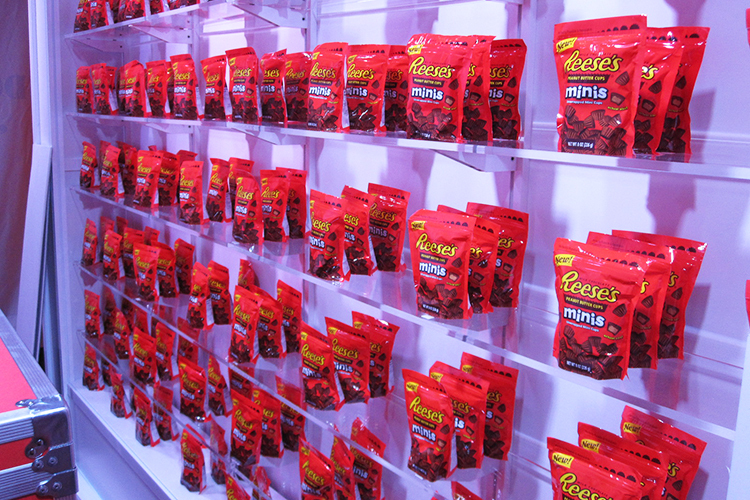 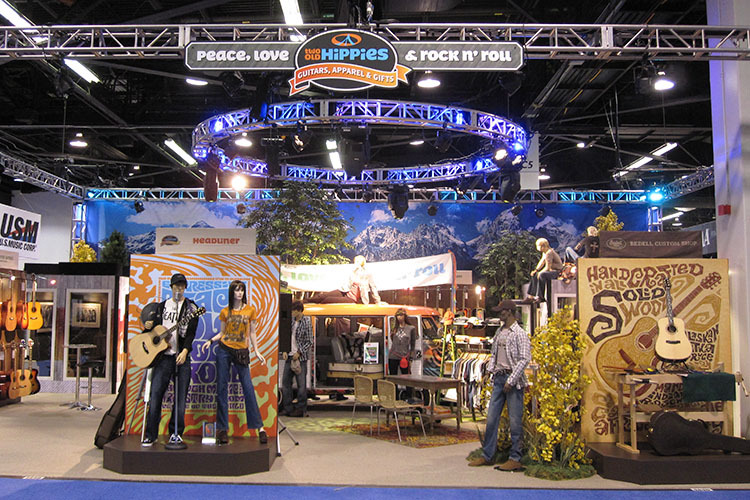 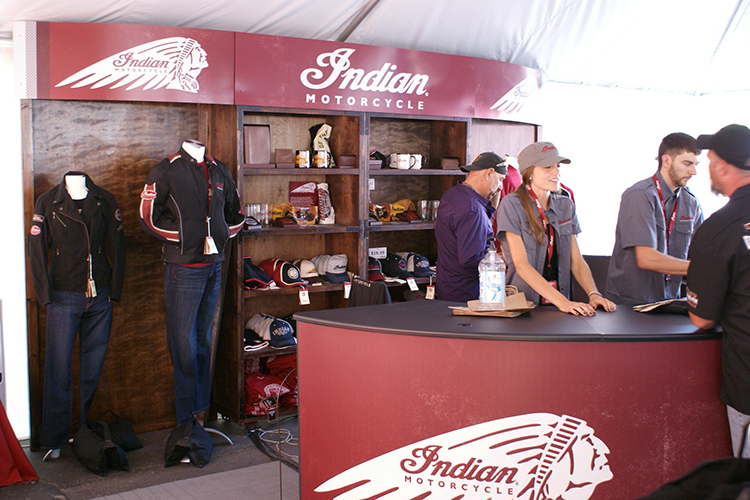 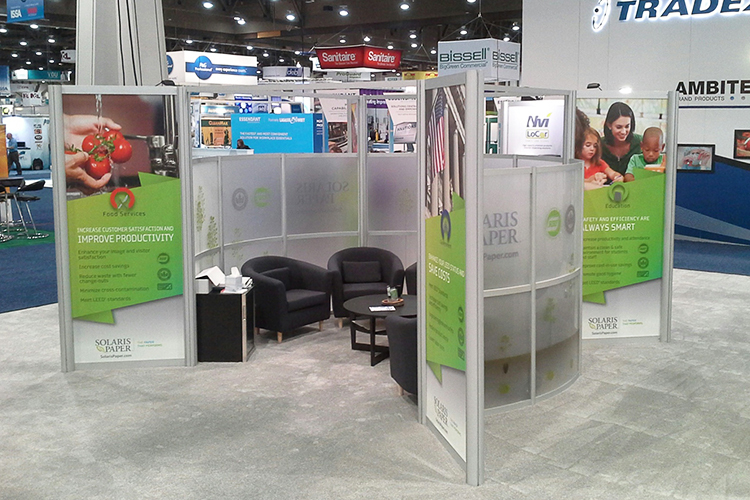 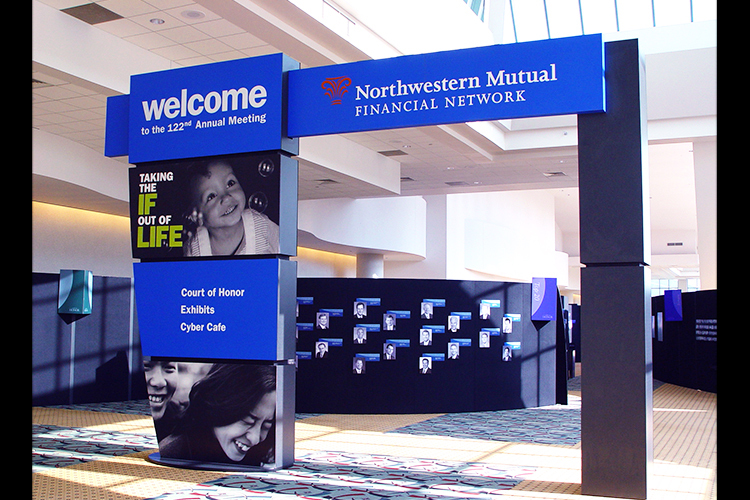 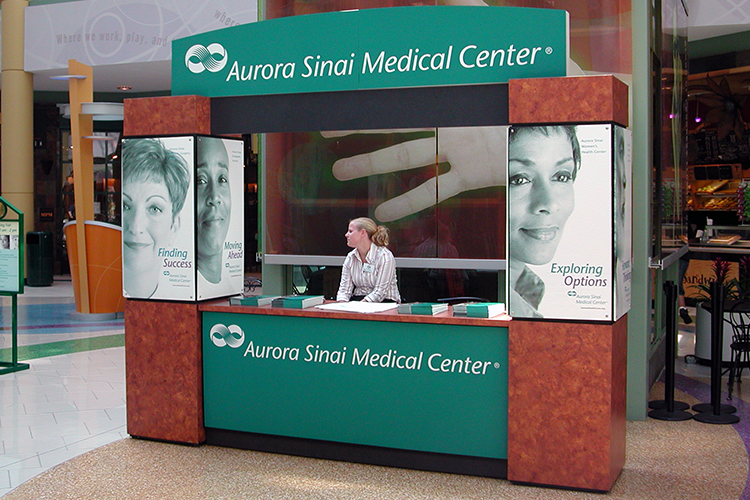 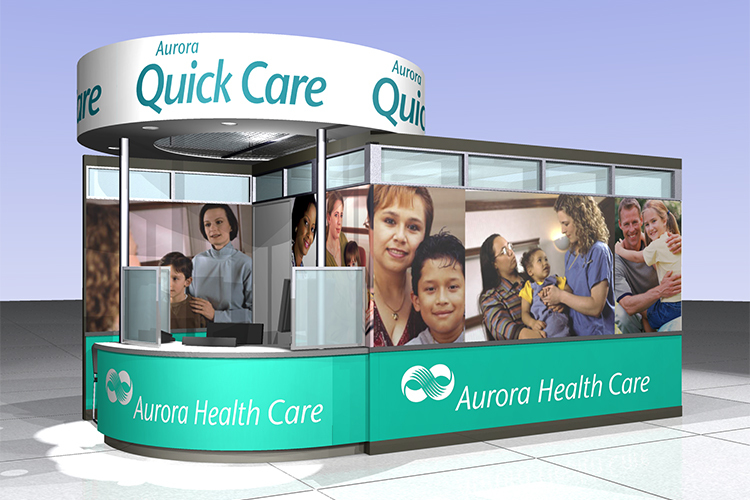 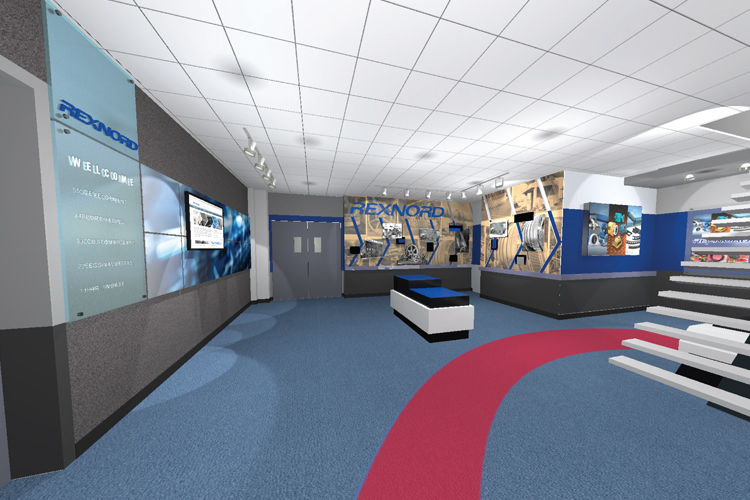 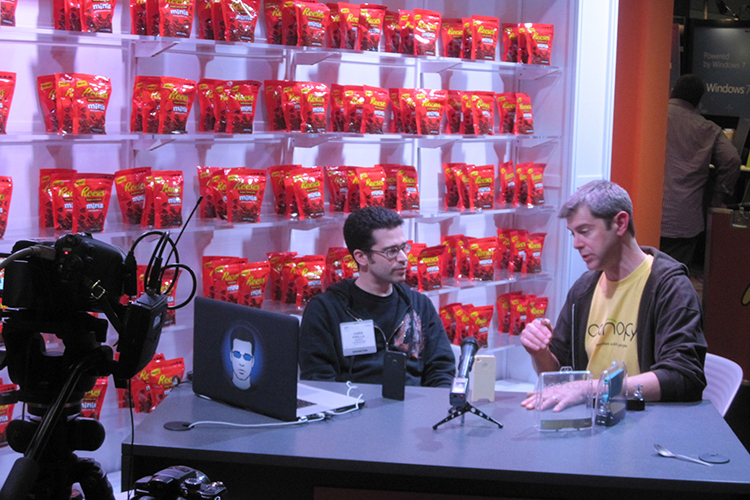 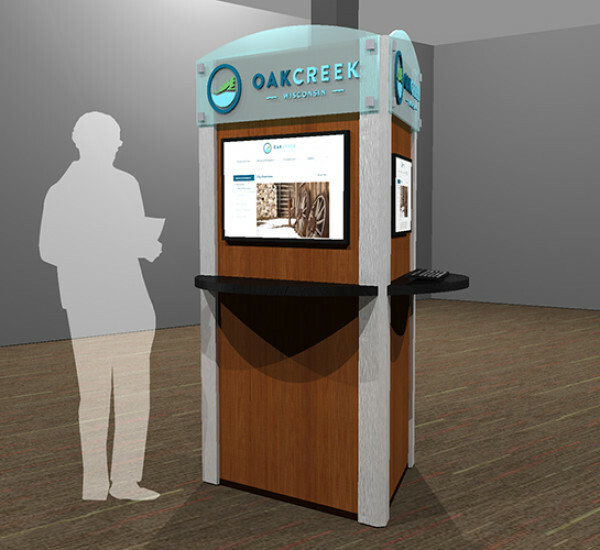 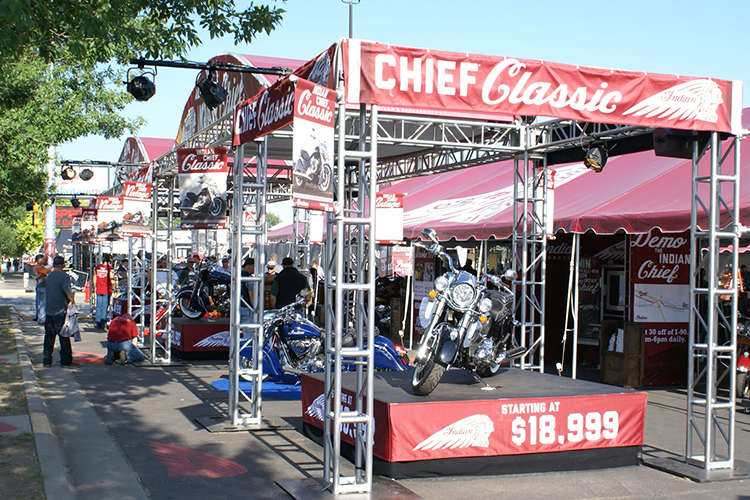 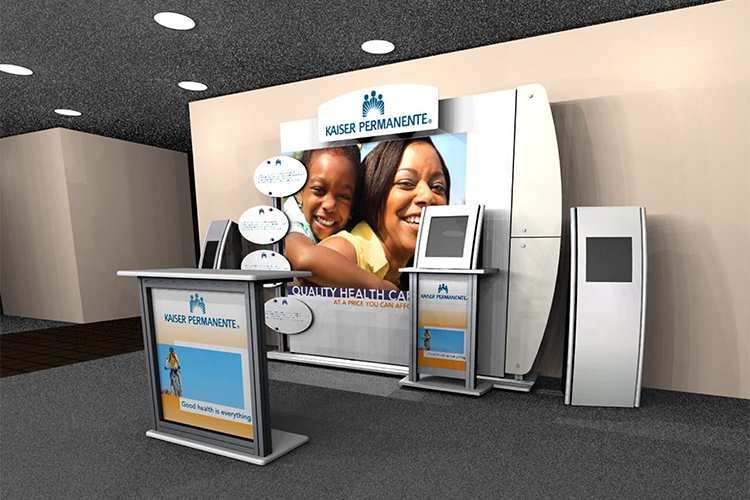 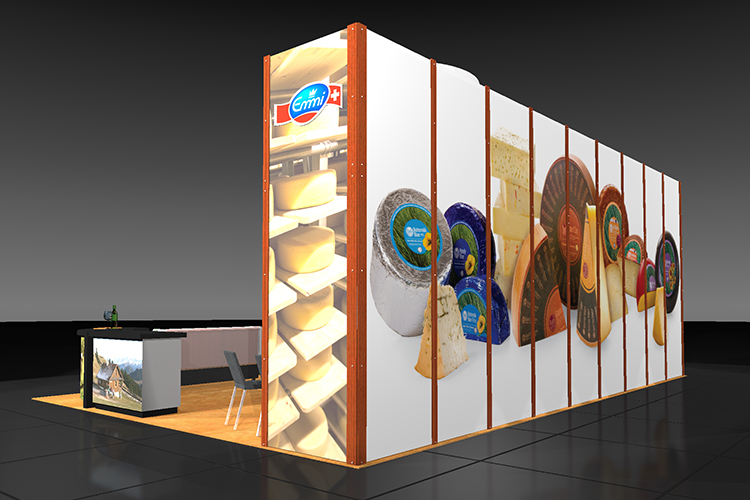 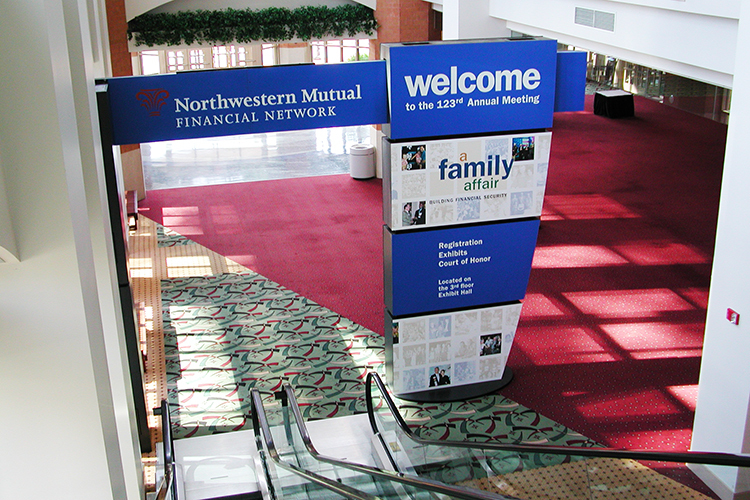 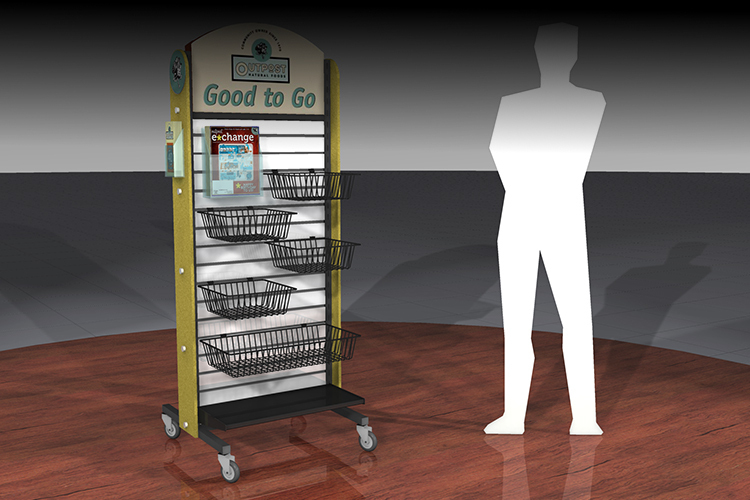 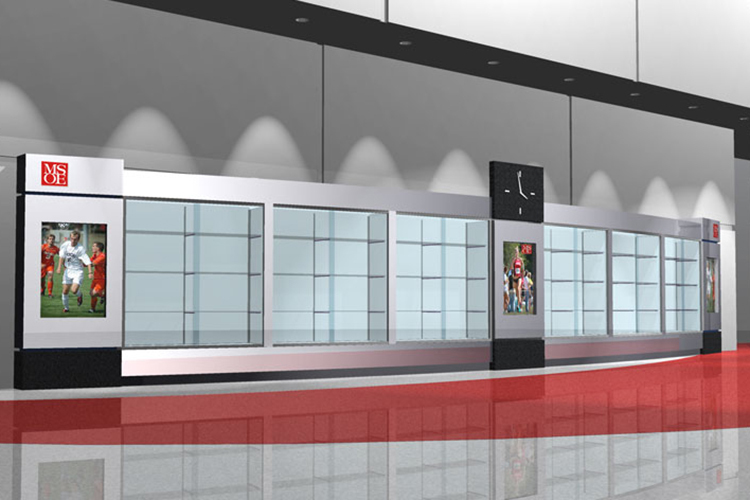 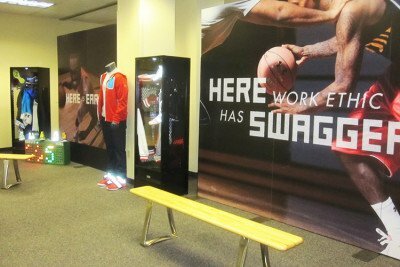 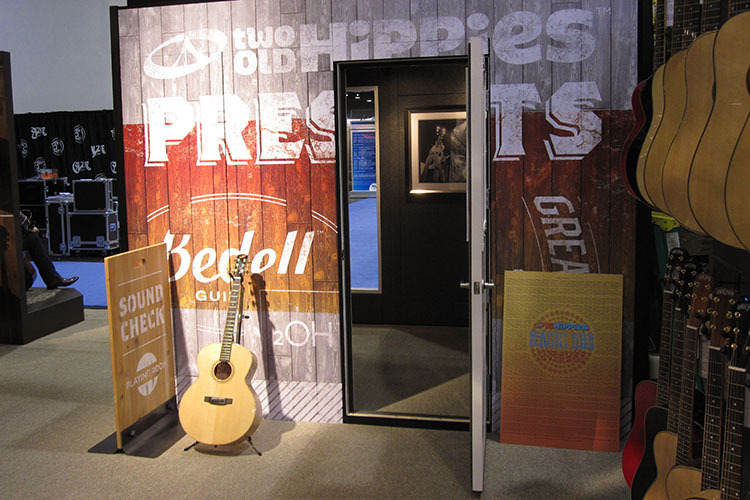 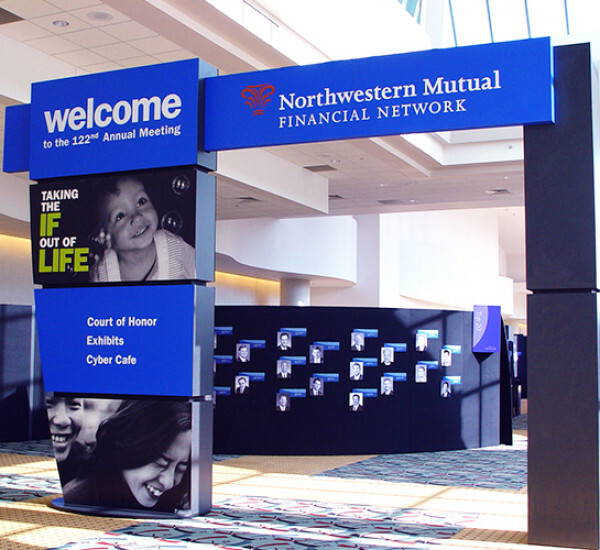 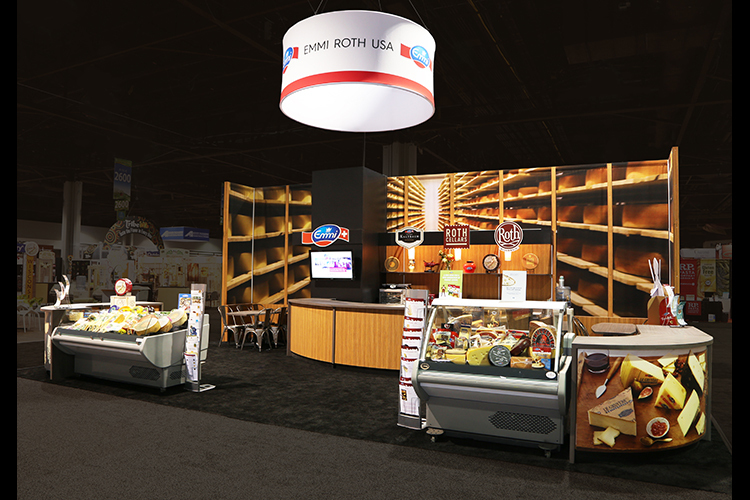 Turn your face-to-face marketing efforts into real sales with a custom designed exhibit. 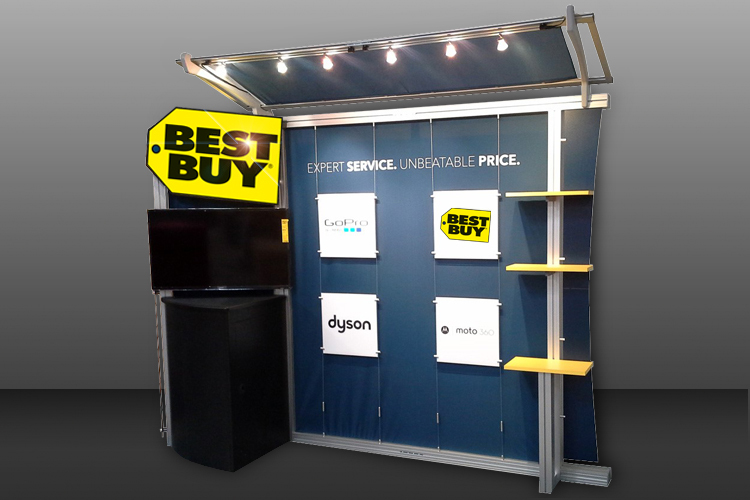 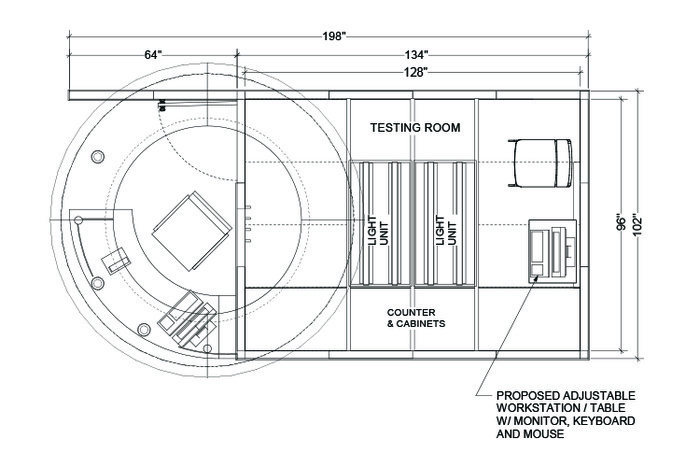 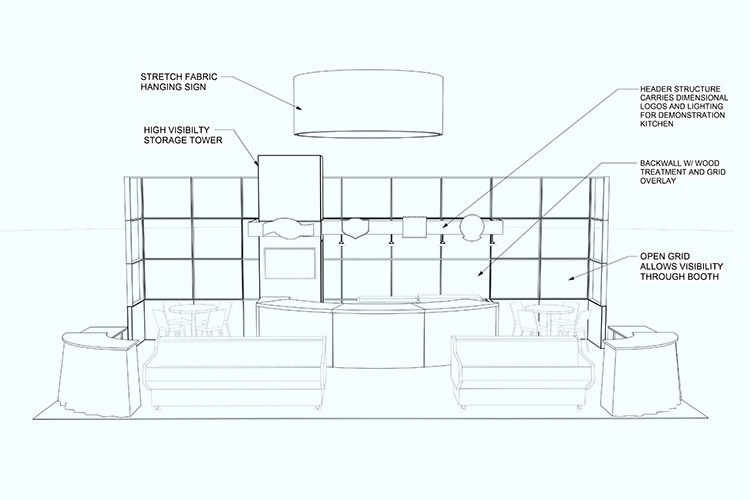 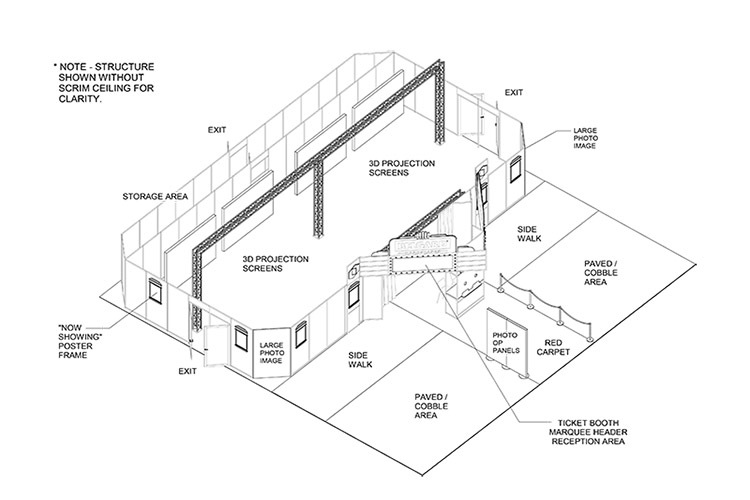 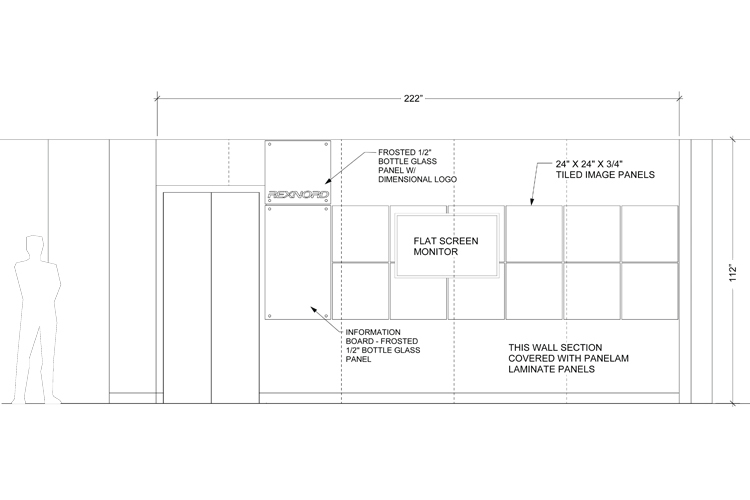 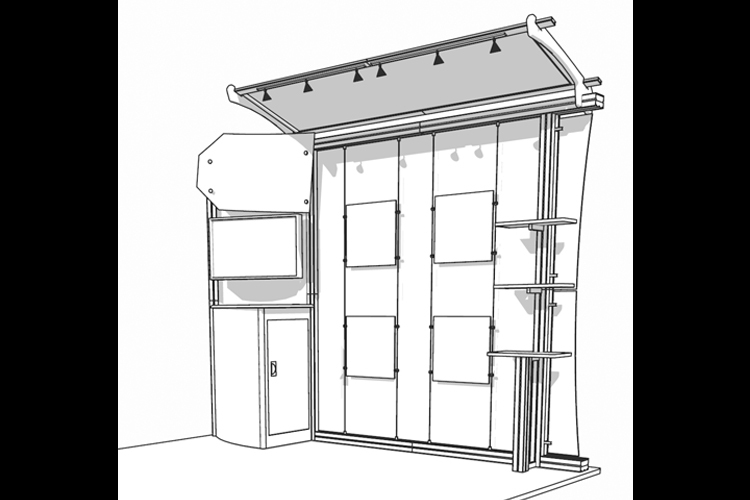 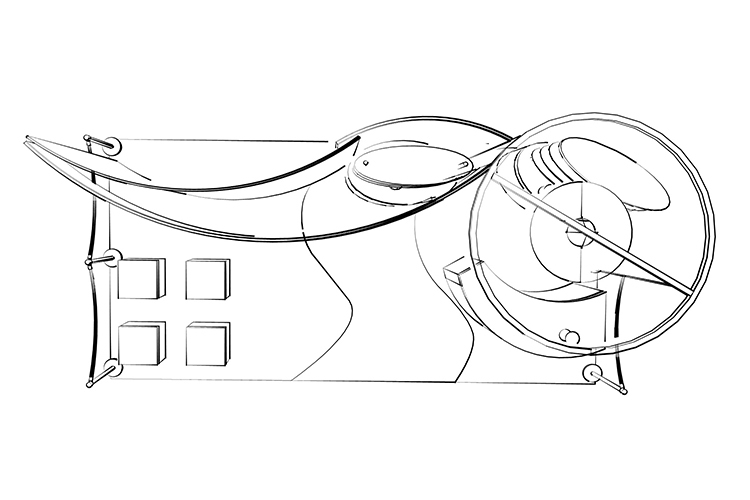 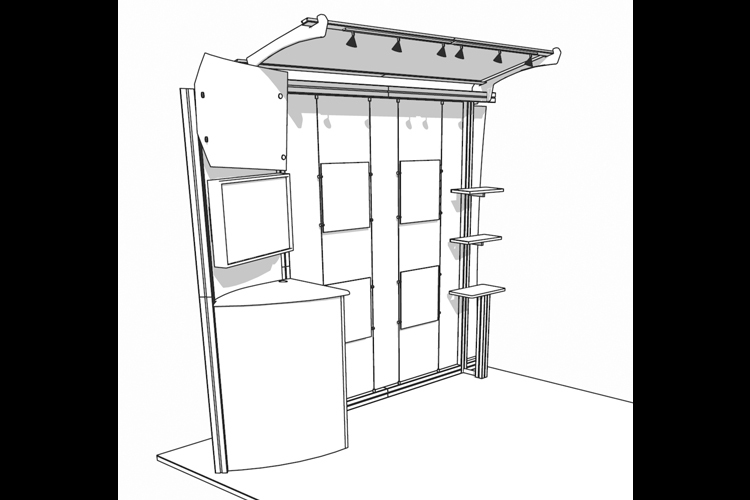 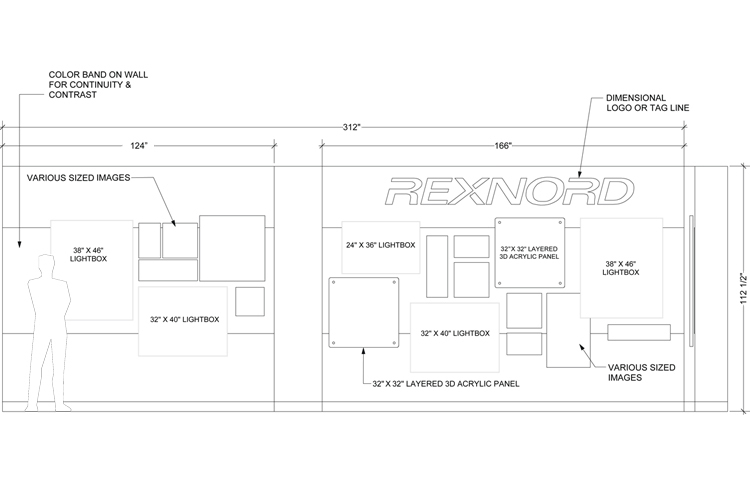 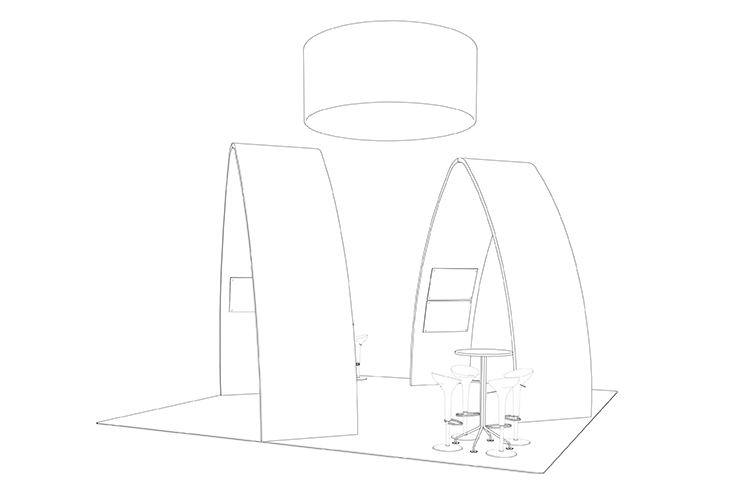 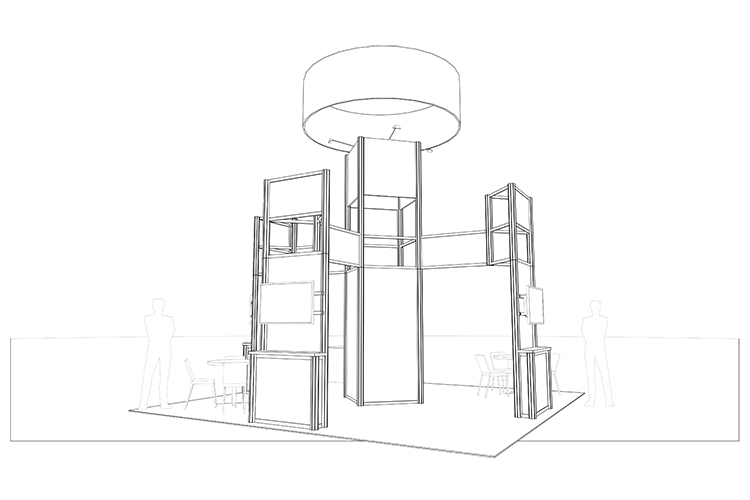 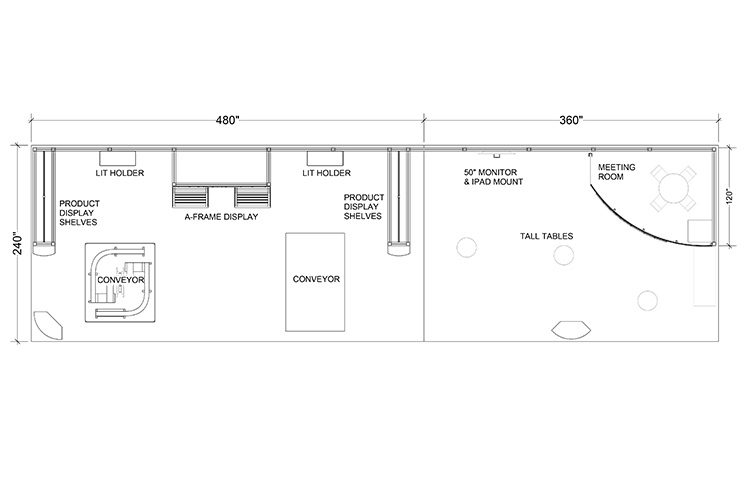 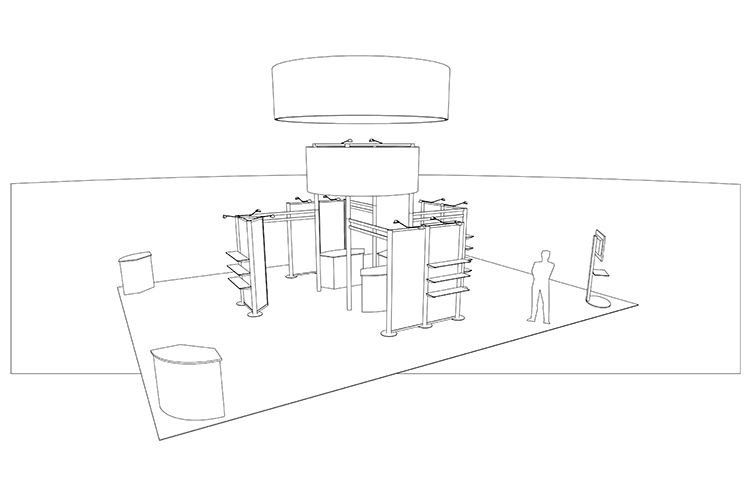 Modular exhibits allow you to set up your display into different configurations. 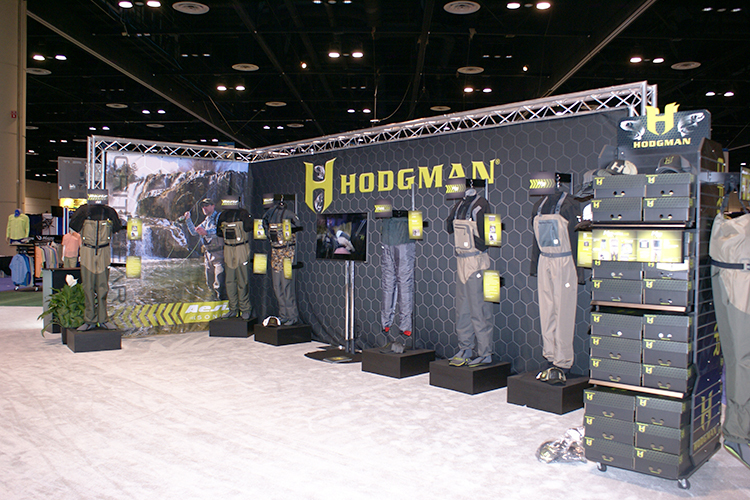 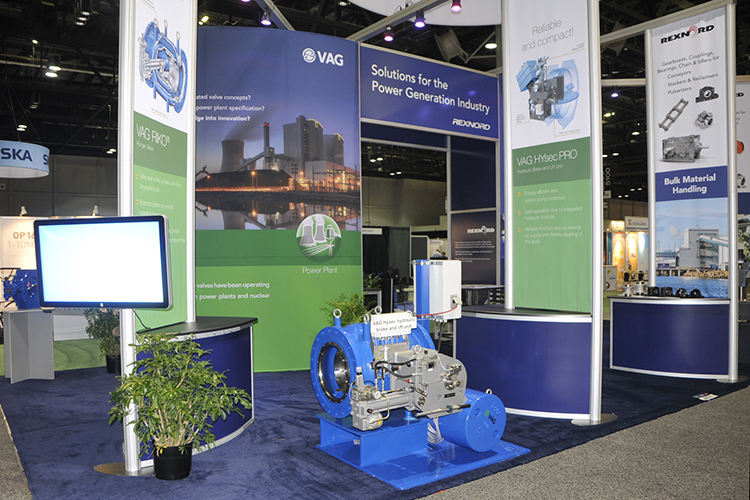 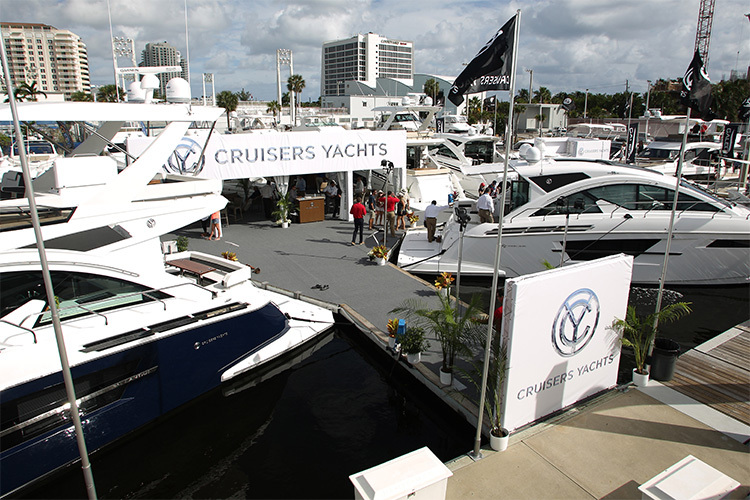 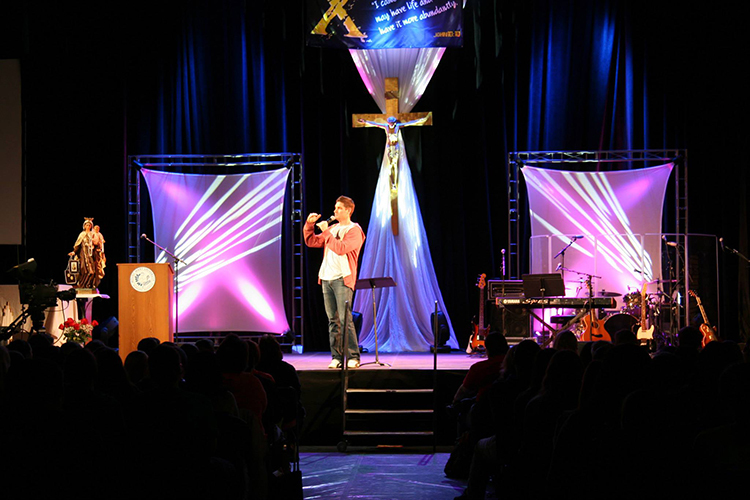 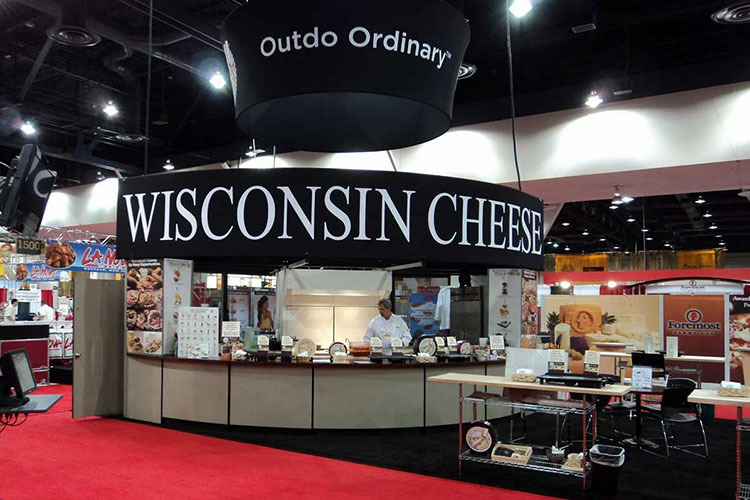 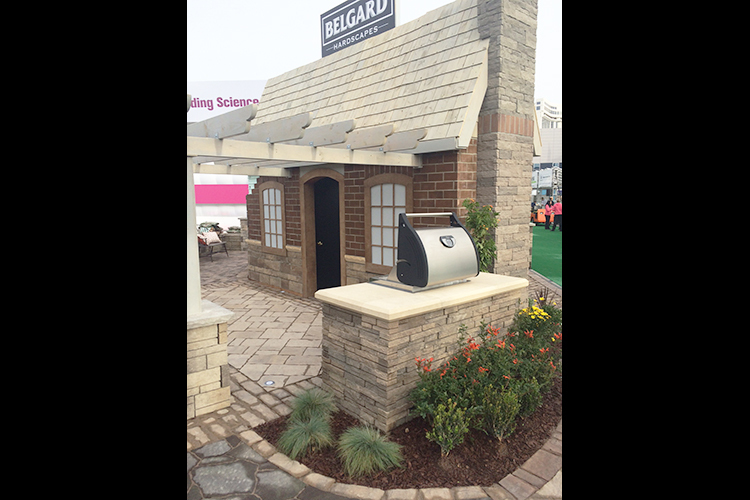 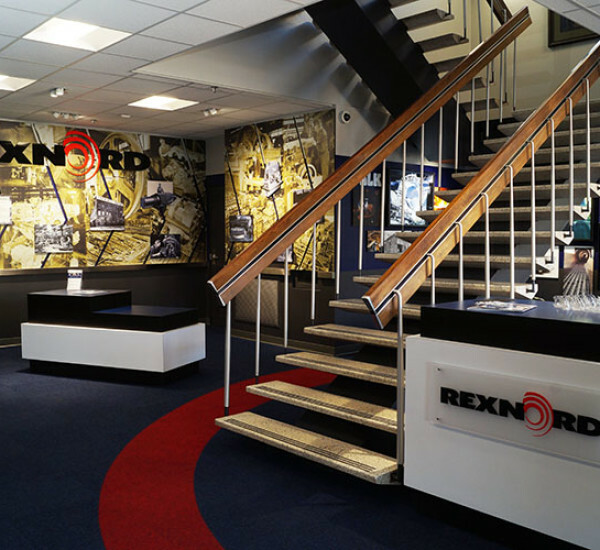 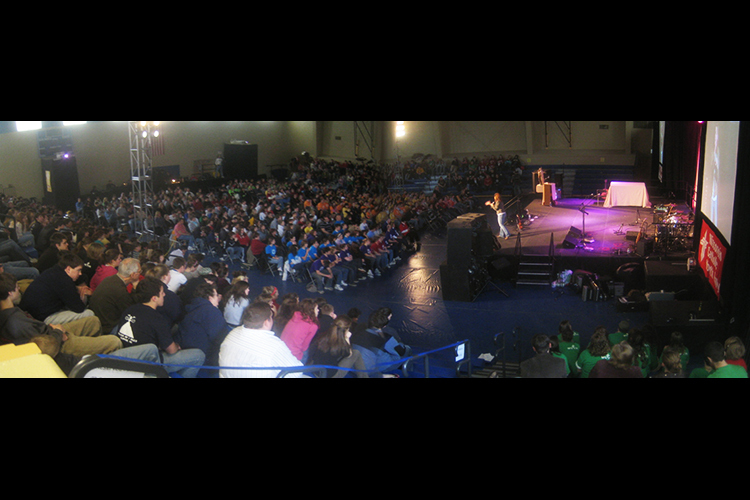 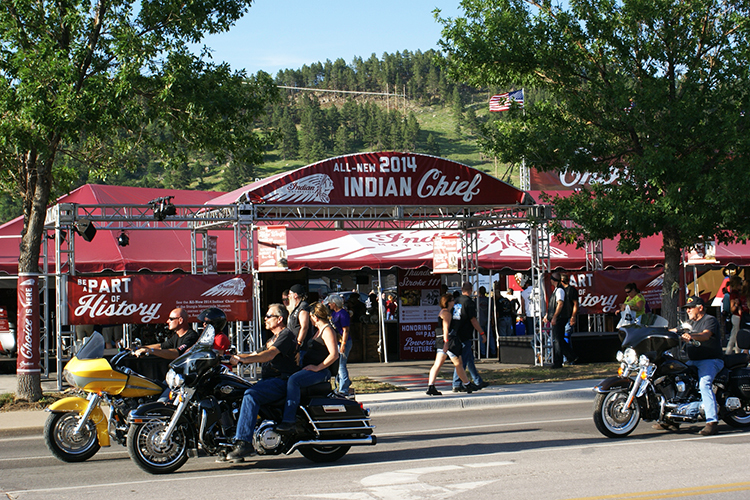 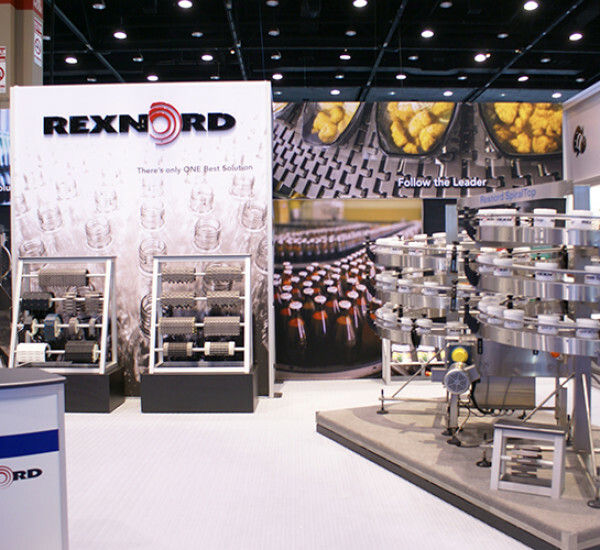 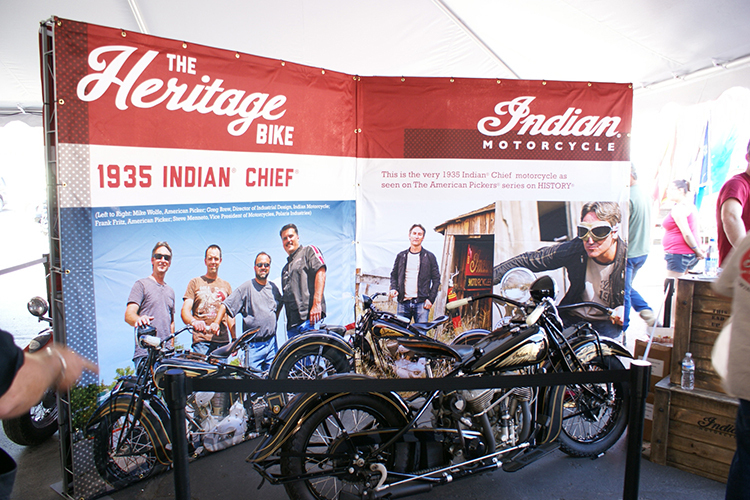 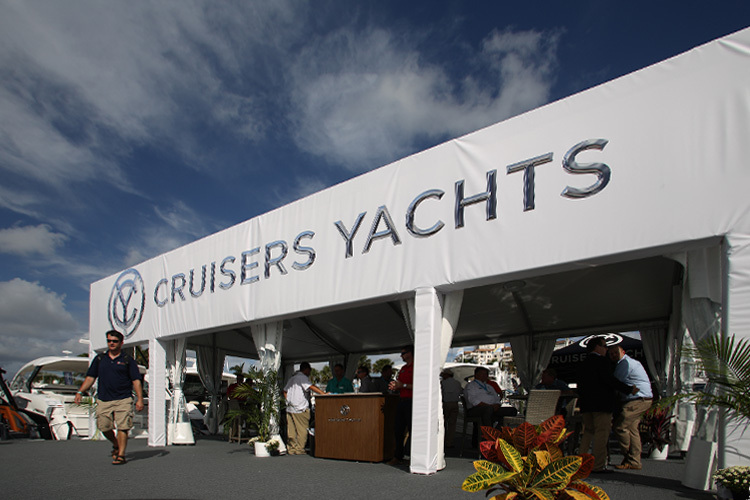 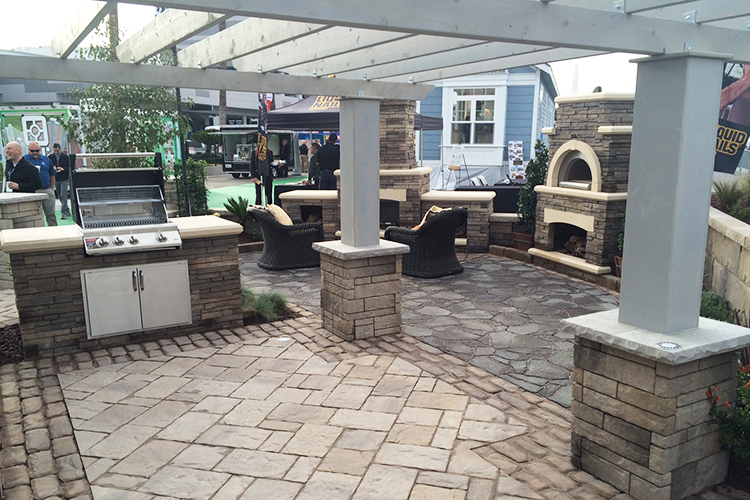 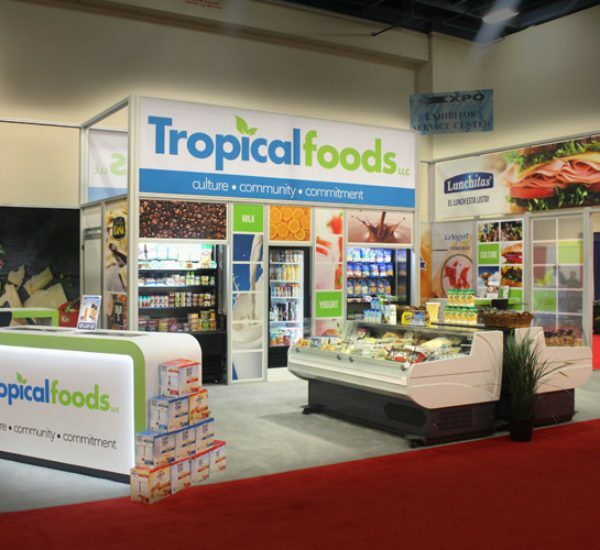 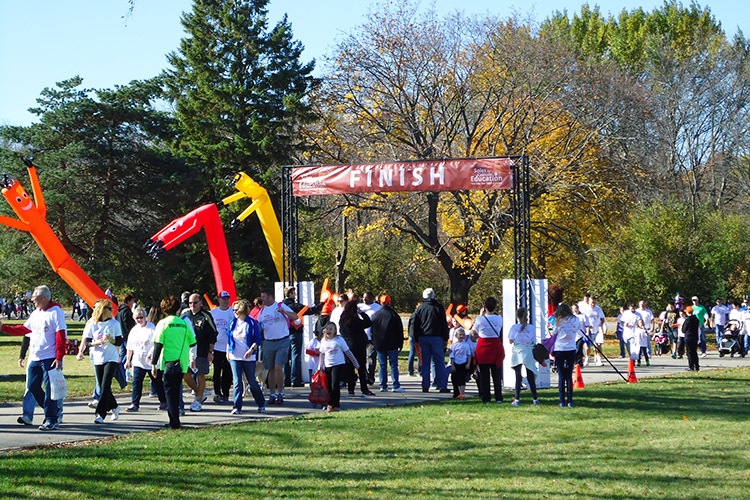 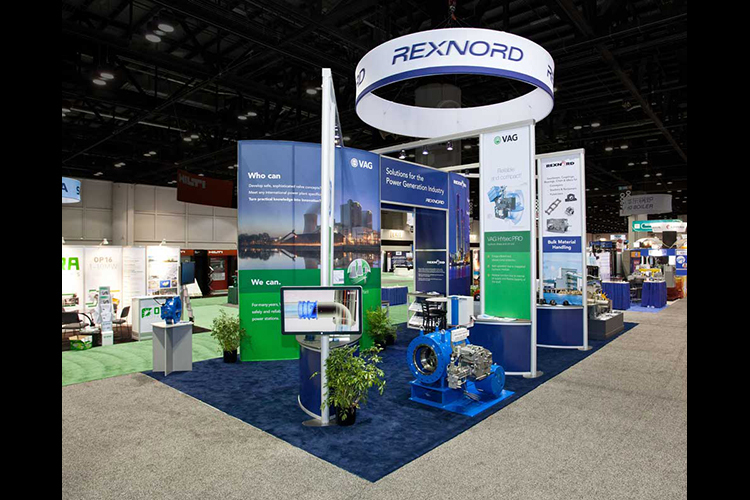 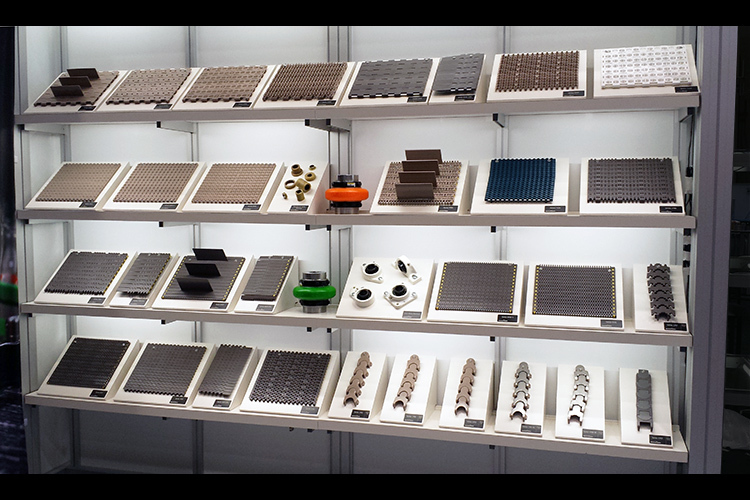 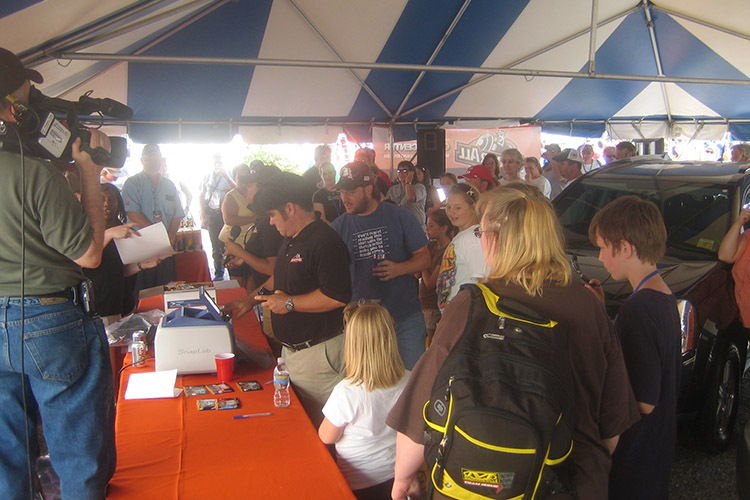 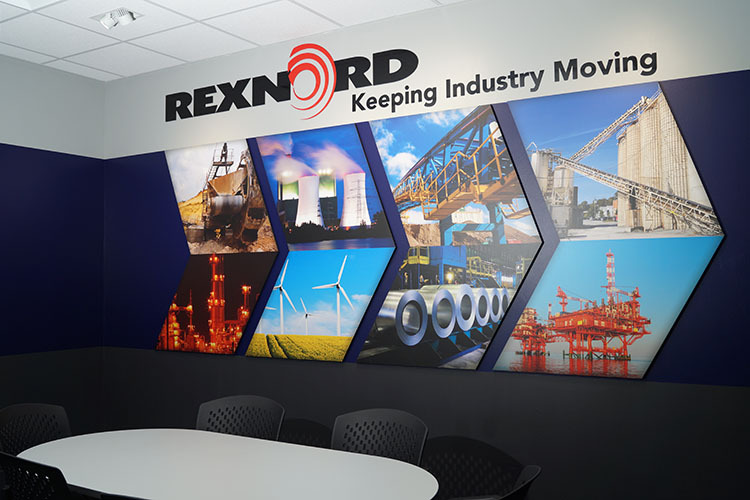 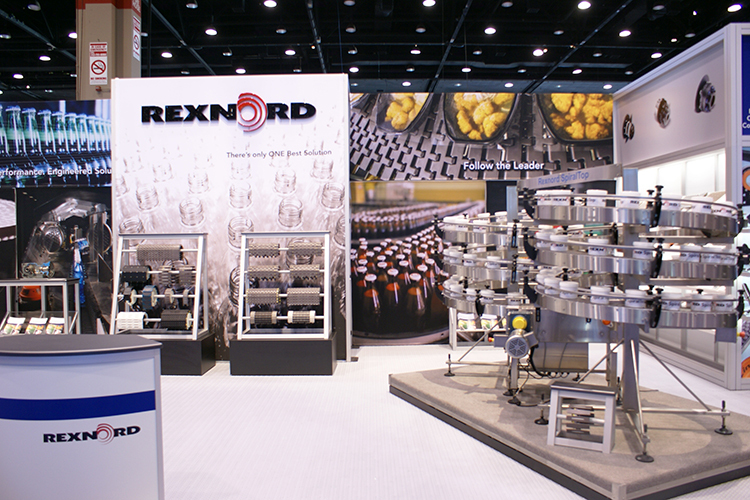 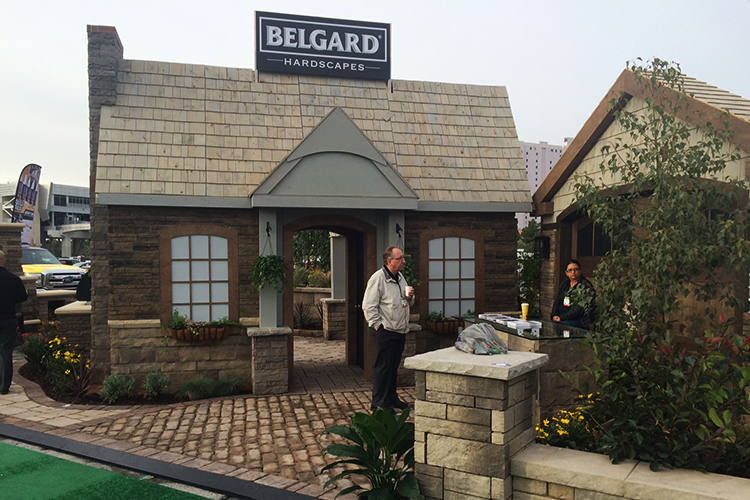 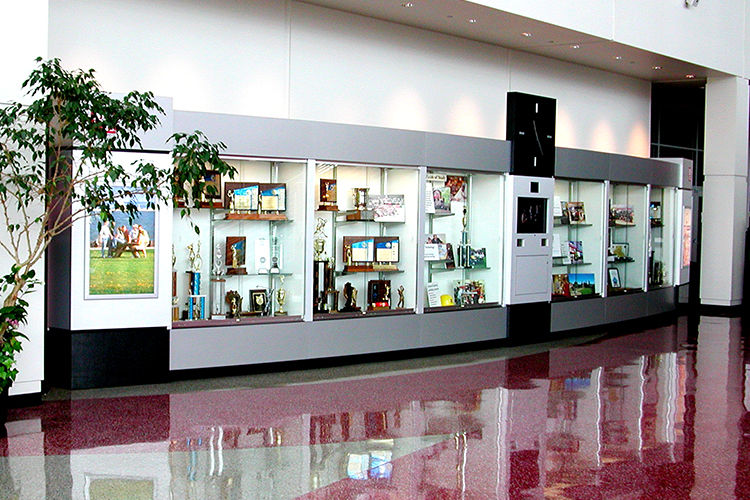 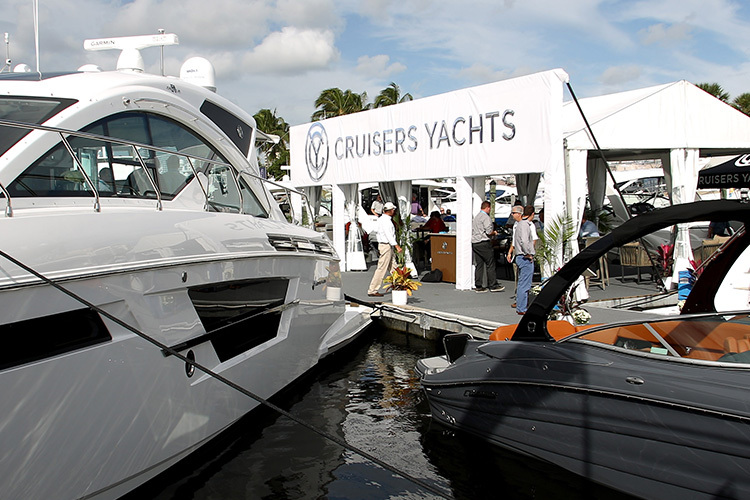 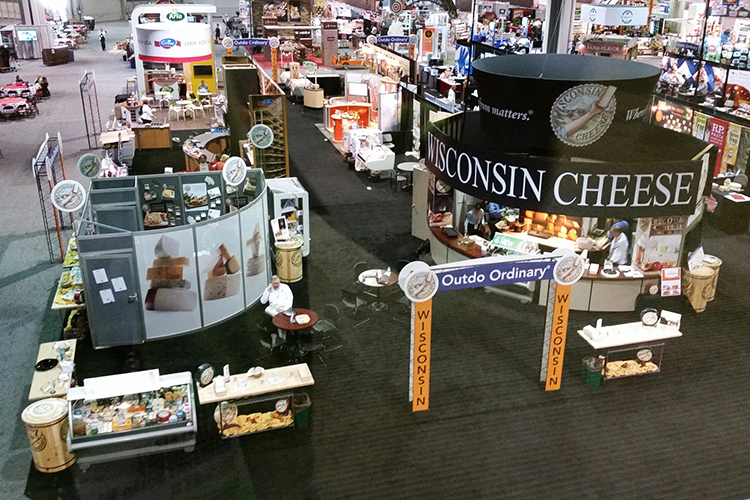 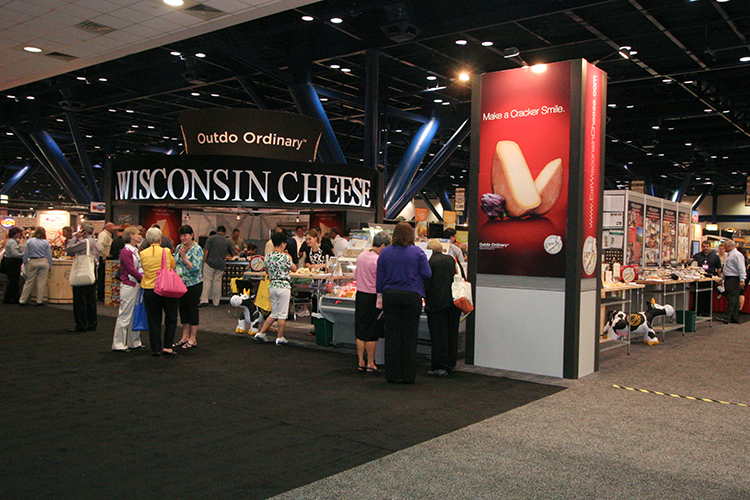 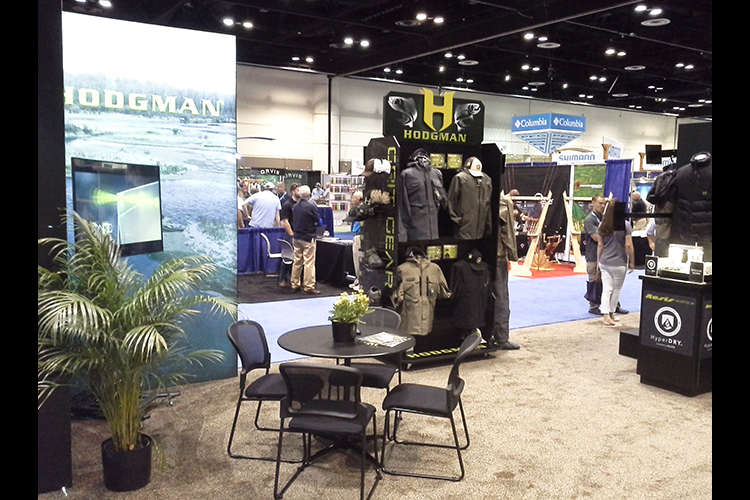 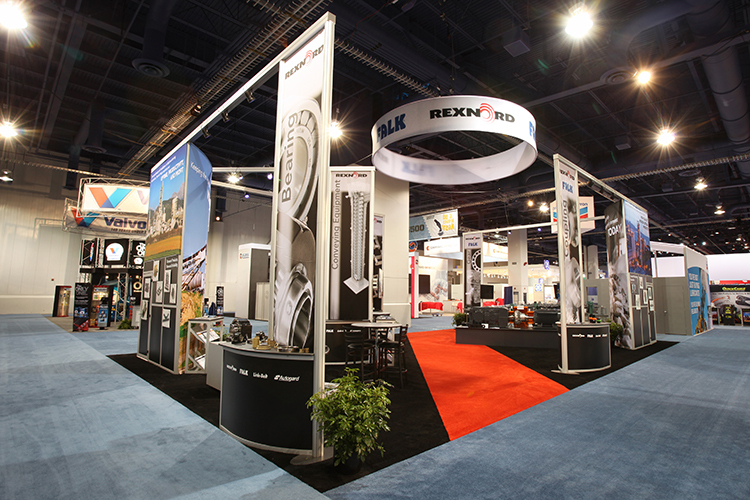 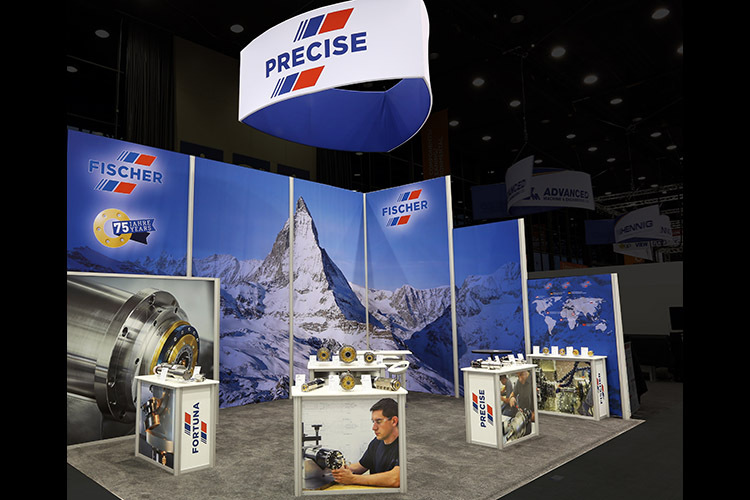 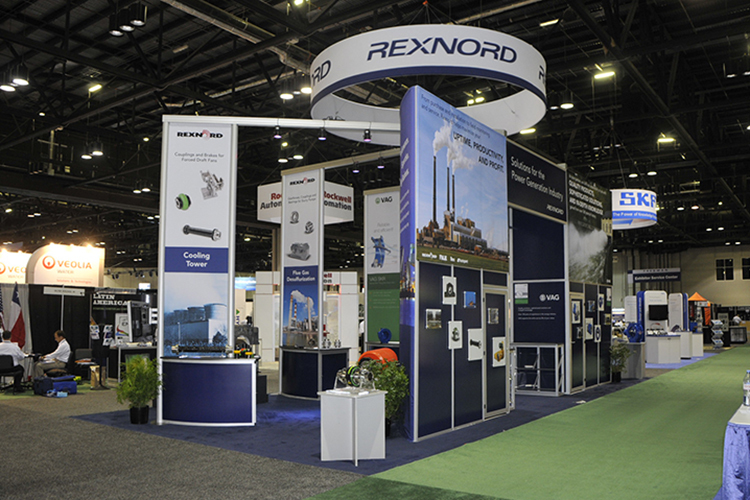 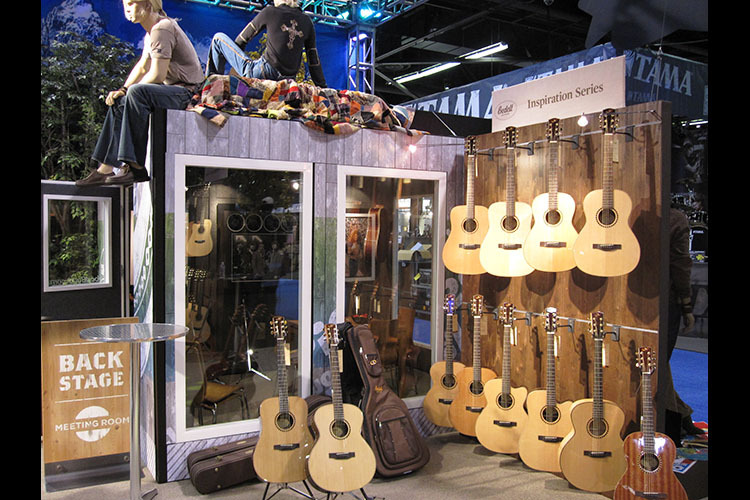 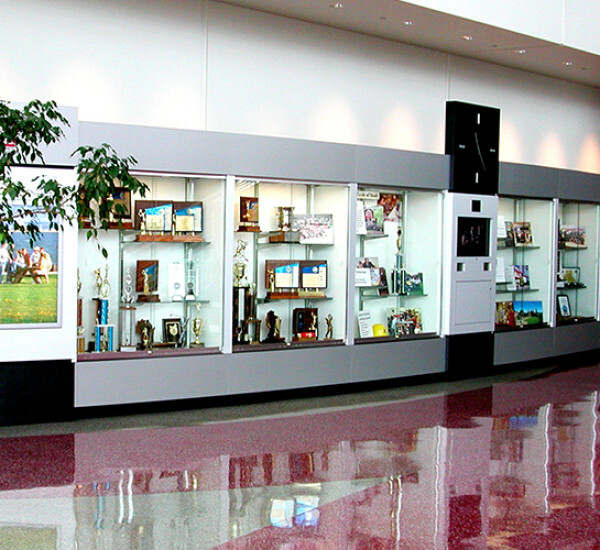 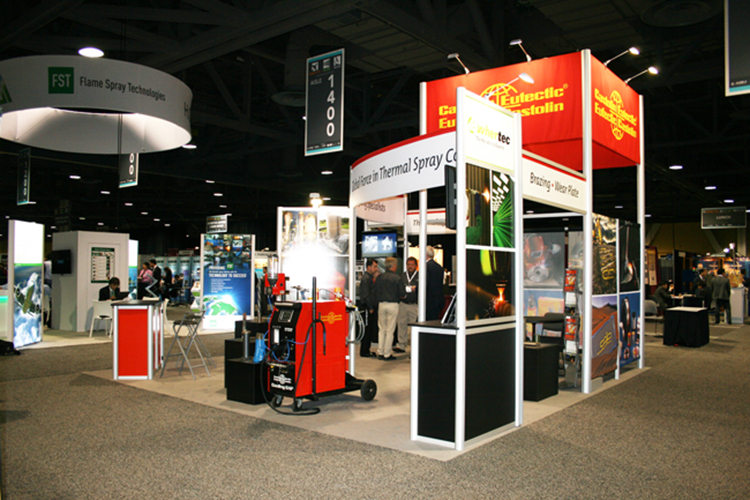 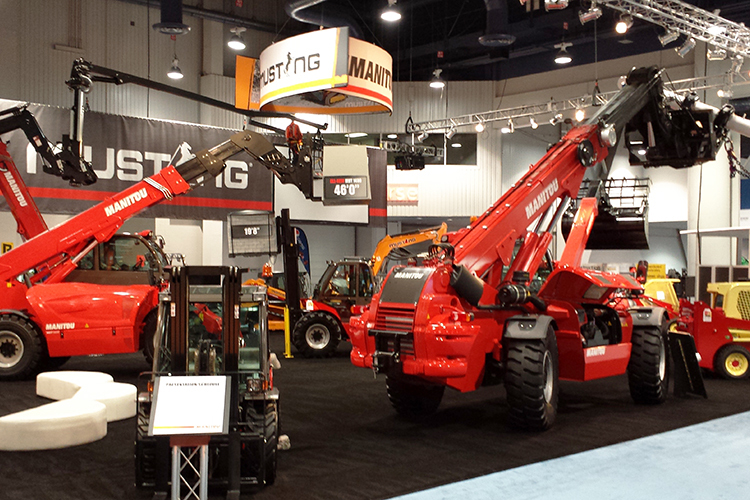 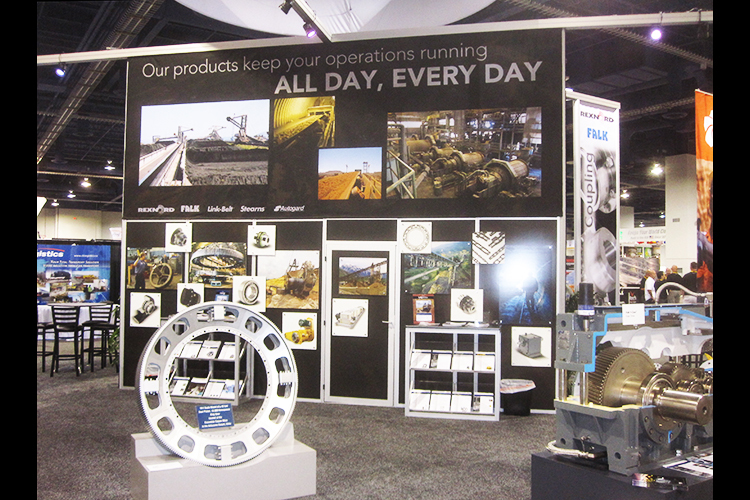 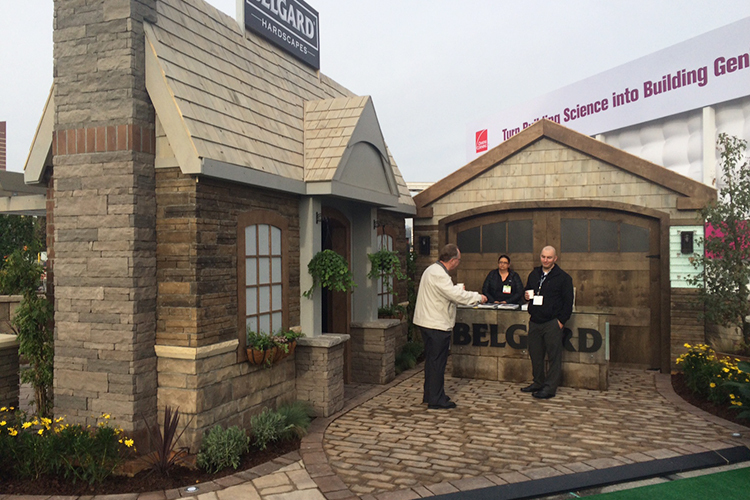 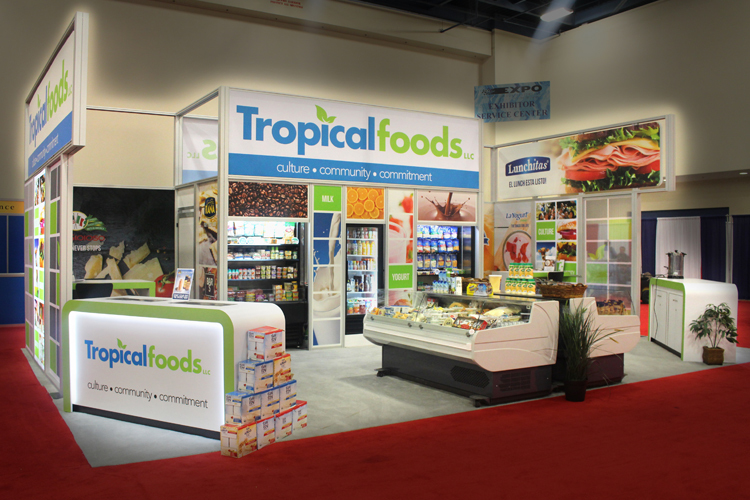 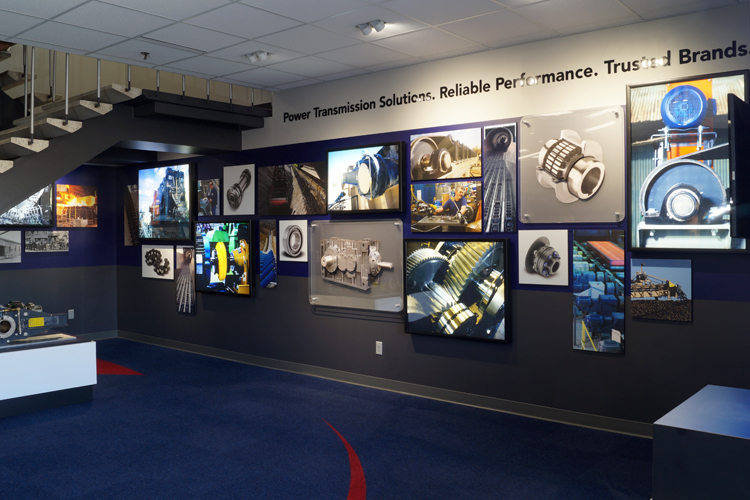 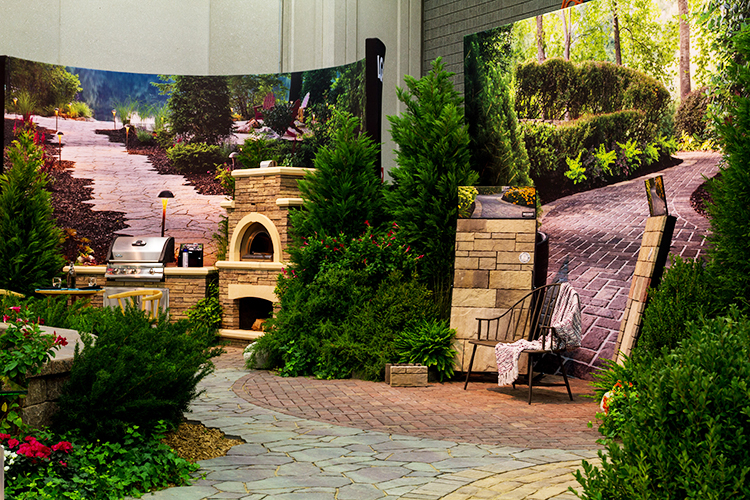 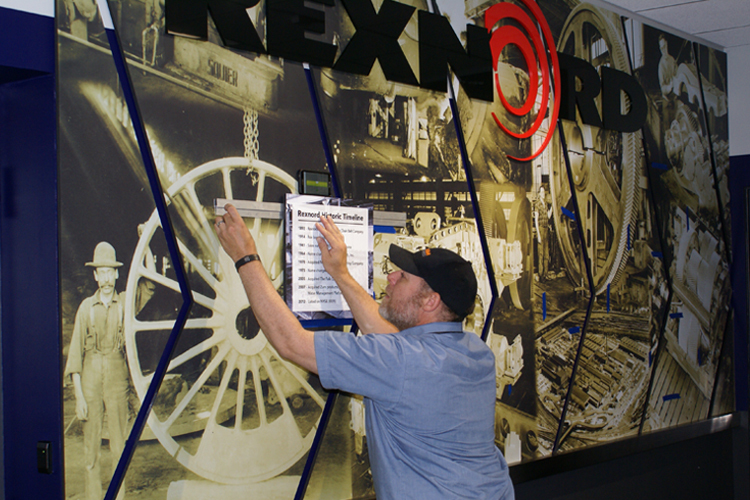 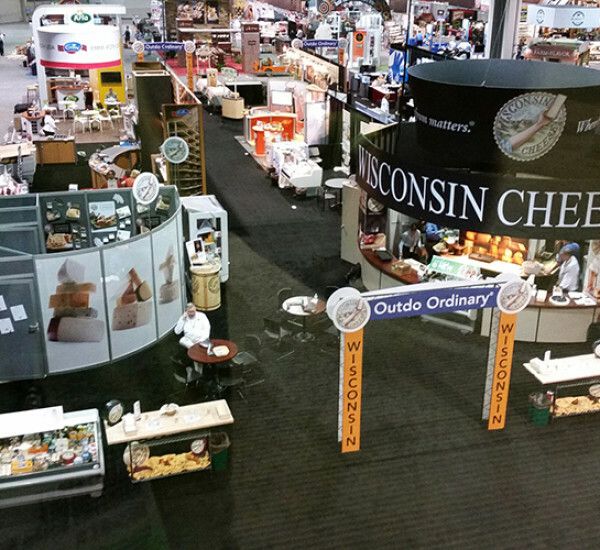 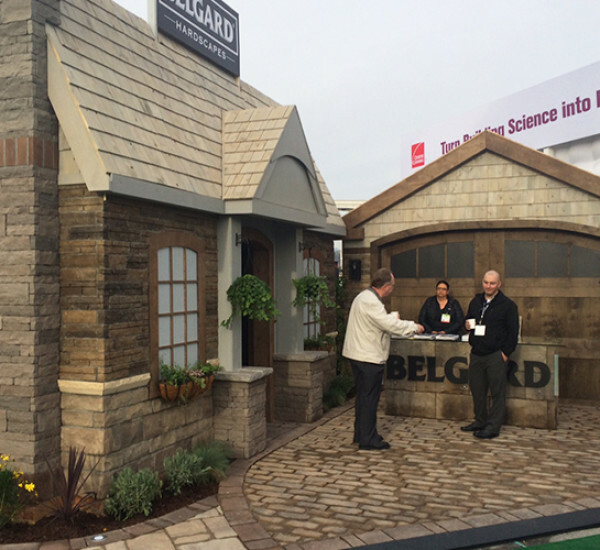 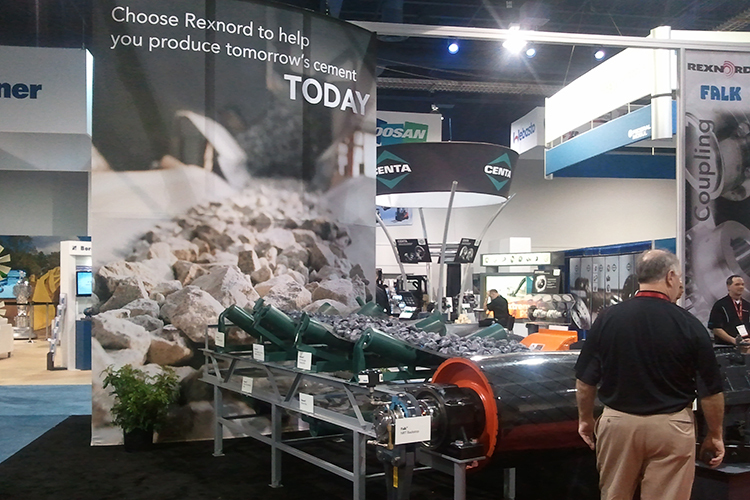 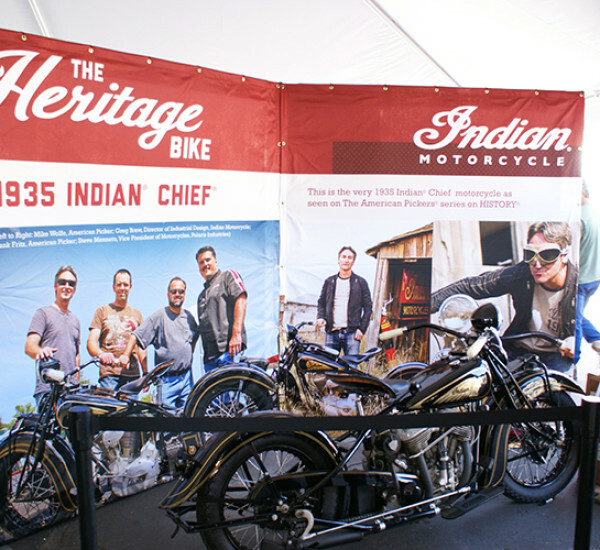 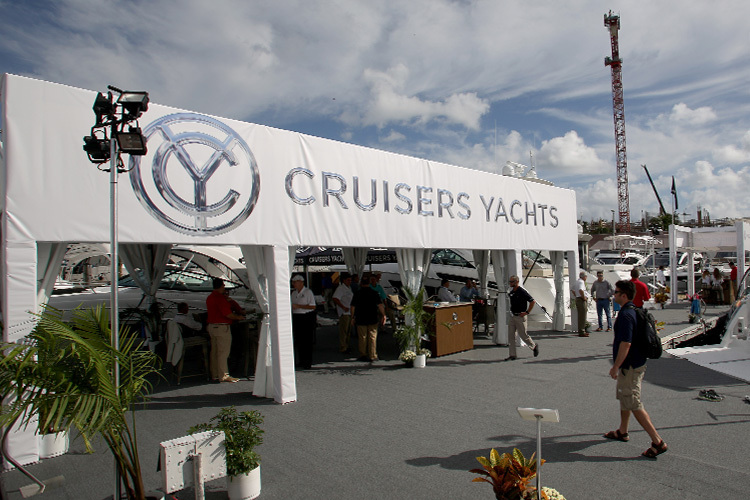 Our wide selection of exhibit options offer the variety you need in meeting your goals. 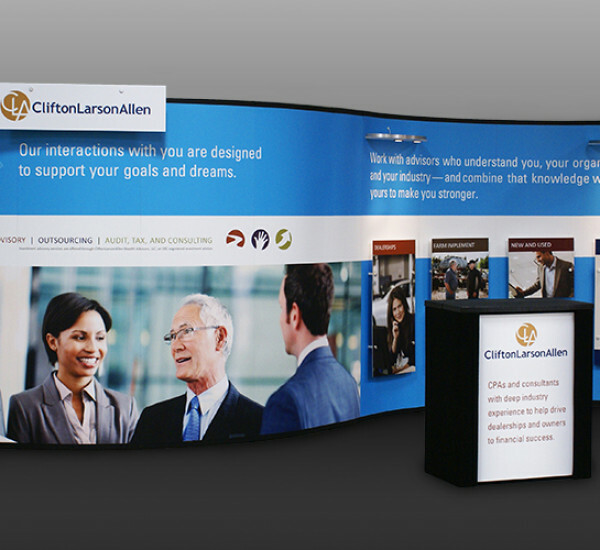 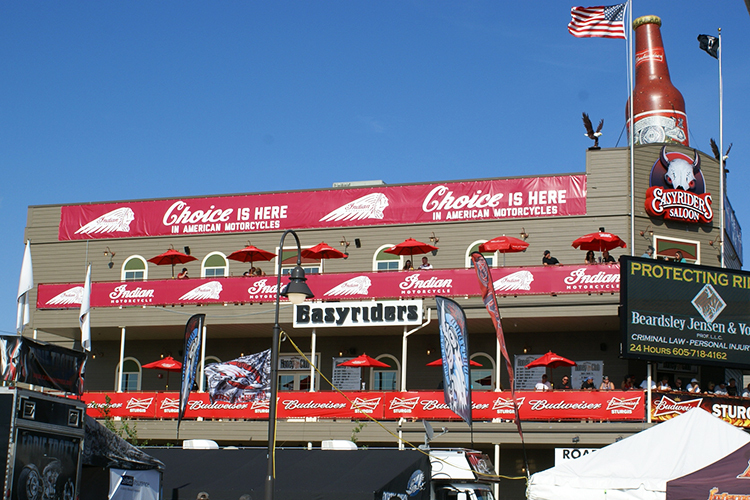 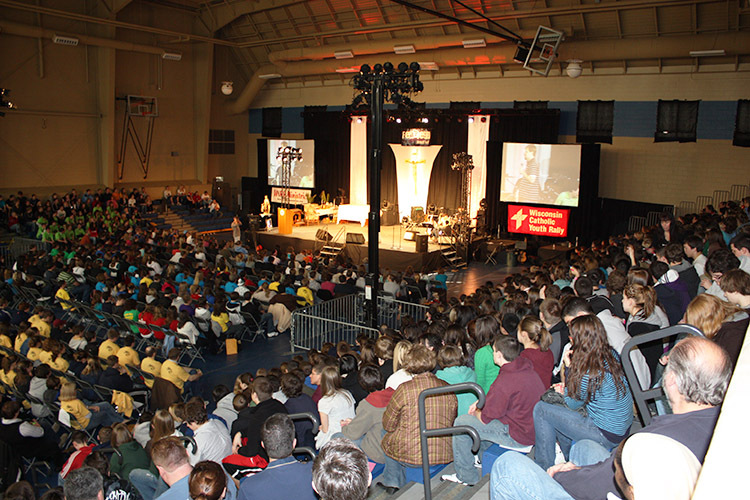 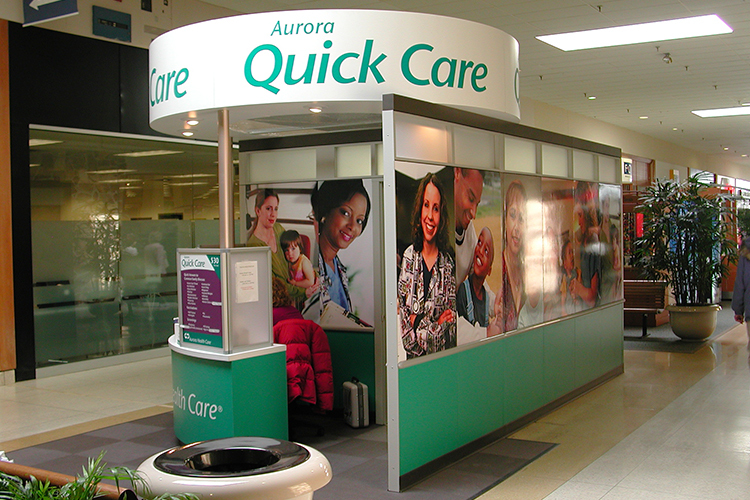 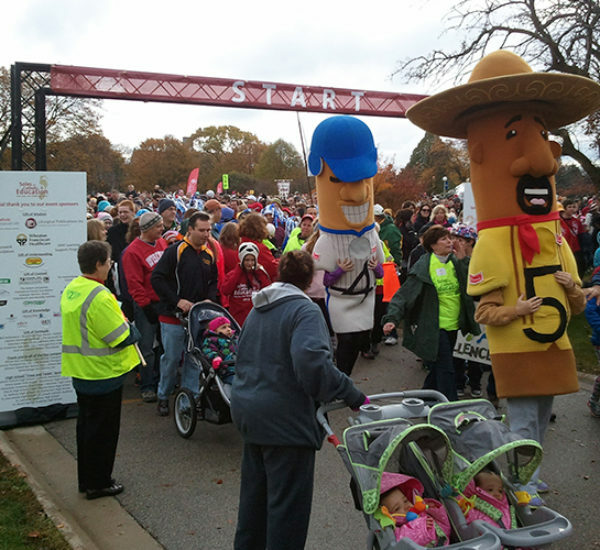 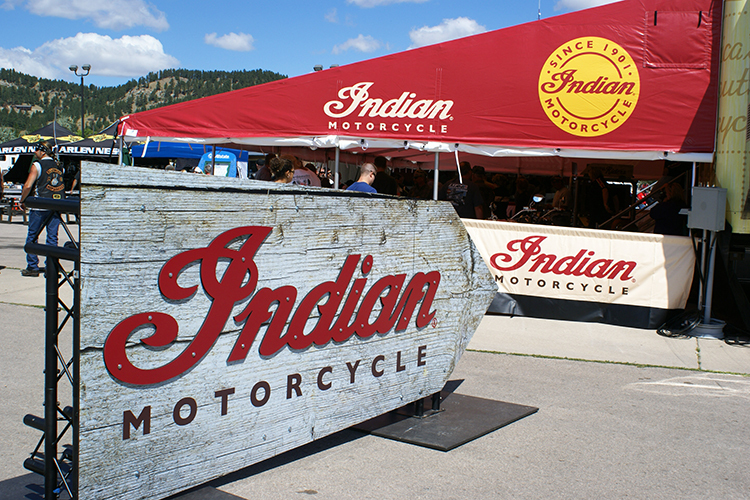 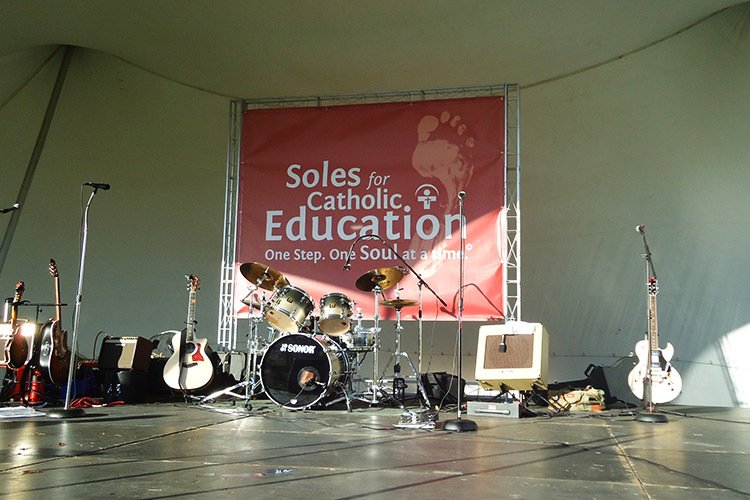 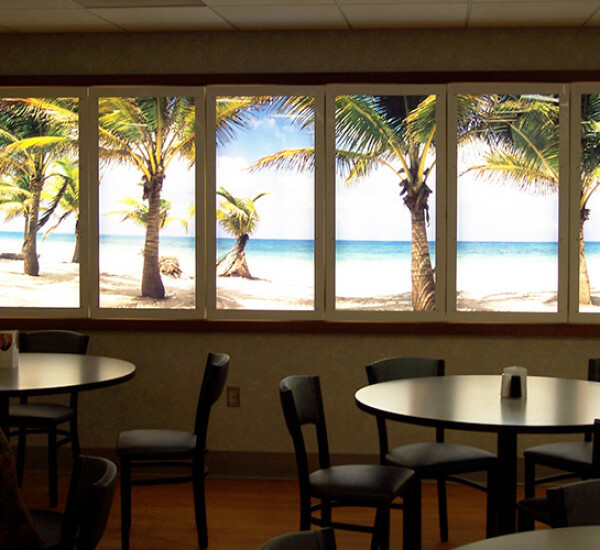 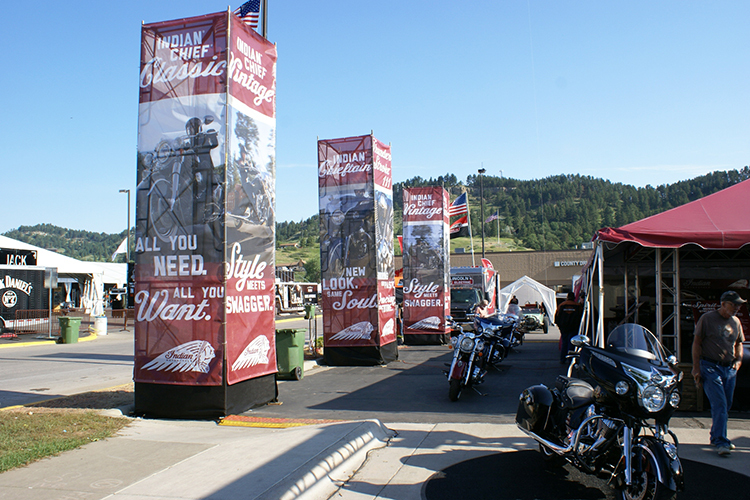 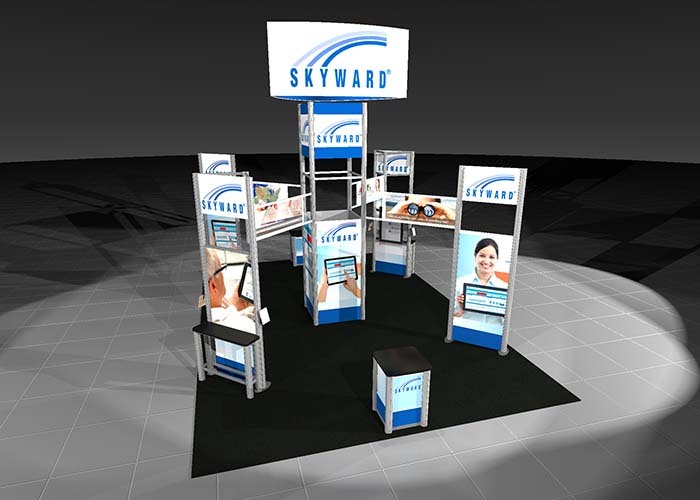 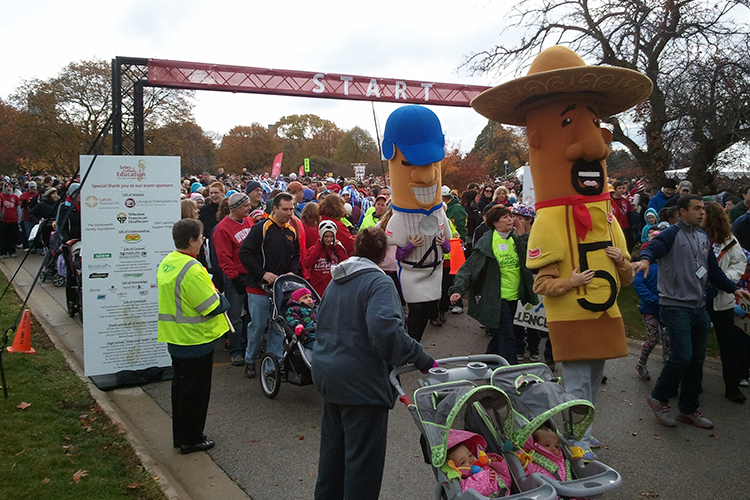 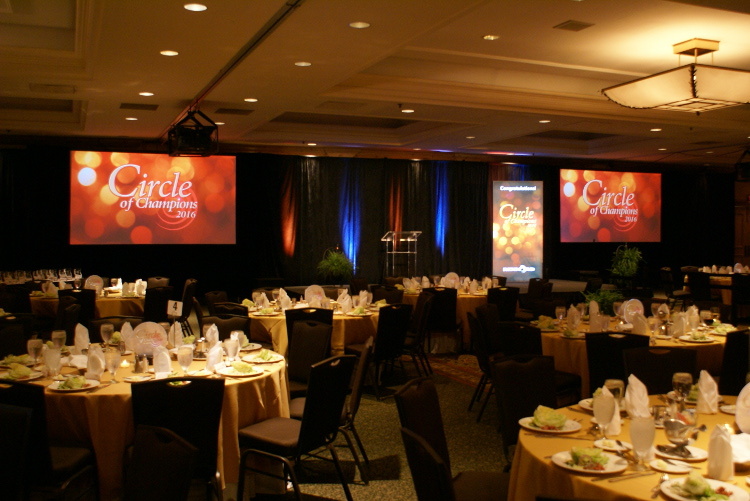 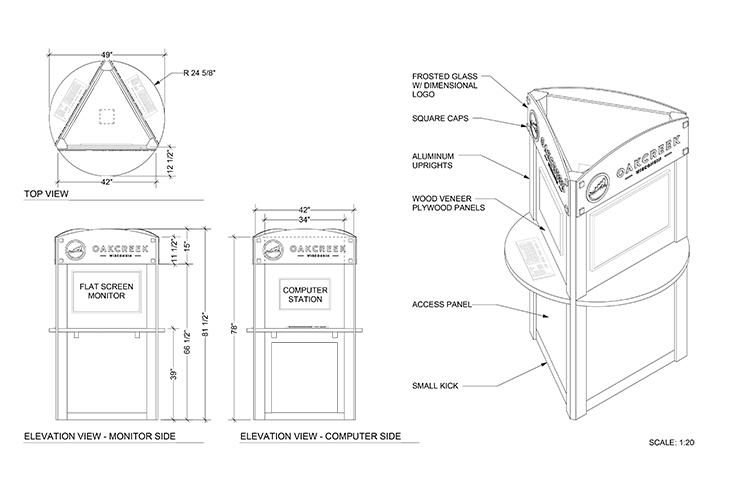 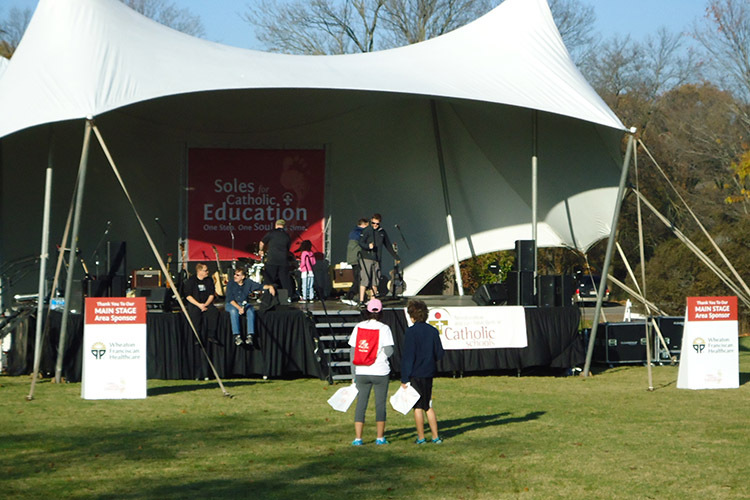 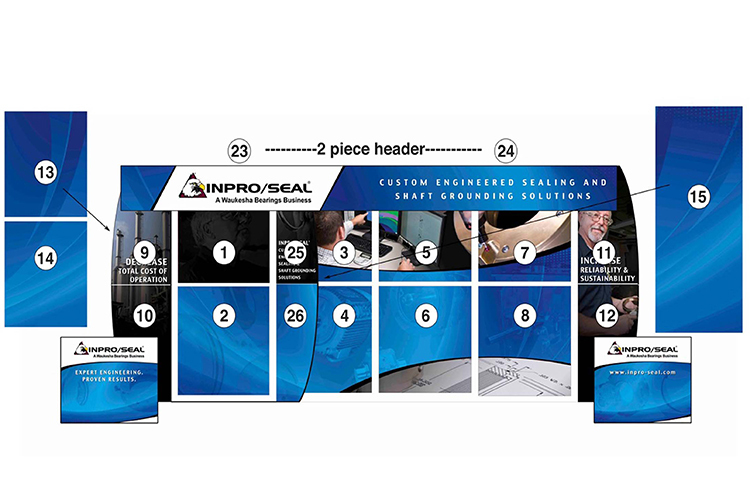 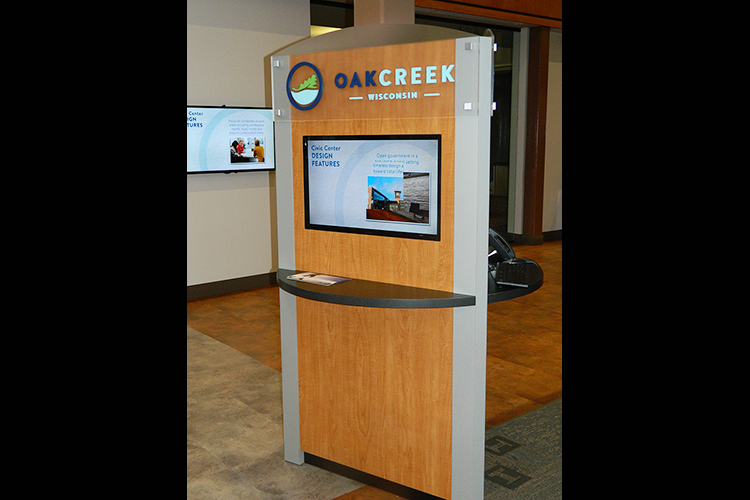 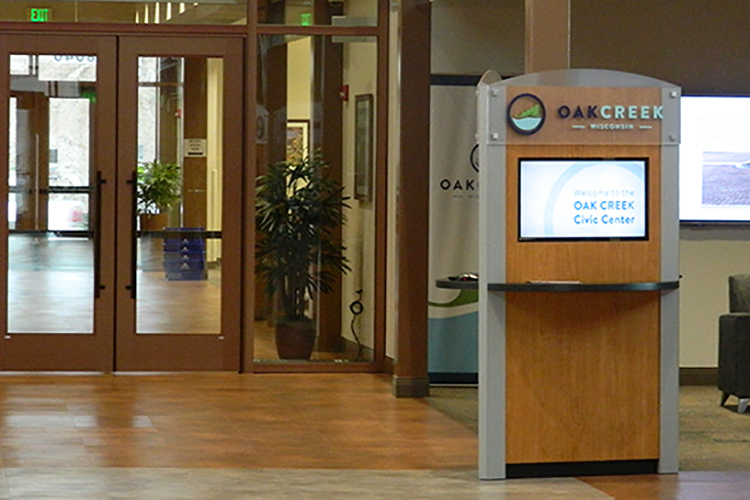 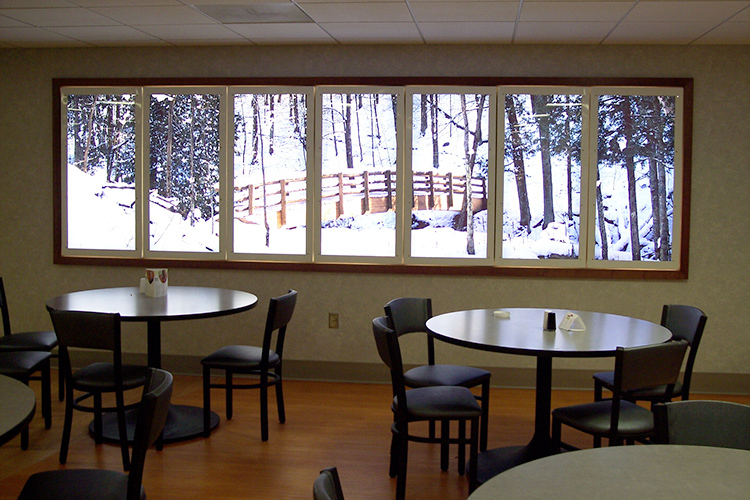 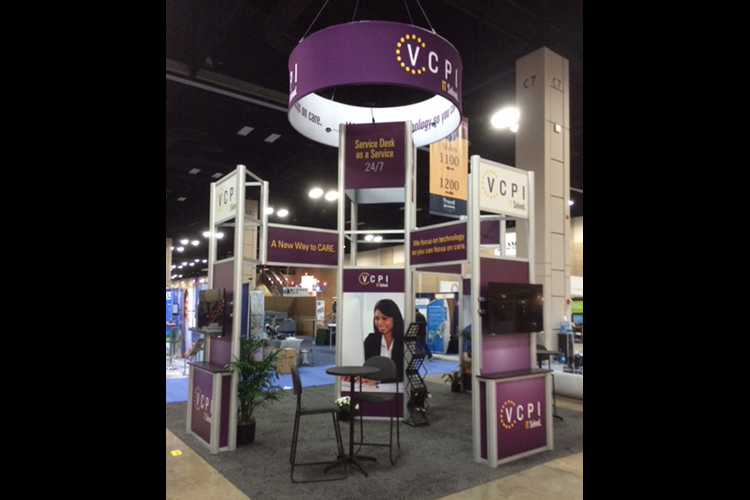 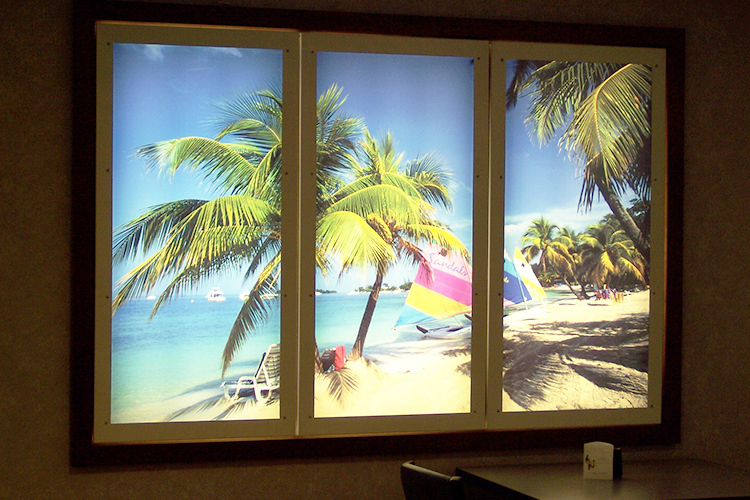 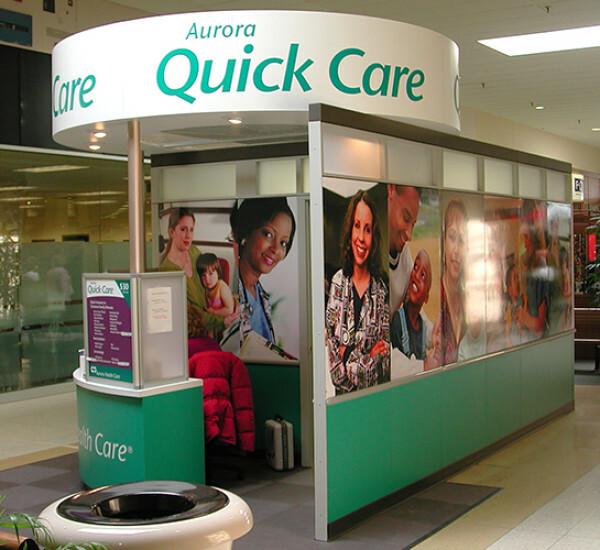 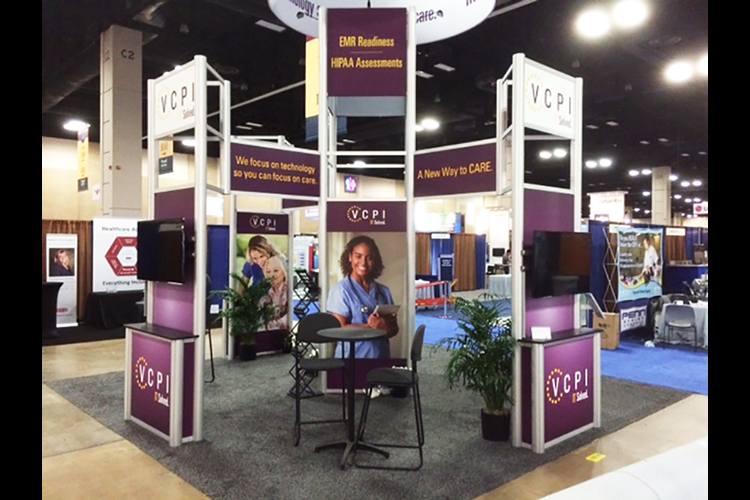 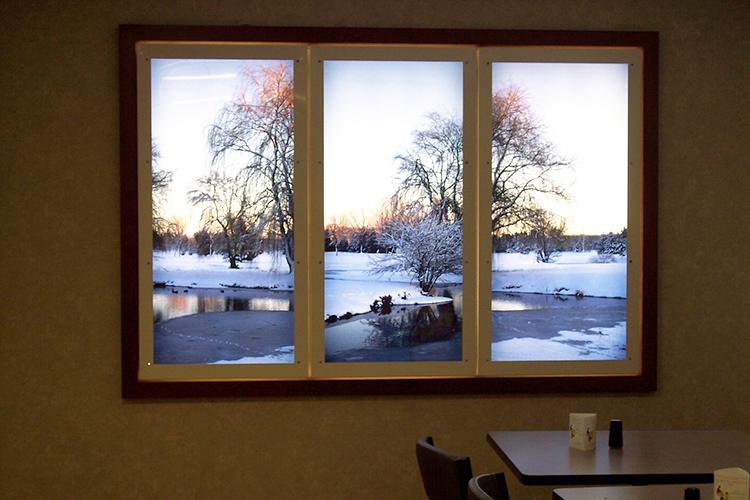 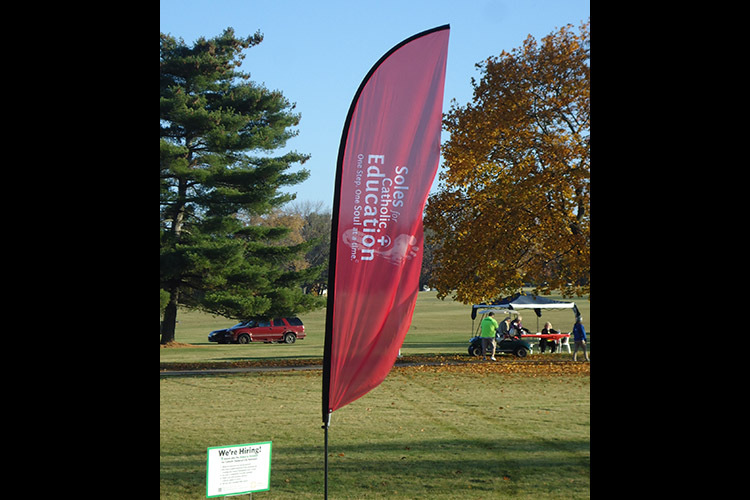 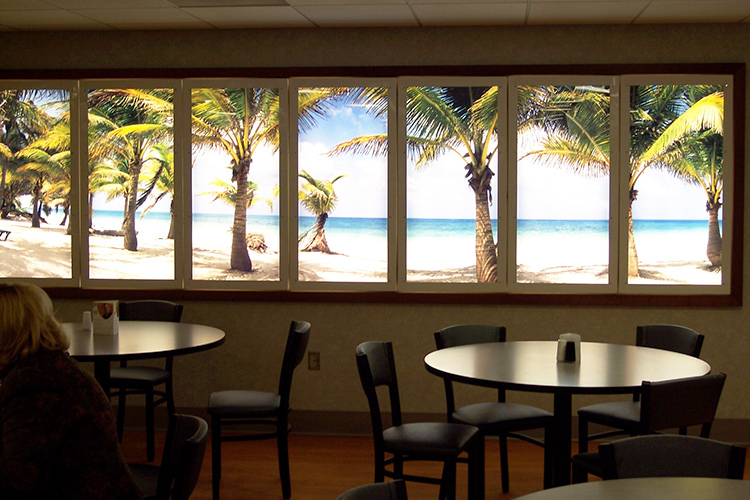 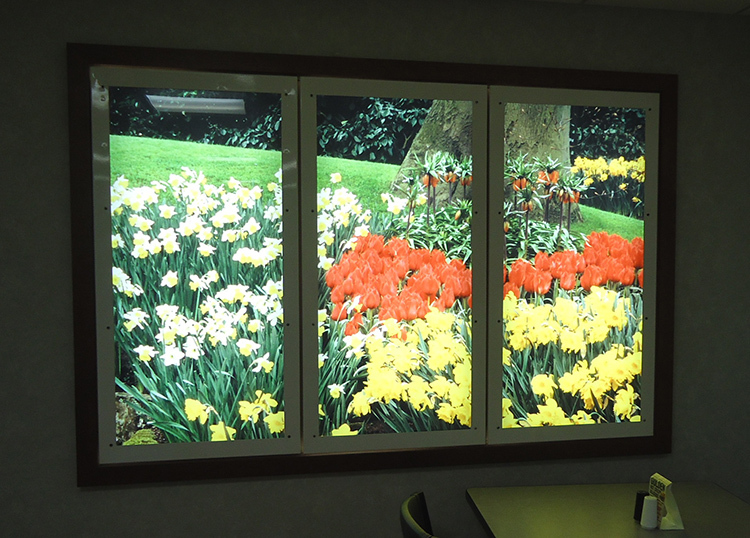 Our portable display solutions offer a wide variety of options to augment your face-to-face marketing efforts. 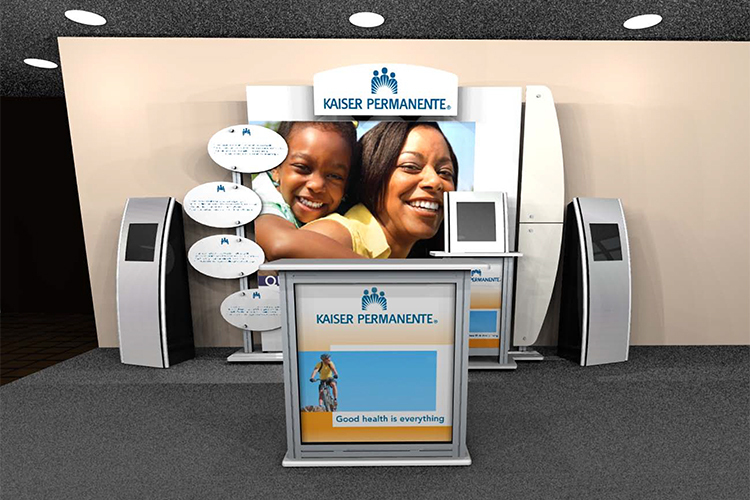 Bring your brand to life and engage your customers. 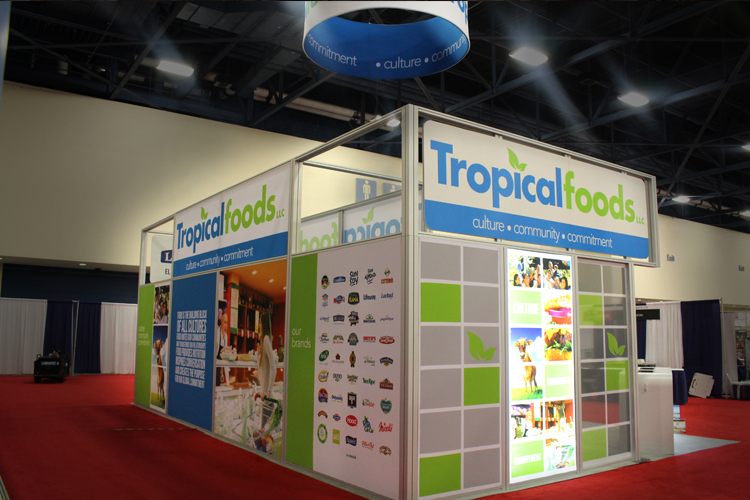 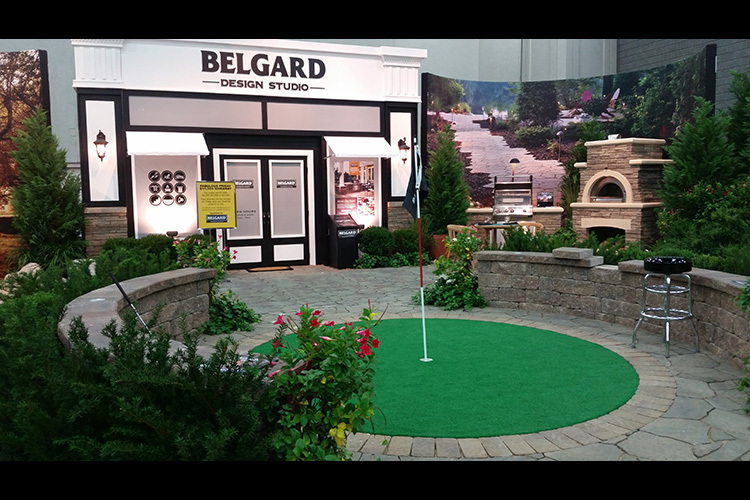 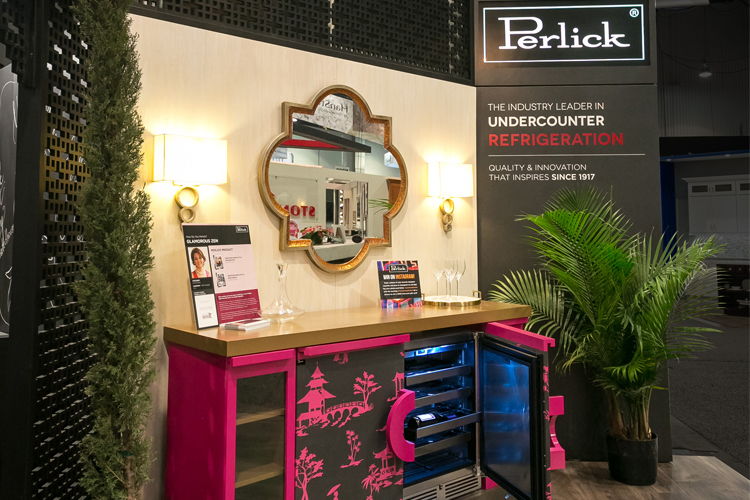 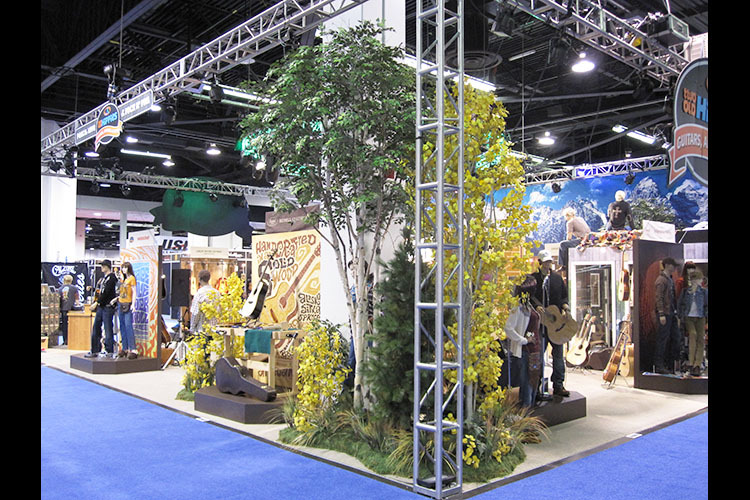 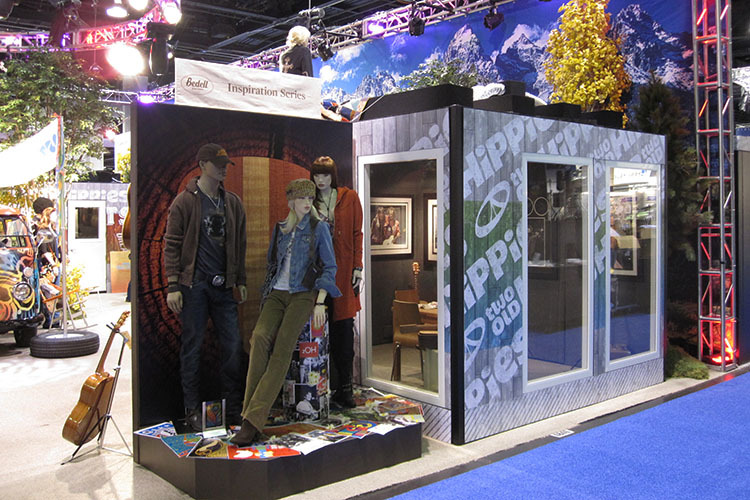 Our rental exhibits are custom designed to give you a fresh look, and your options are limitless. 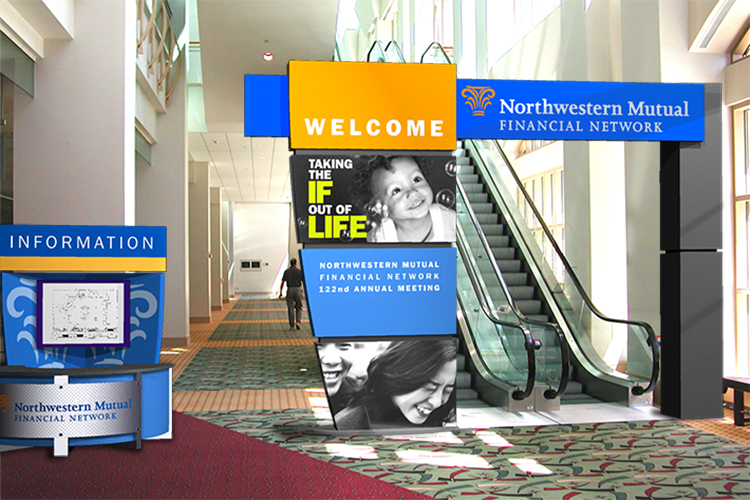 Get inspired and move beyond the traditional to connect with your clients. 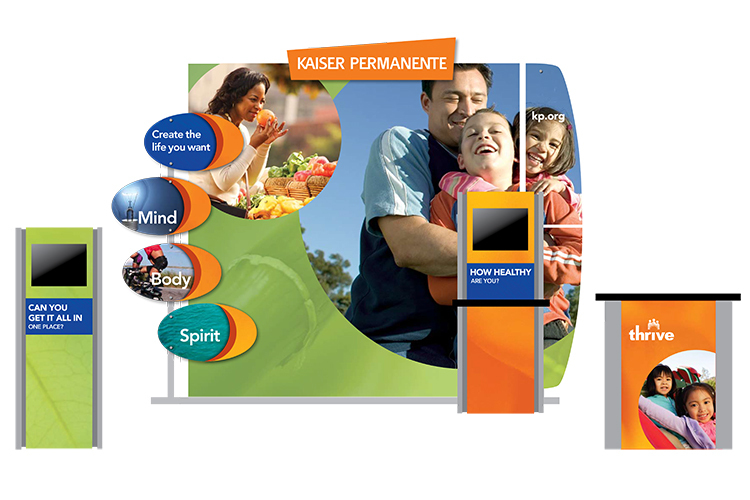 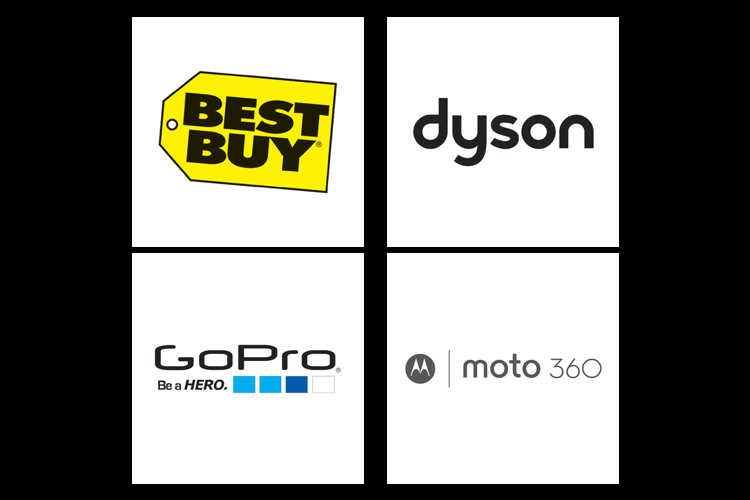 As a Nomadic Displays Premium Partner, we’re excited to share the benefits (from simple to complex) of the Nomadic Displays Instand pop-up display system. 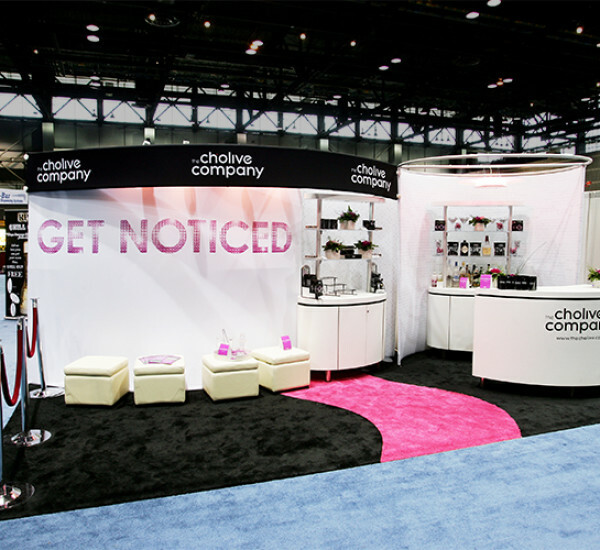 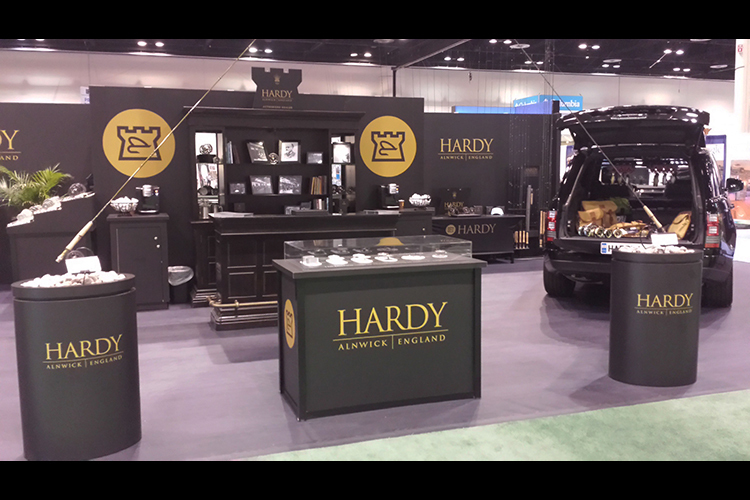 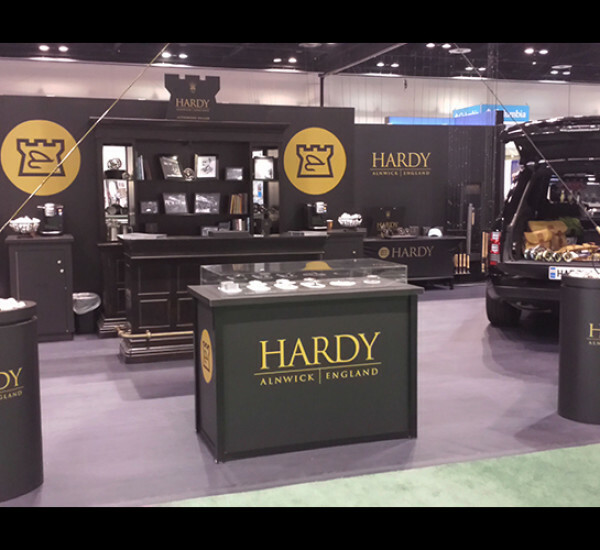 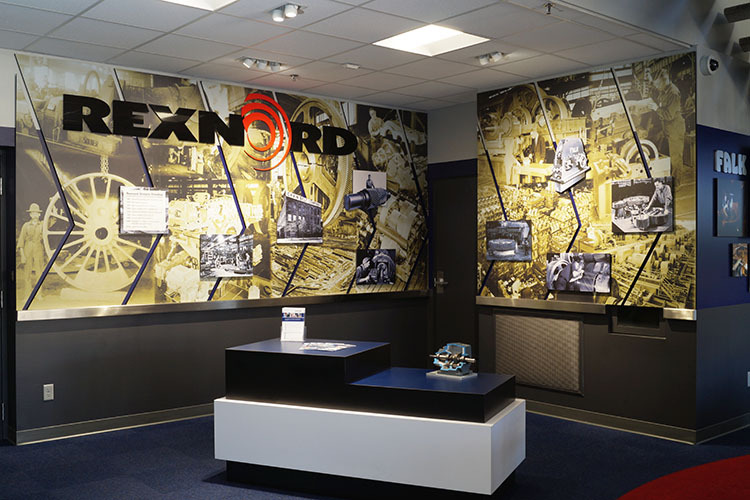 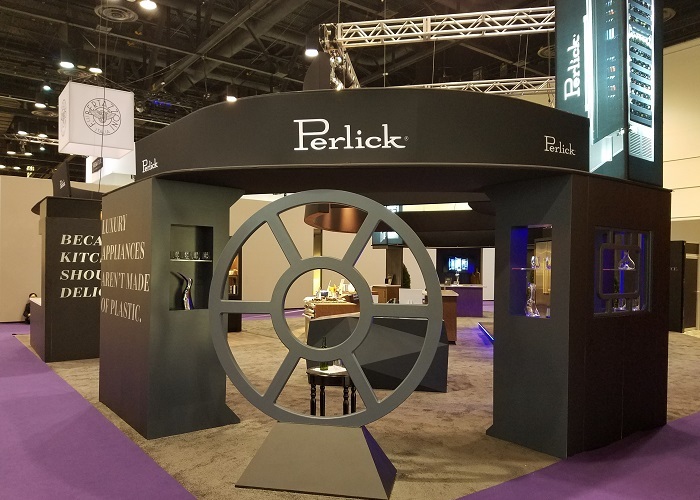 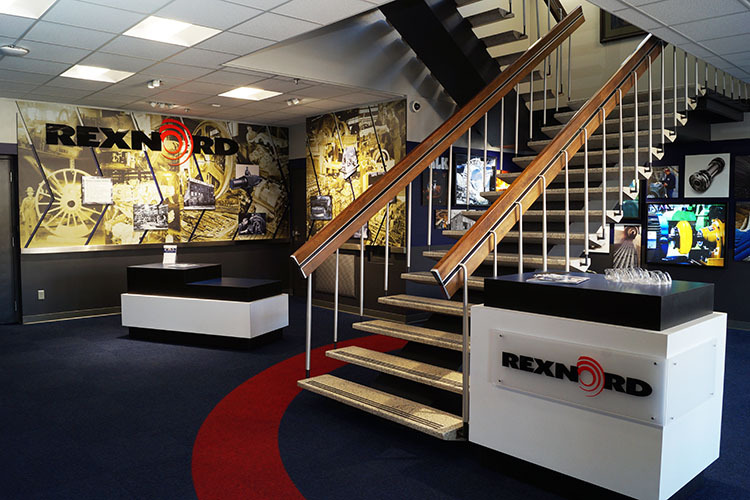 Adding the right accessories to your exhibit will help you to successfully achieve your goals as you engage your customers and build relationships. 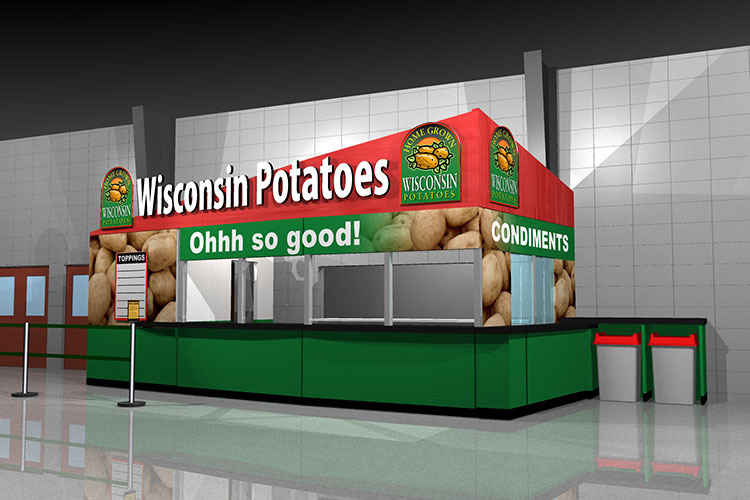 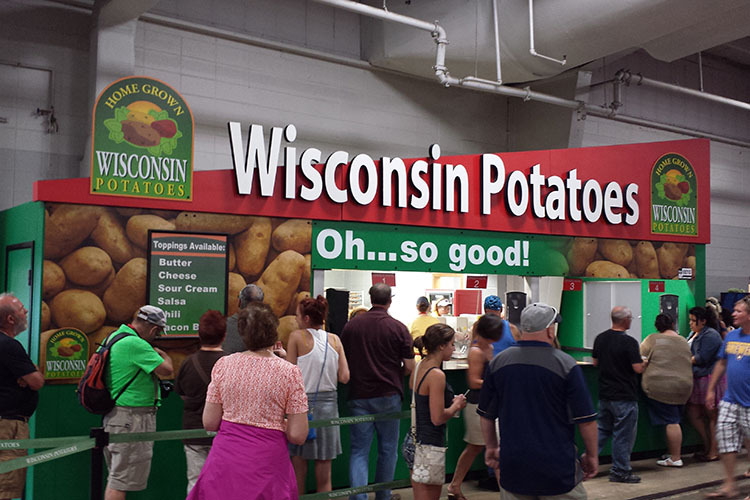 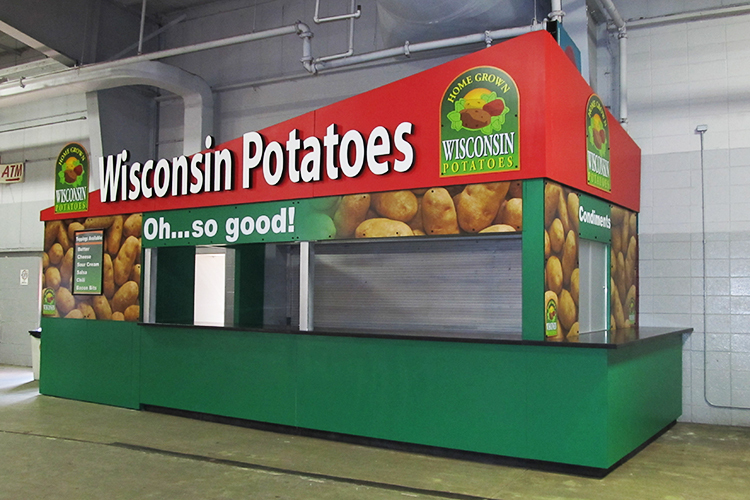 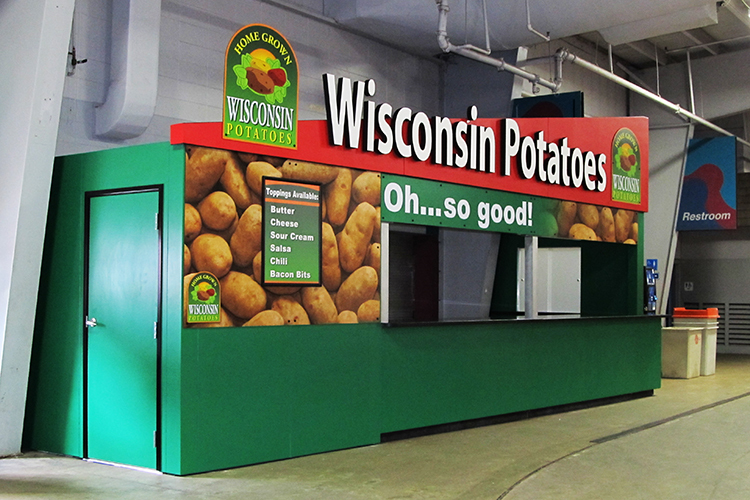 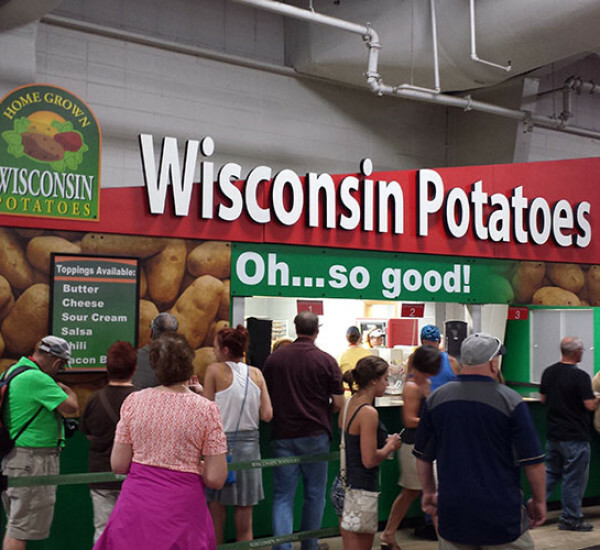 Wisconsin Potato Growers at the Fair! 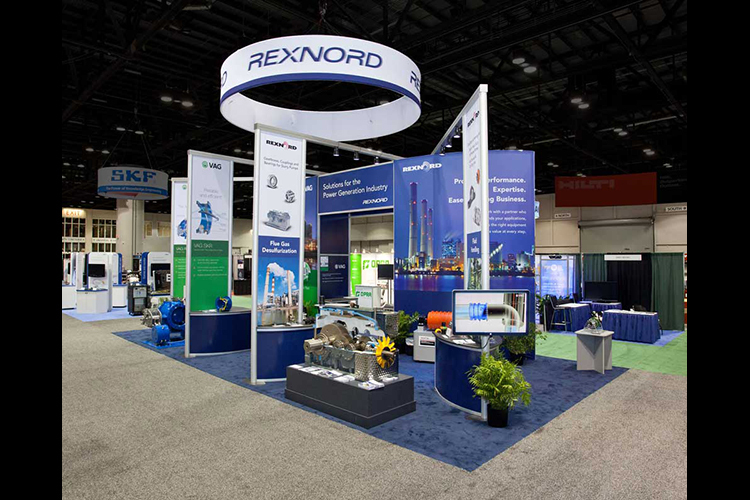 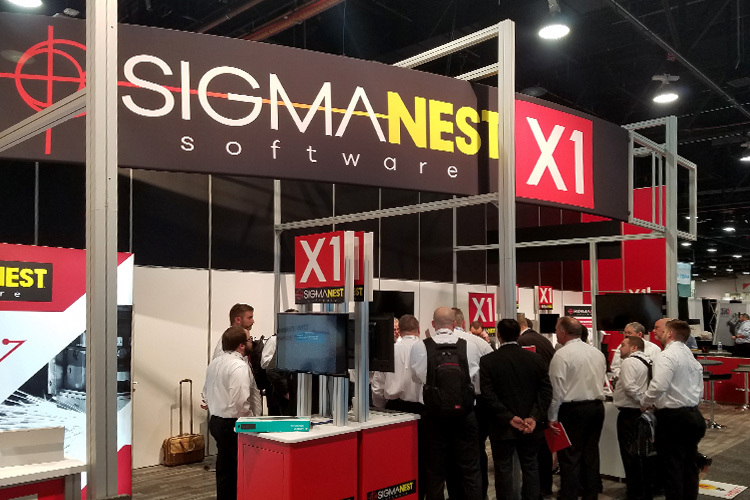 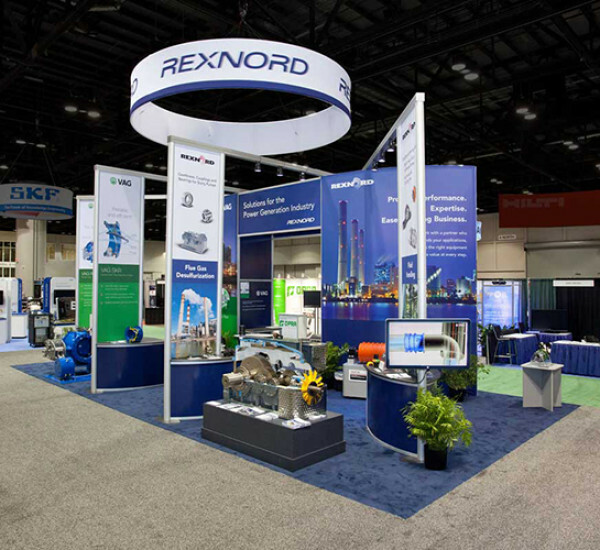 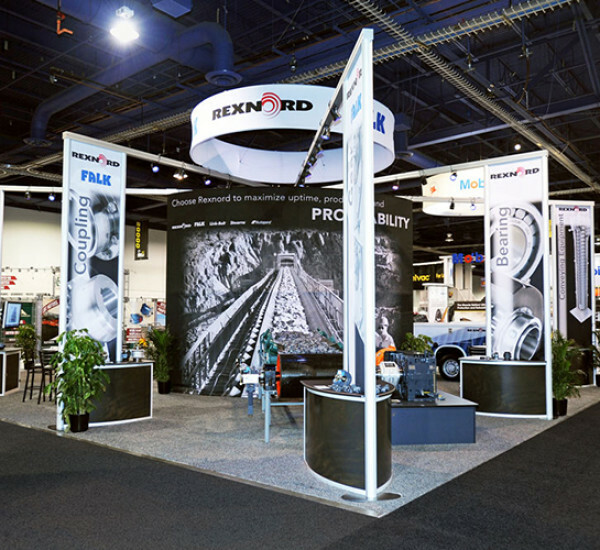 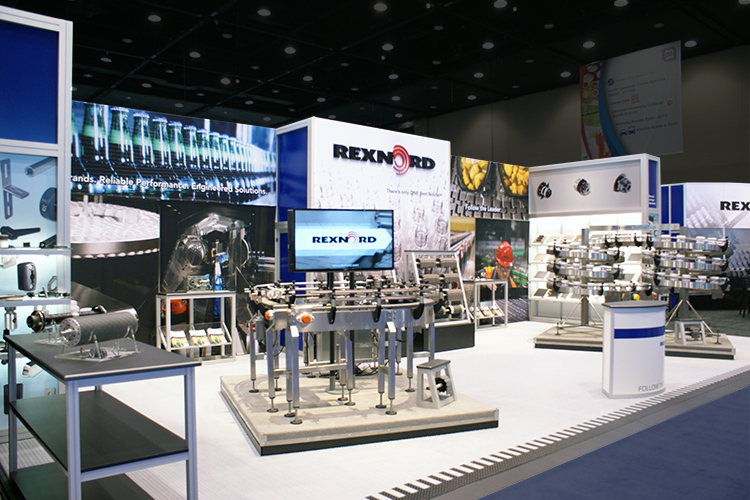 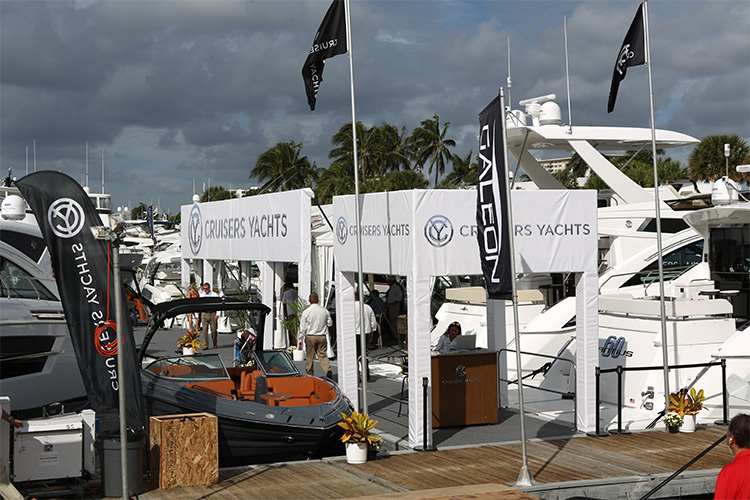 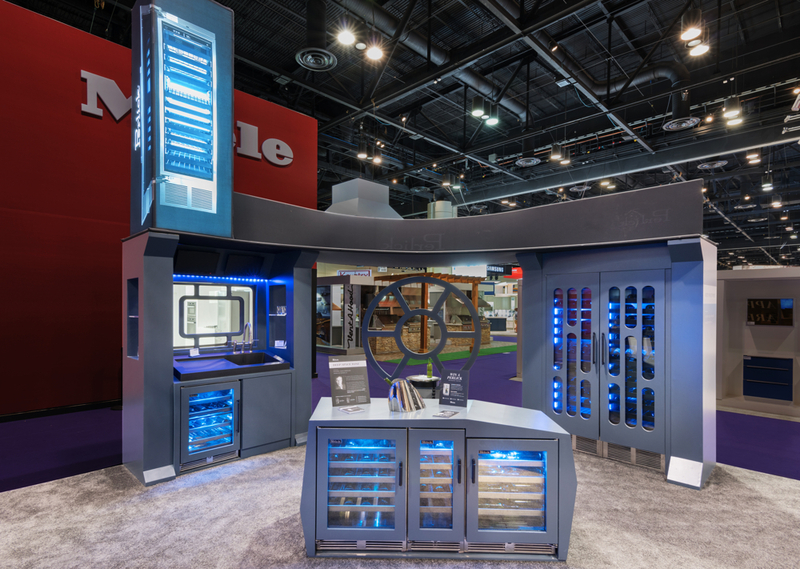 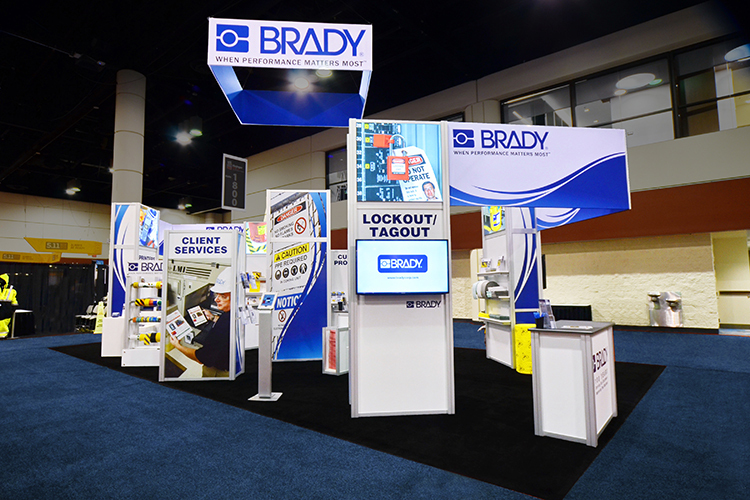 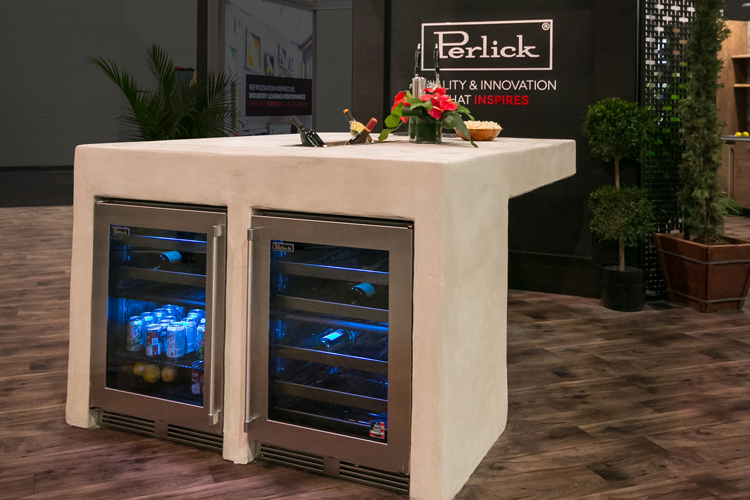 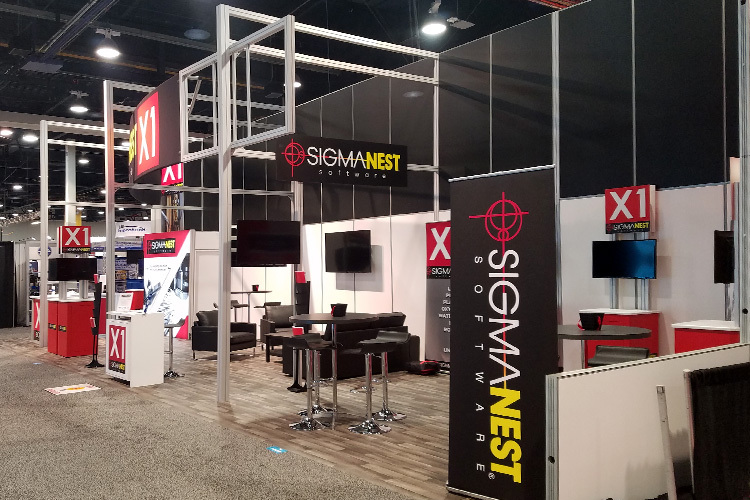 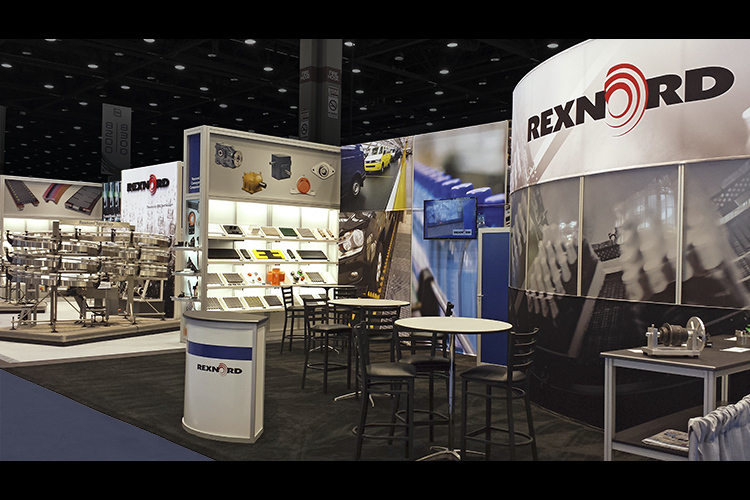 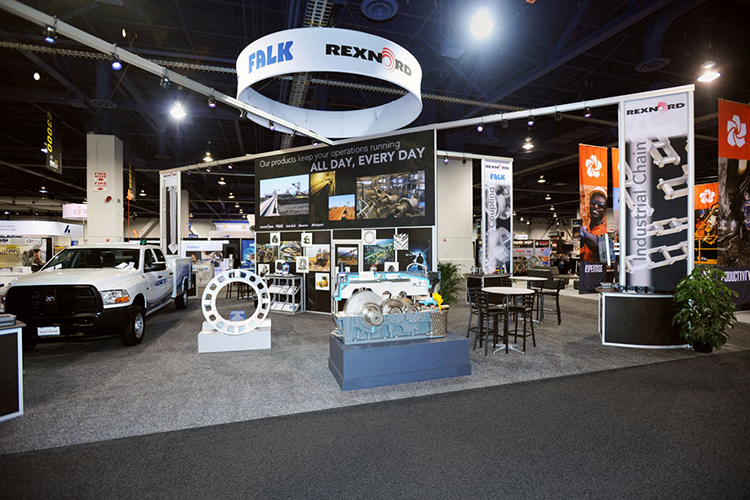 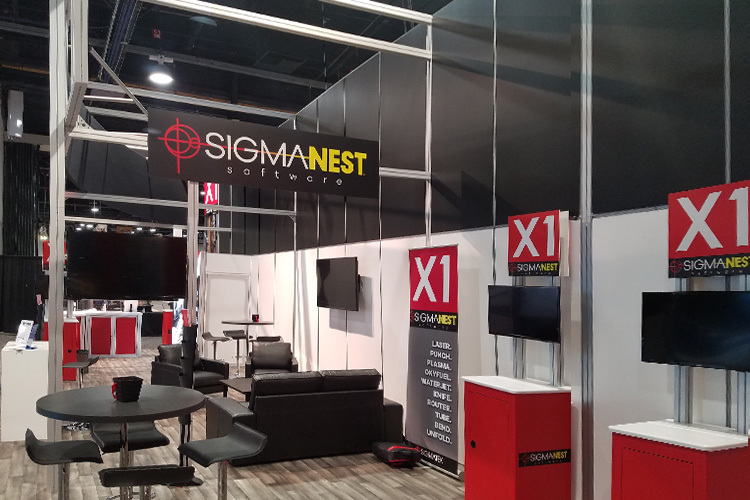 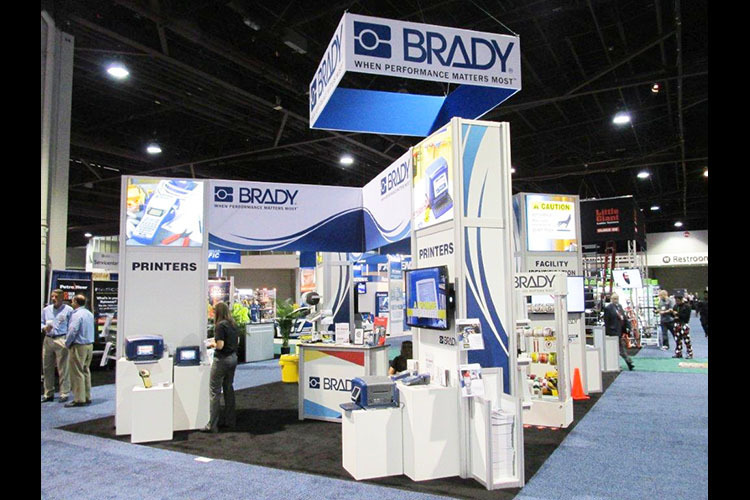 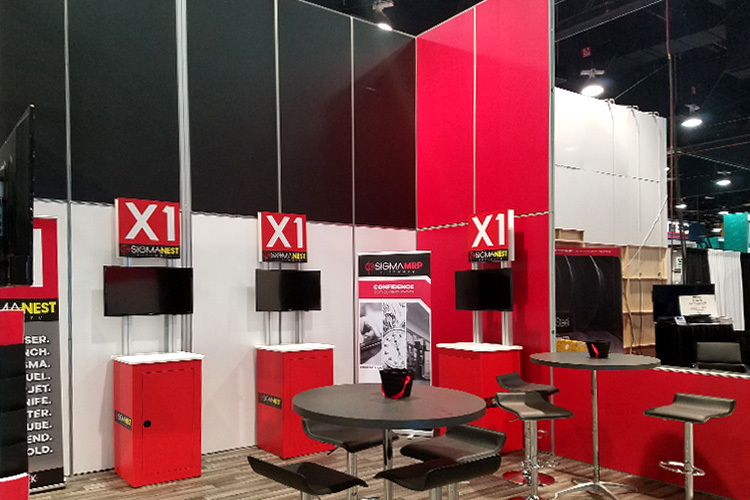 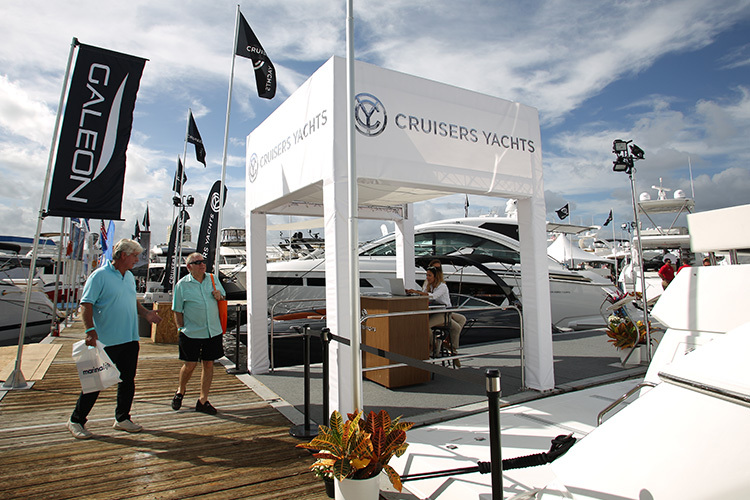 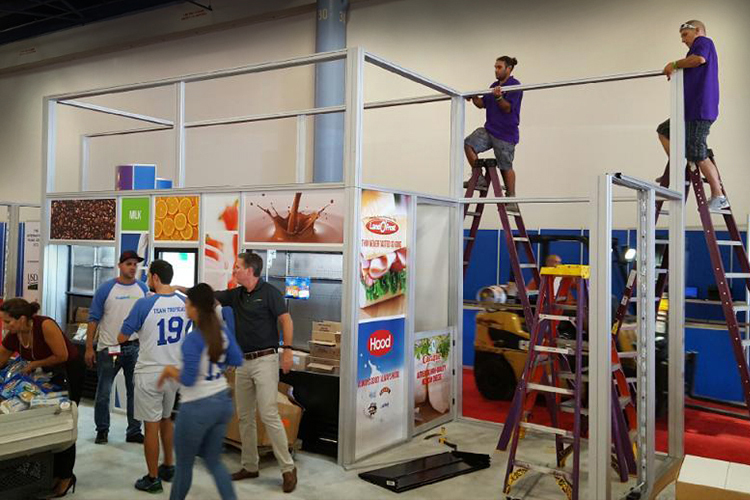 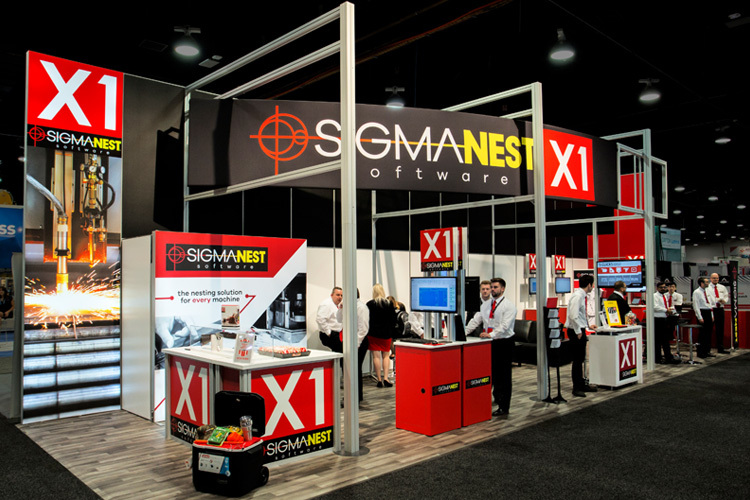 At Exhibit Systems, our expertise and experience has helped hundreds of companies connect with their customers through proven trade show and event solutions.